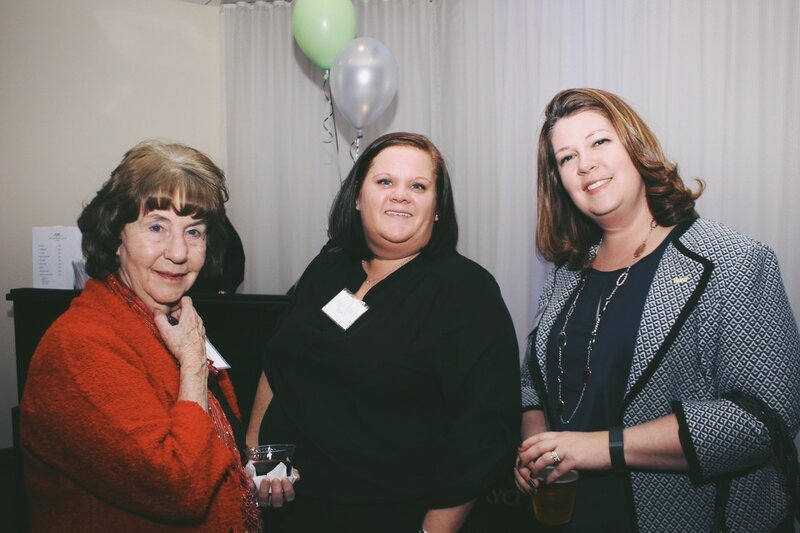 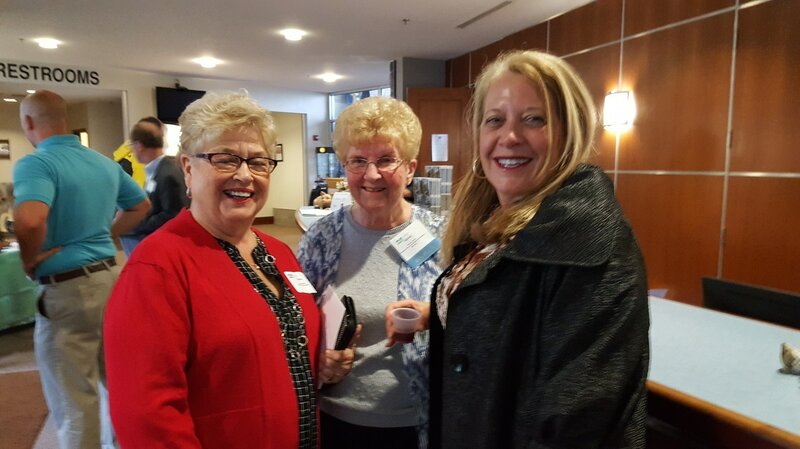 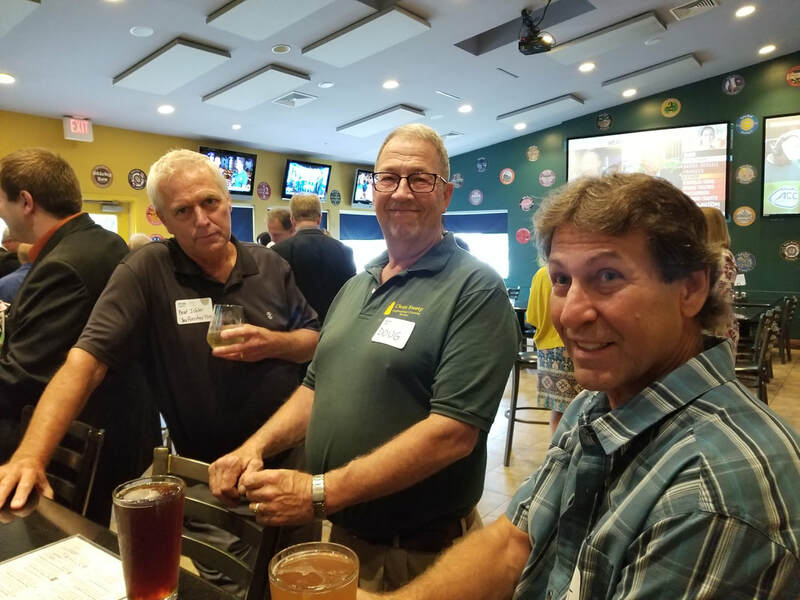 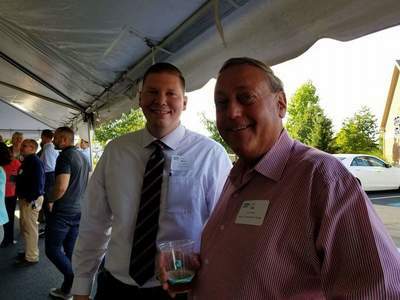 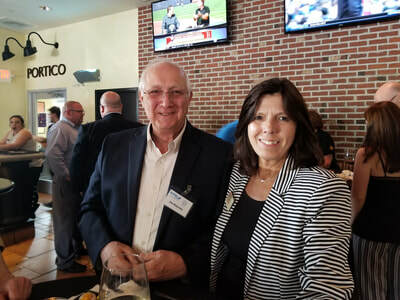 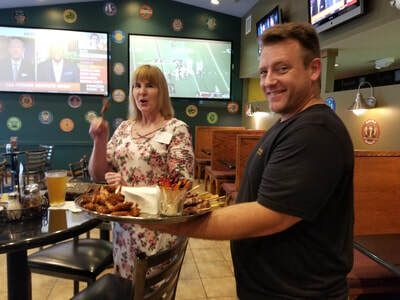 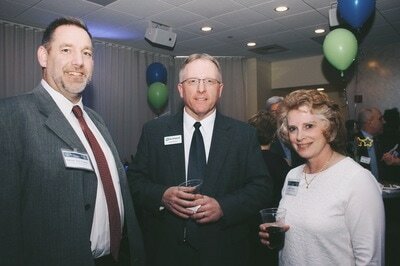 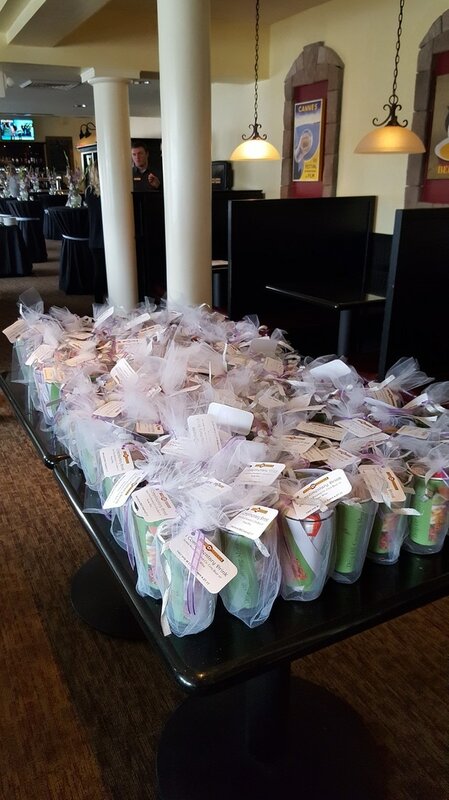 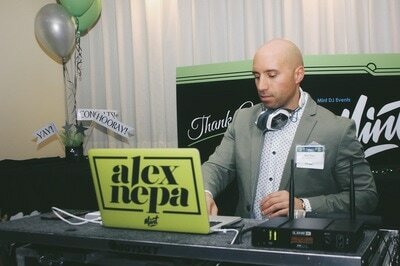 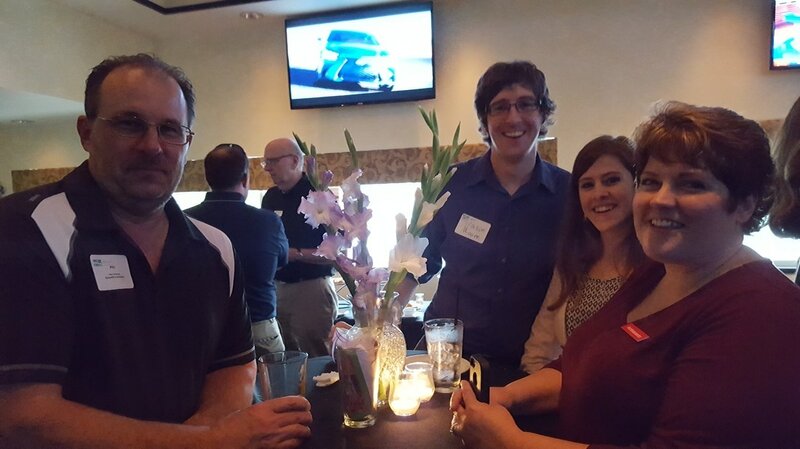 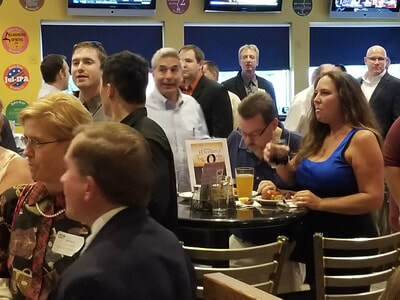 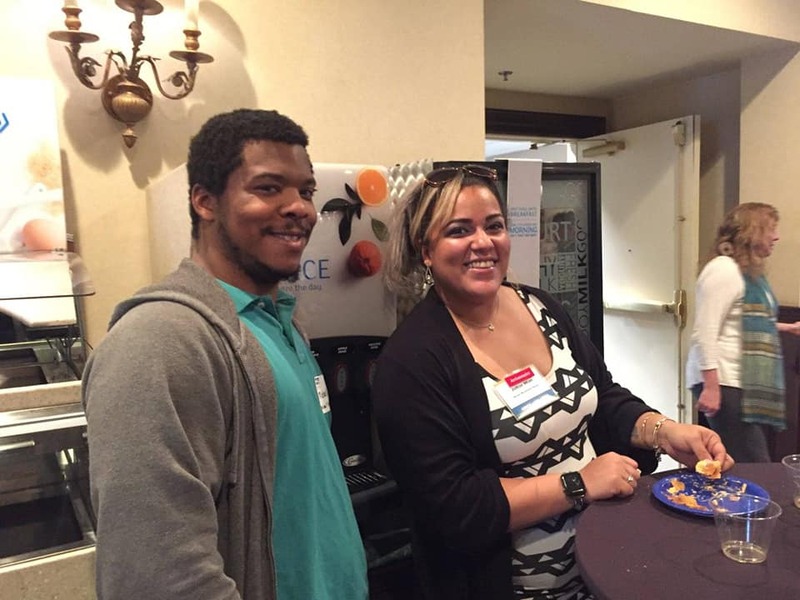 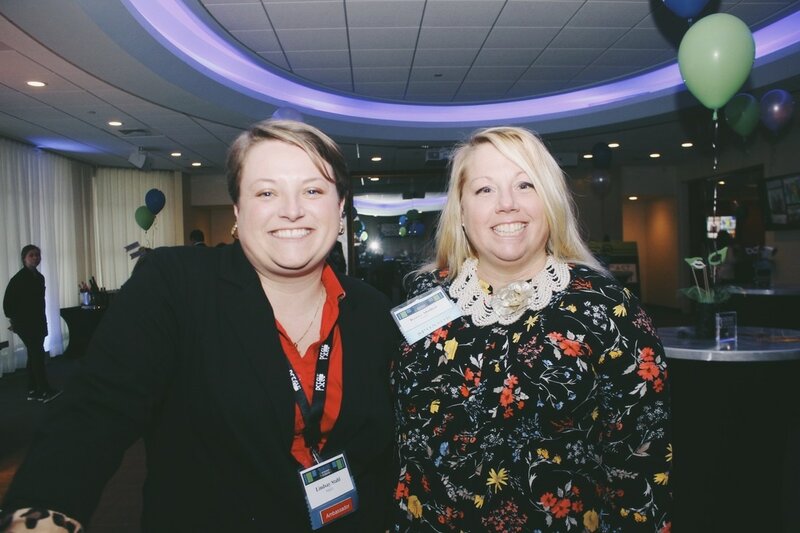 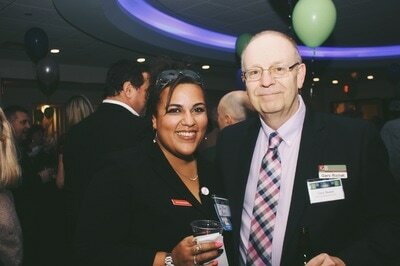 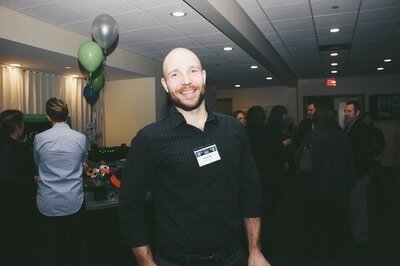 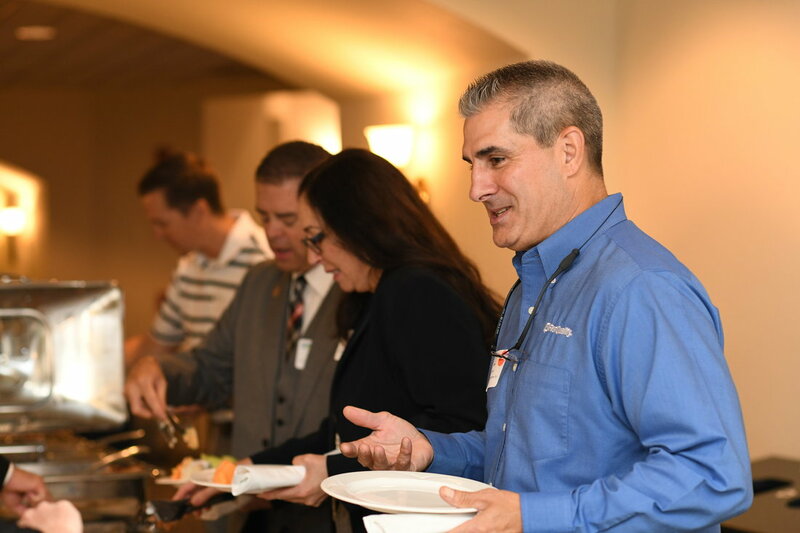 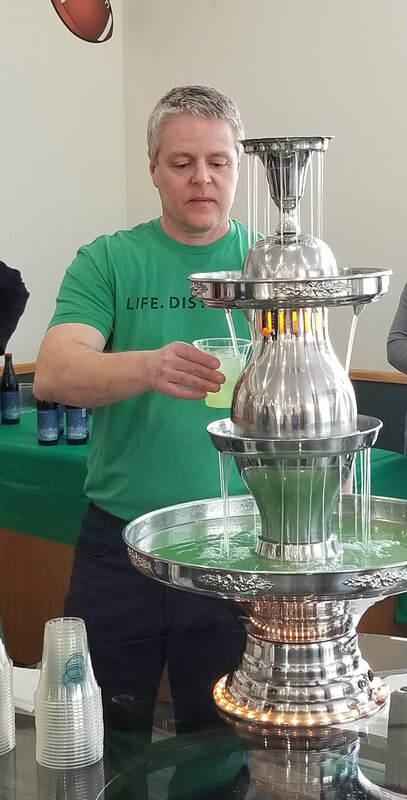 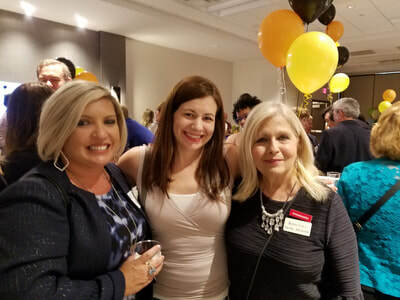 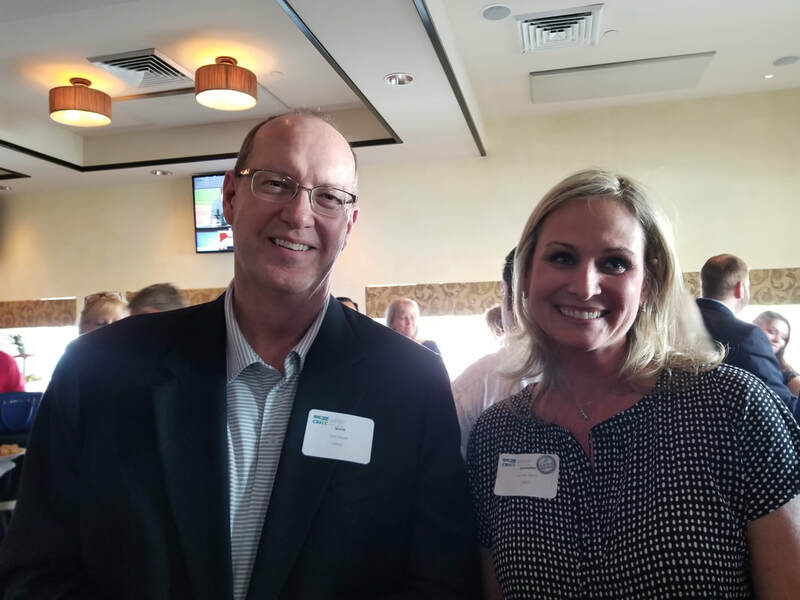 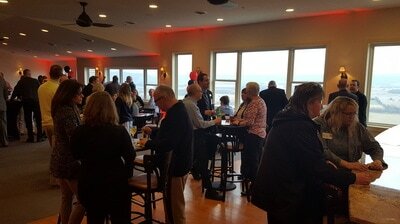 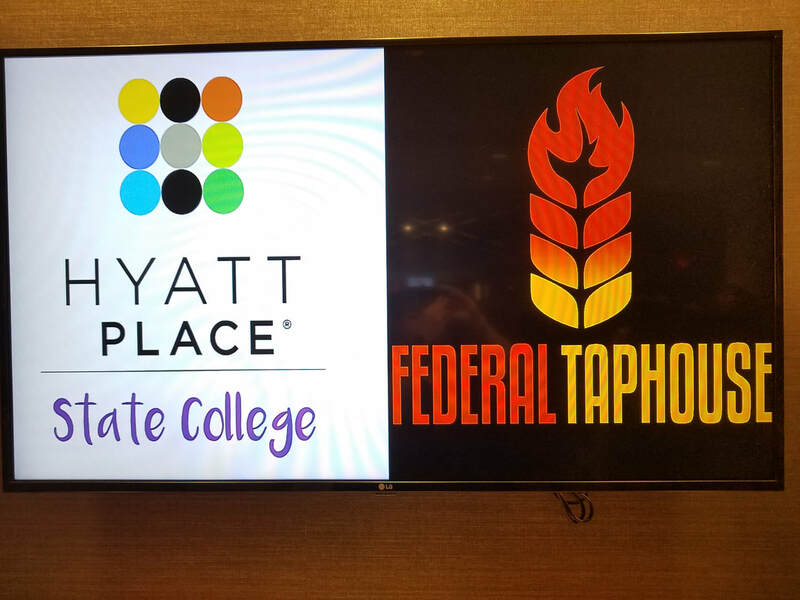 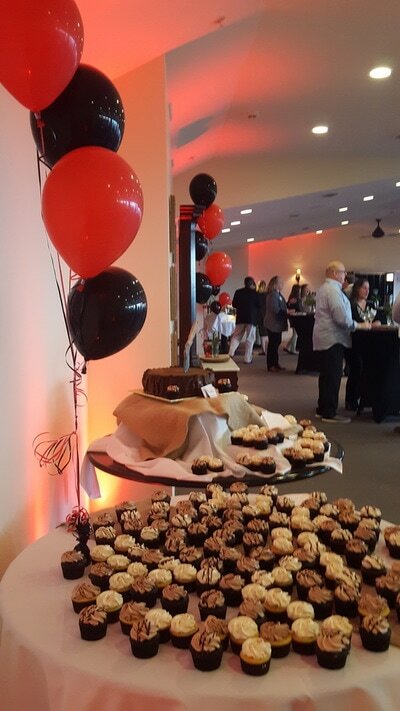 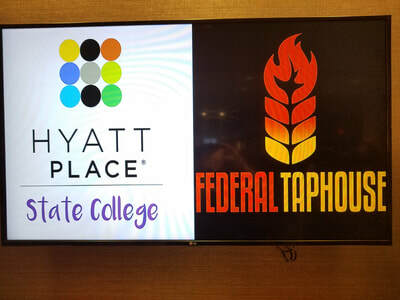 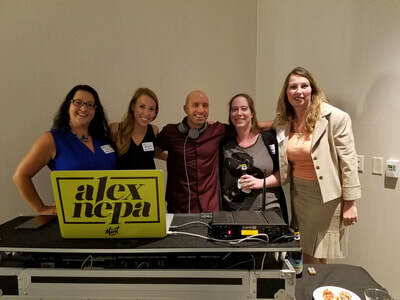 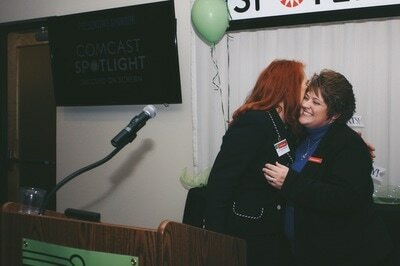 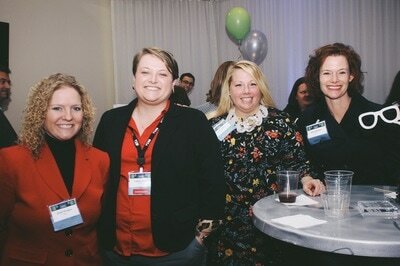 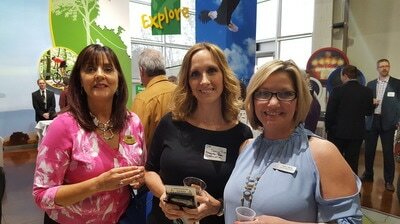 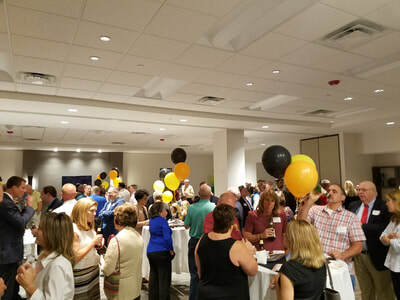 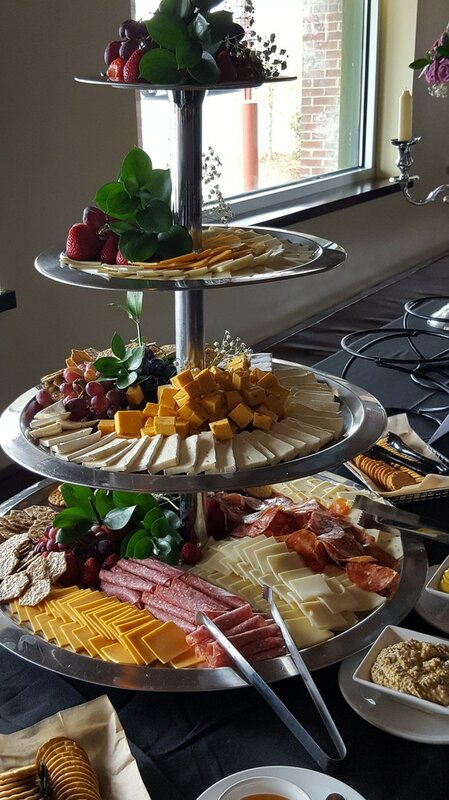 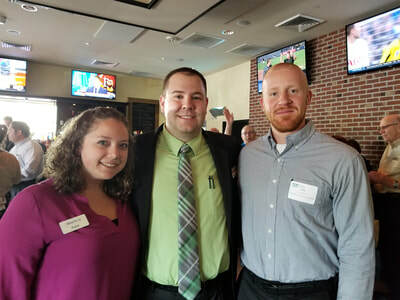 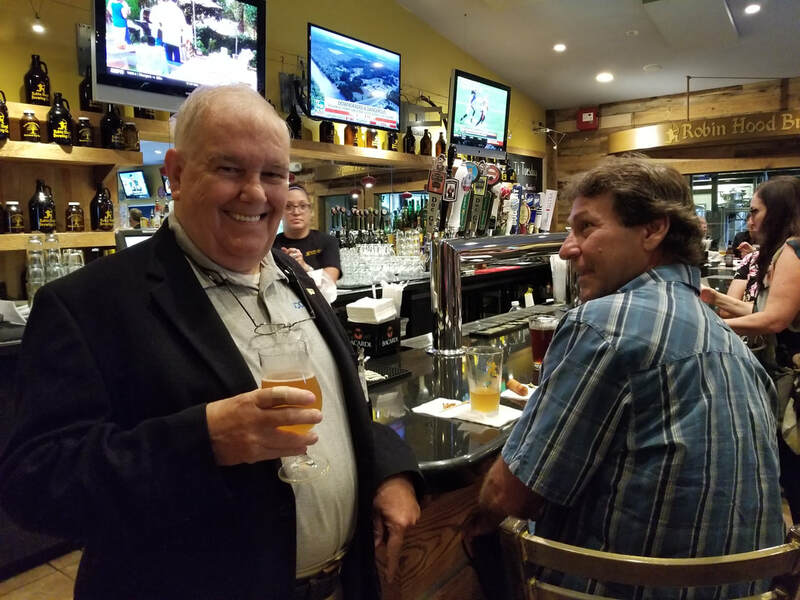 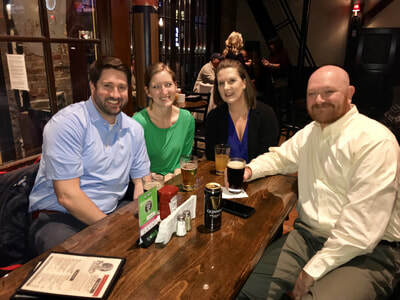 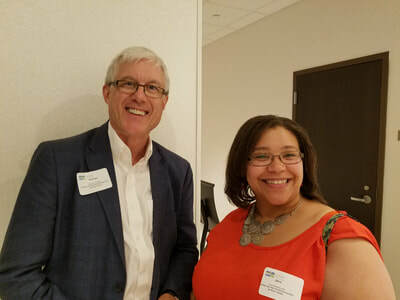 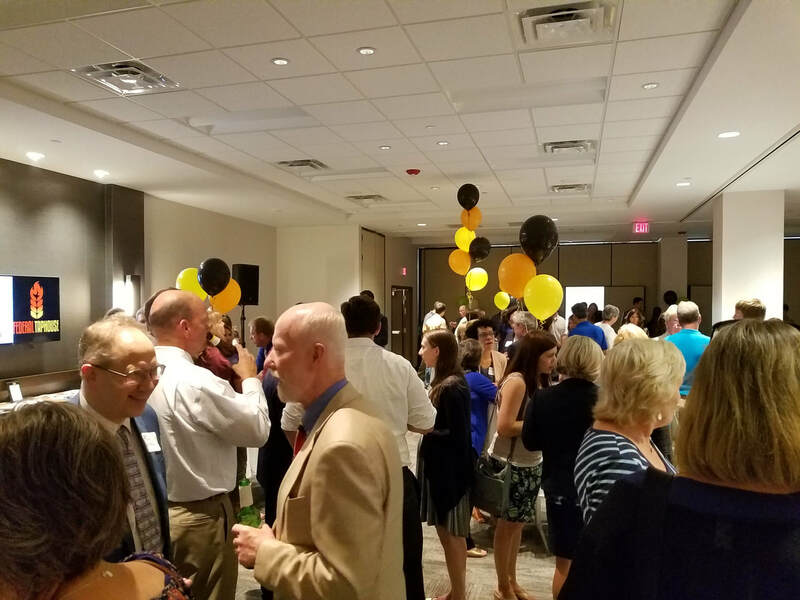 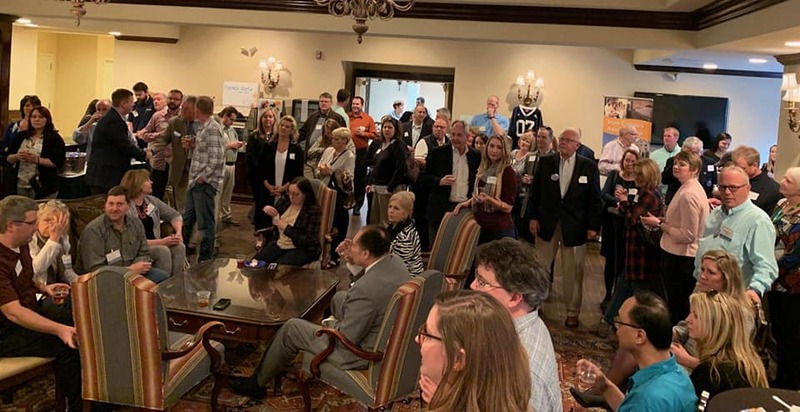 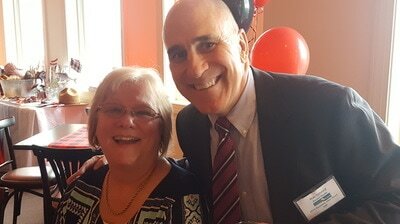 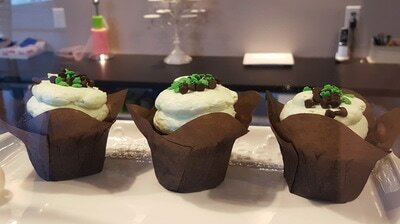 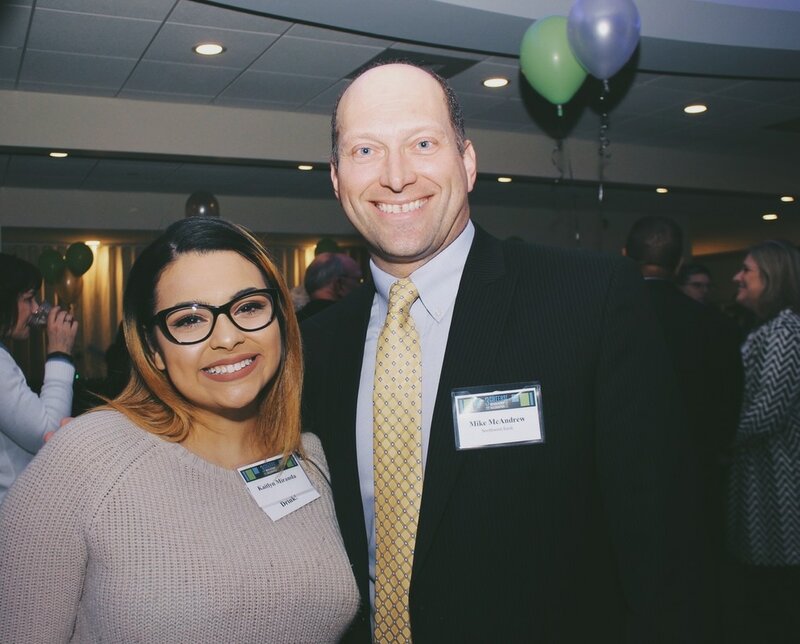 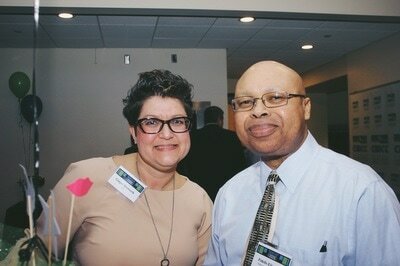 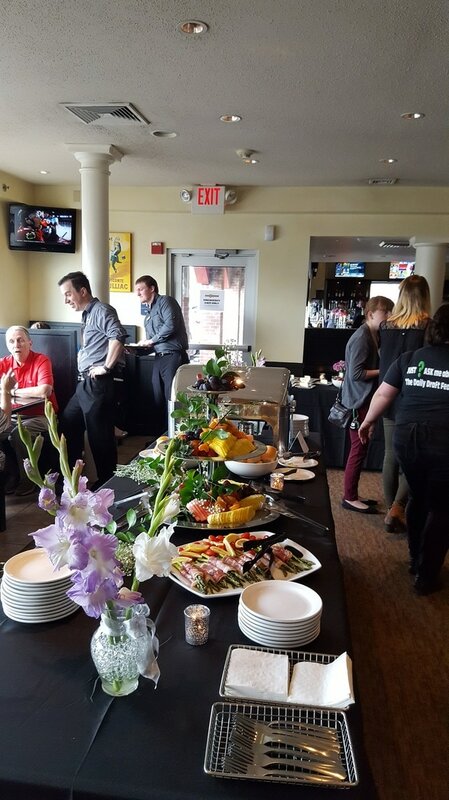 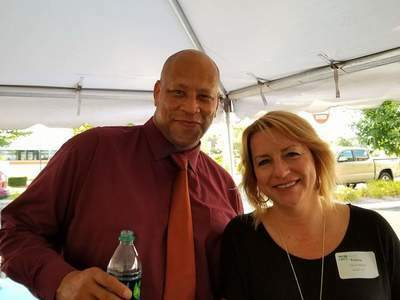 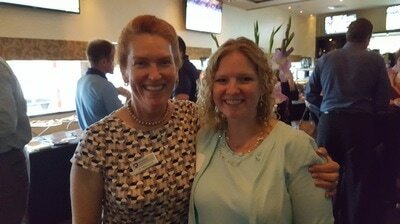 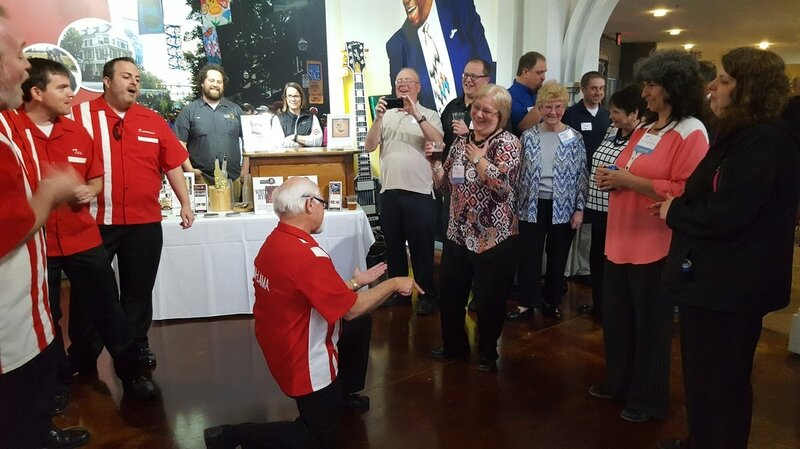 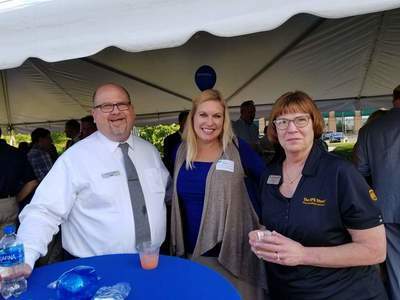 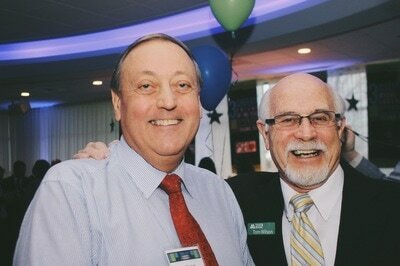 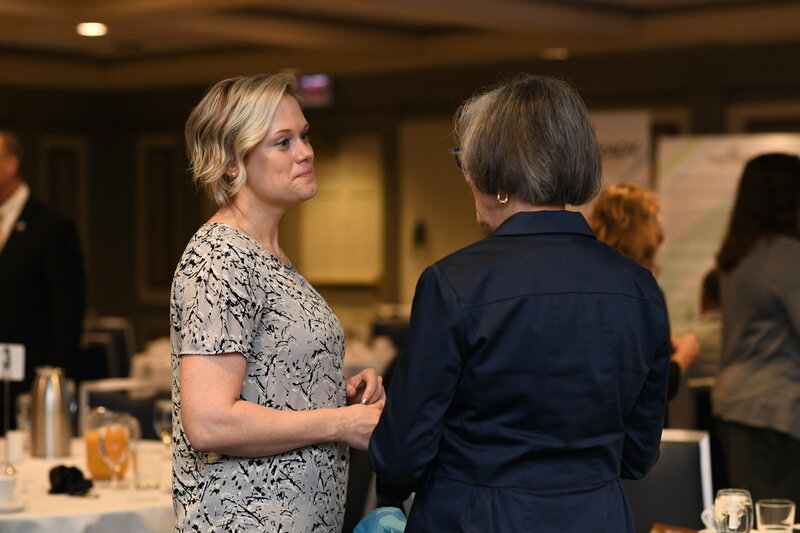 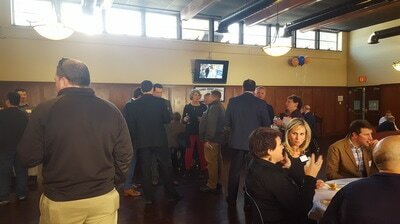 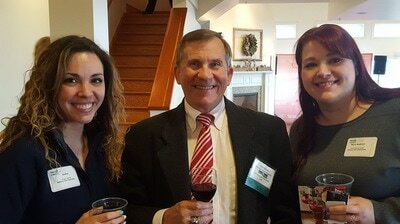 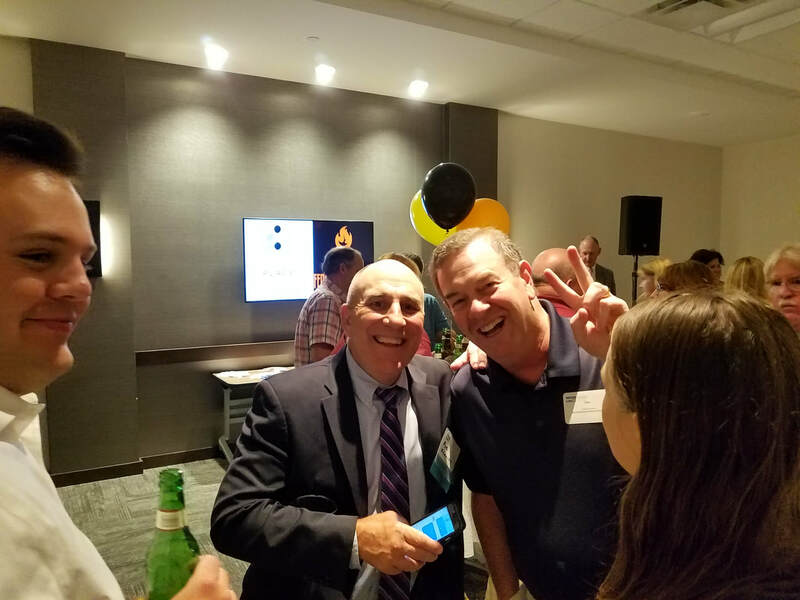 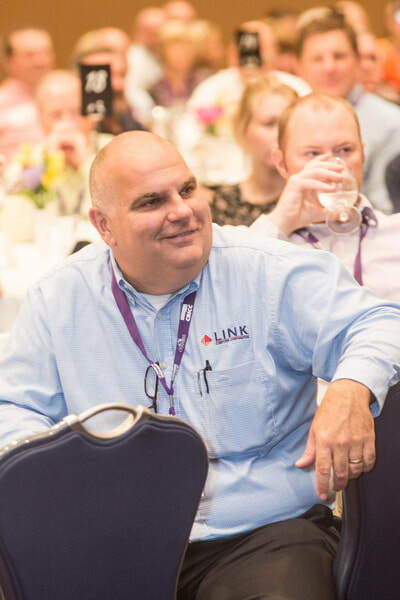 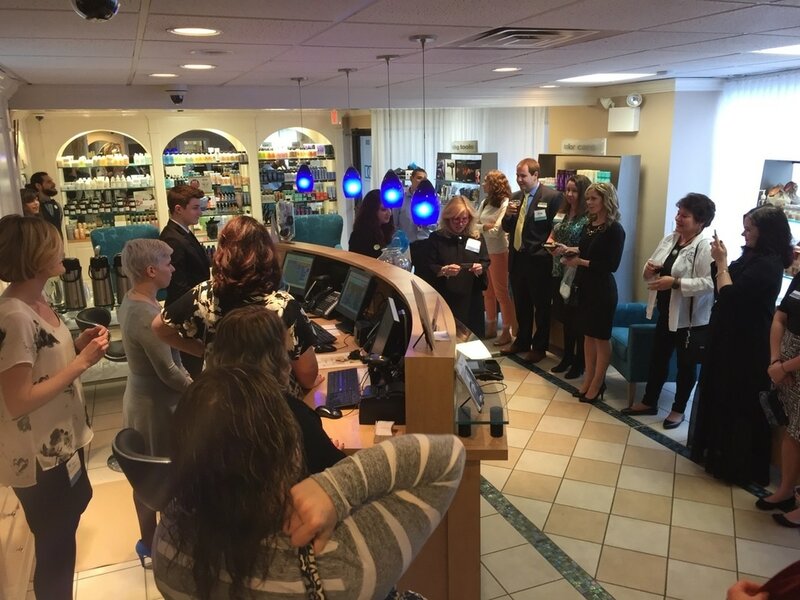 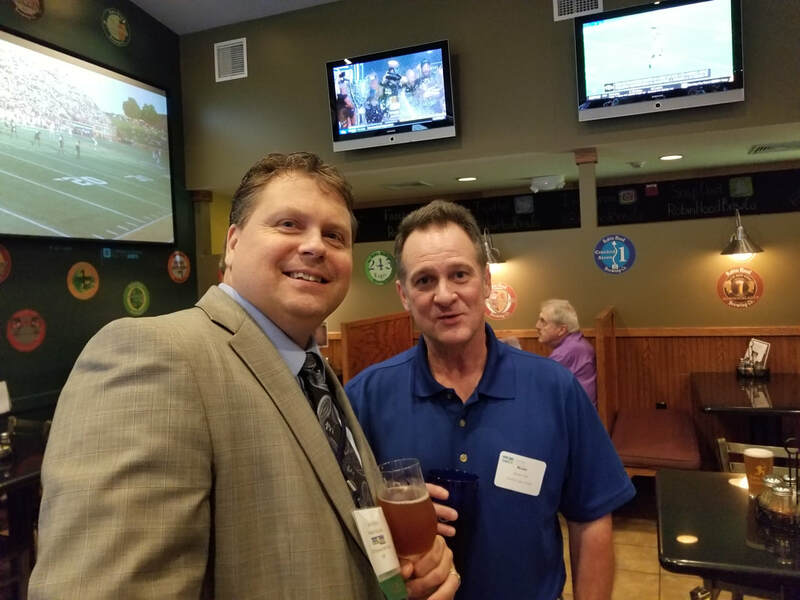 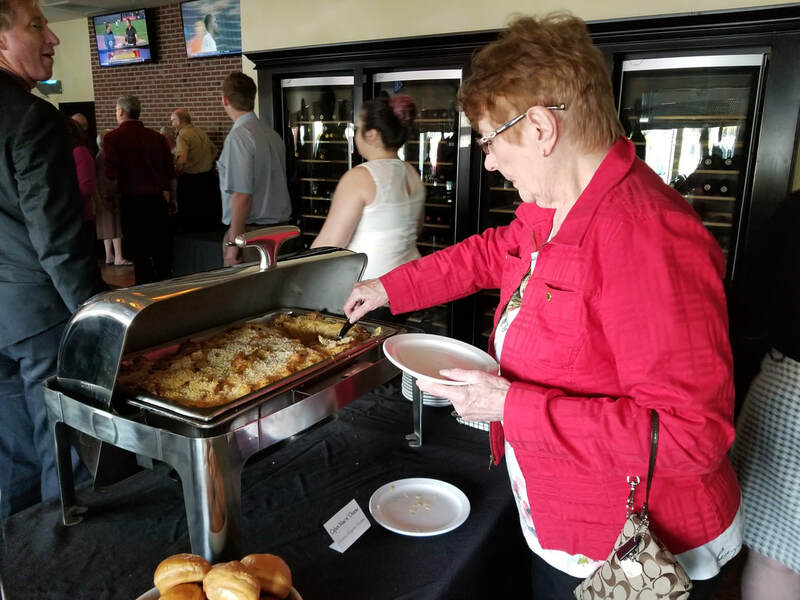 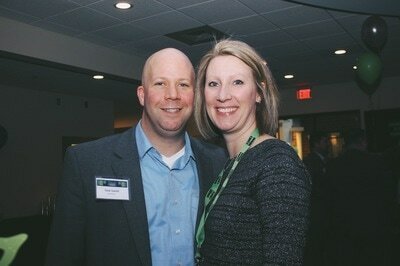 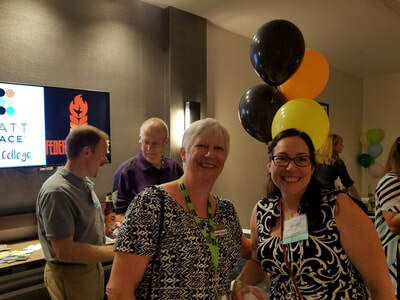 On Thursday, April 11, CBICC gathered at Holiday Inn Express for a tailgate themed Business After Hours. 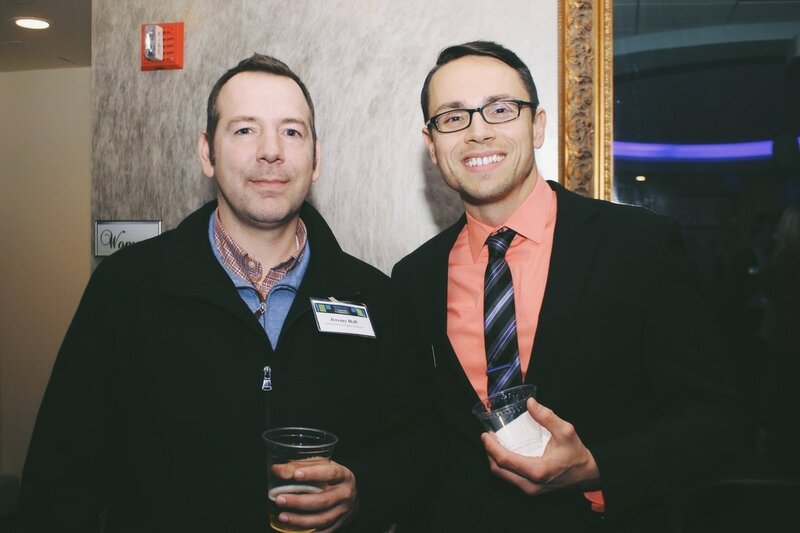 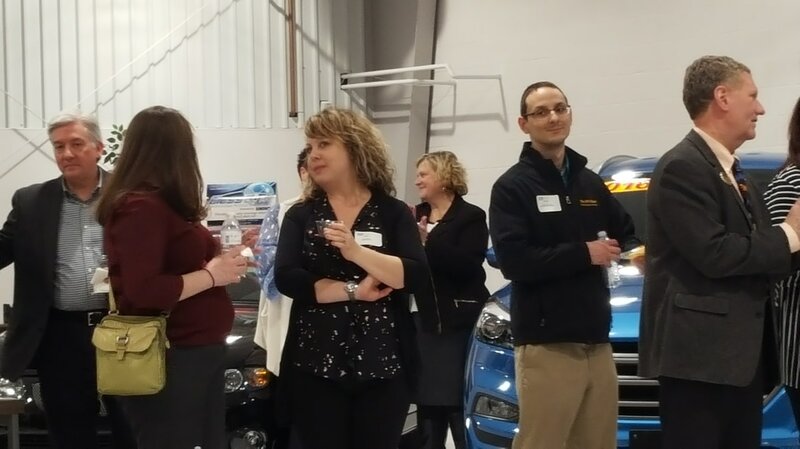 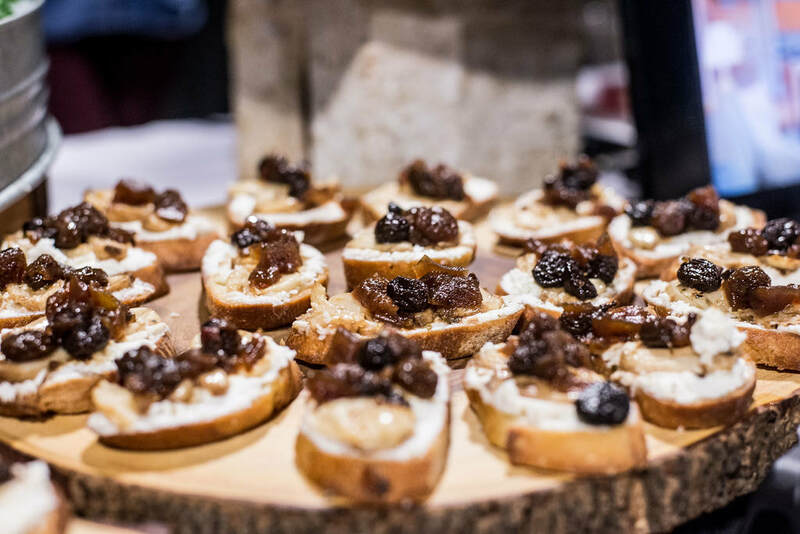 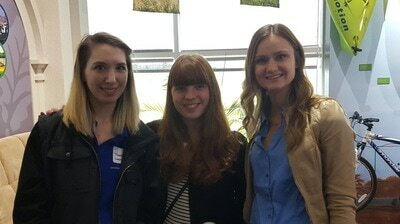 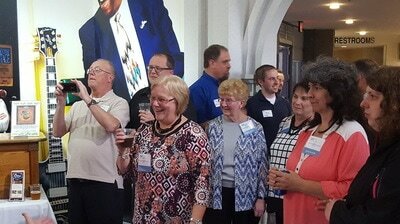 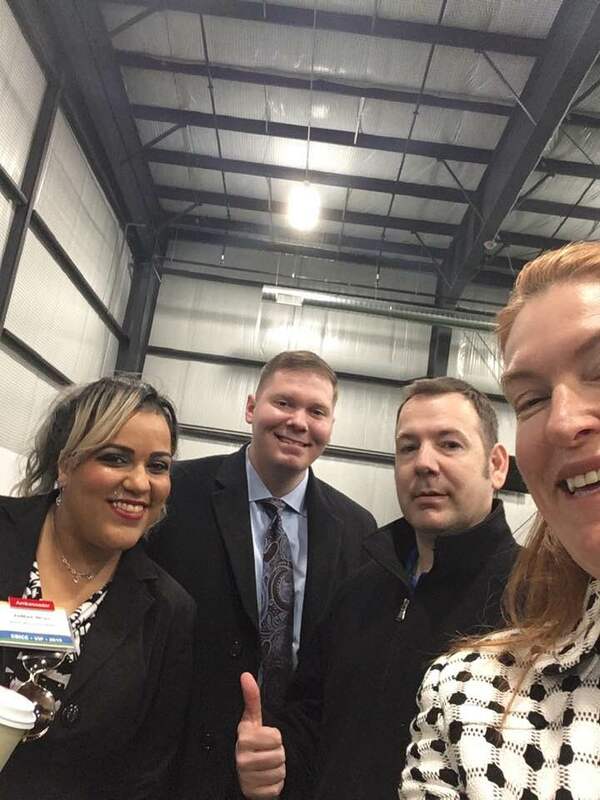 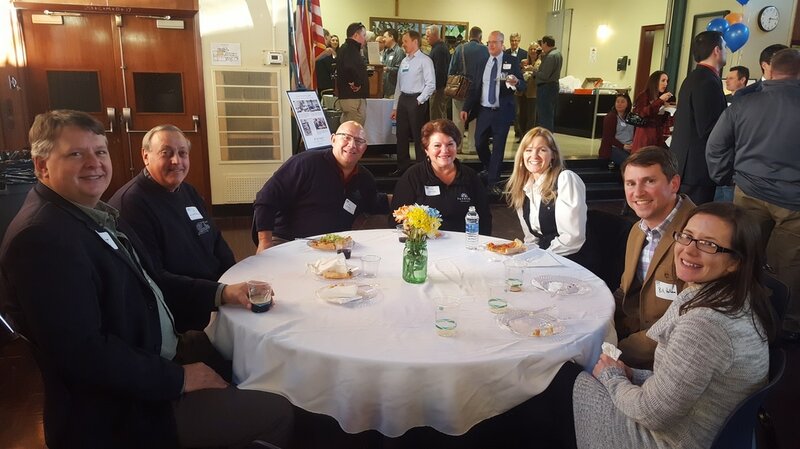 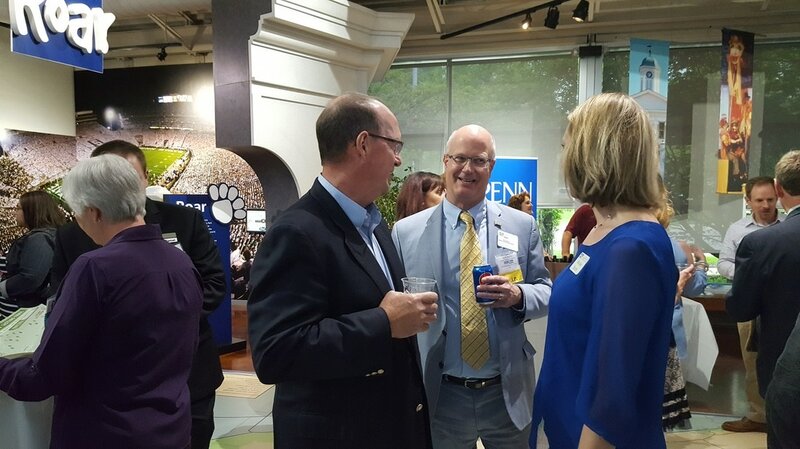 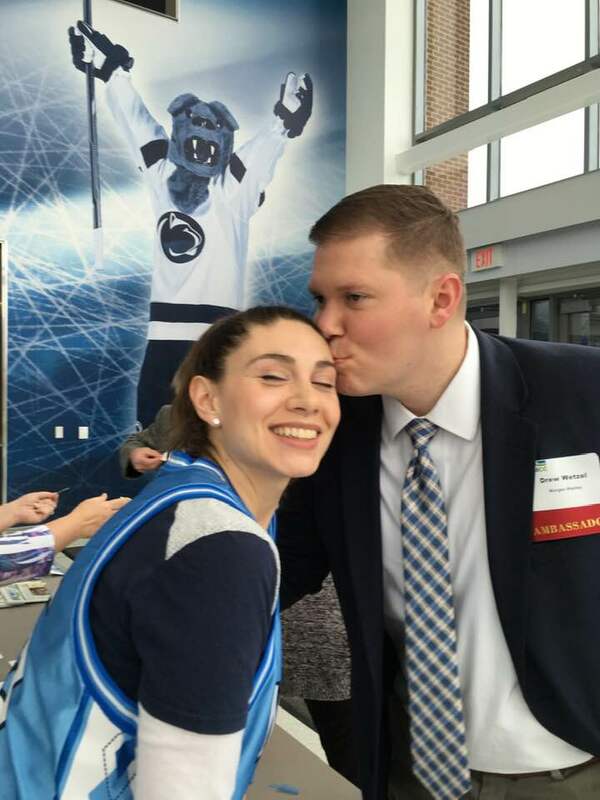 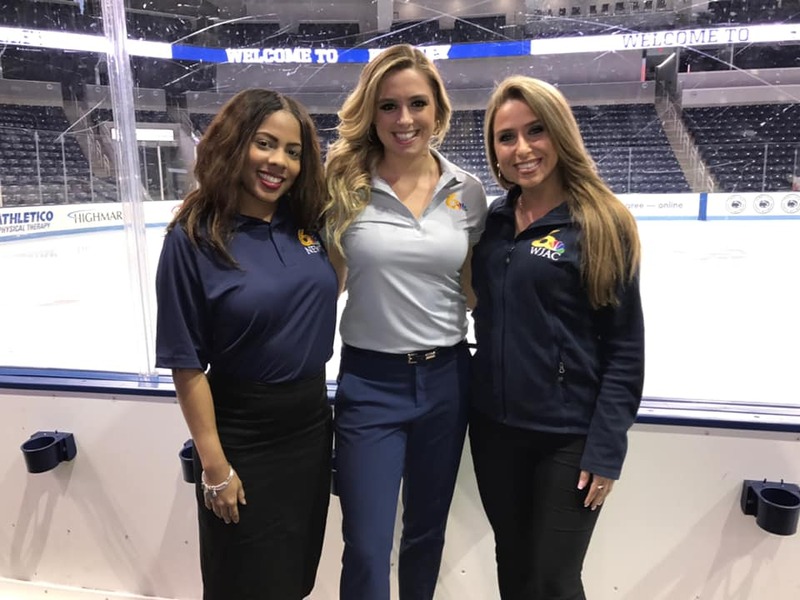 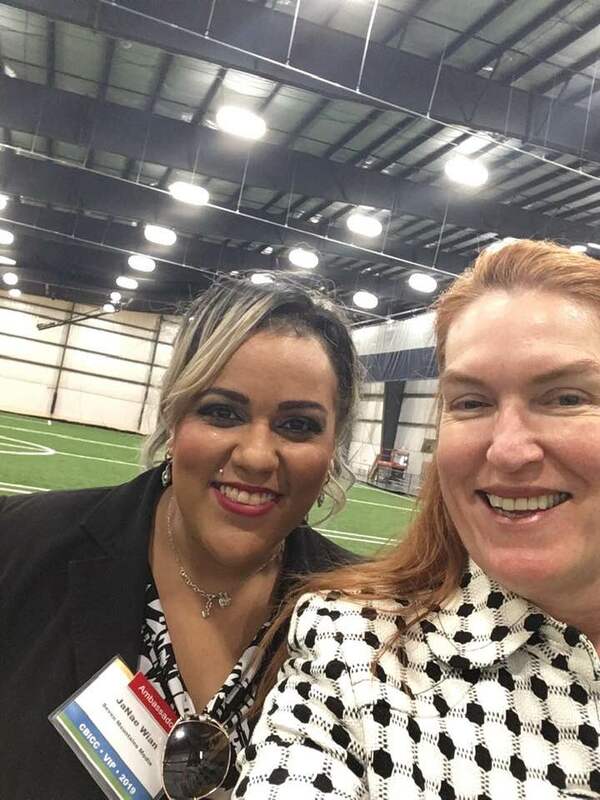 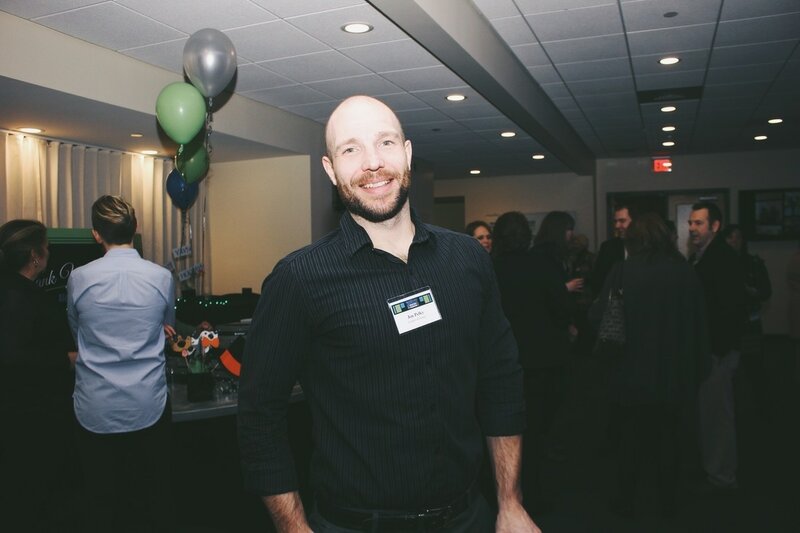 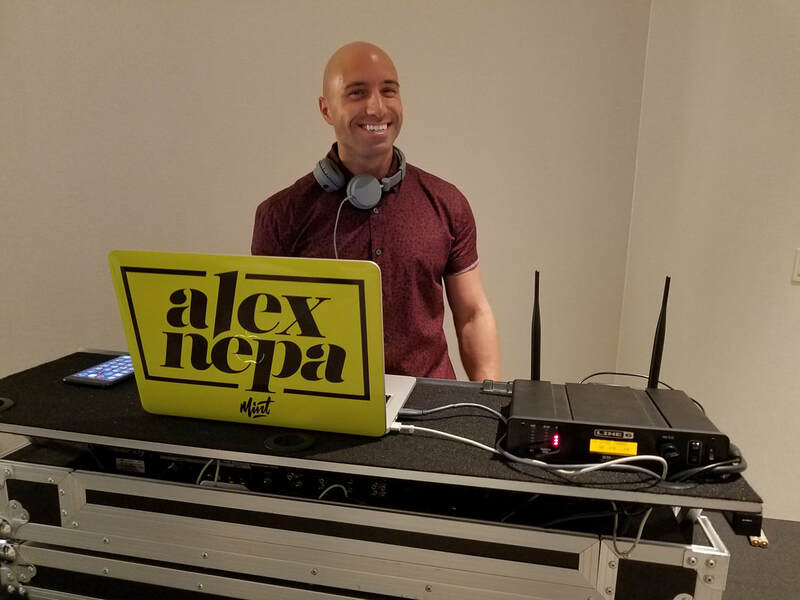 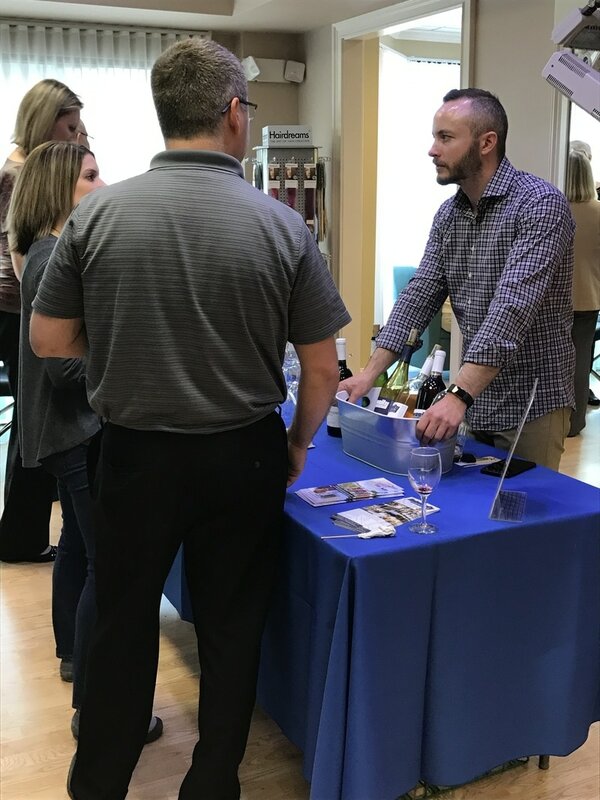 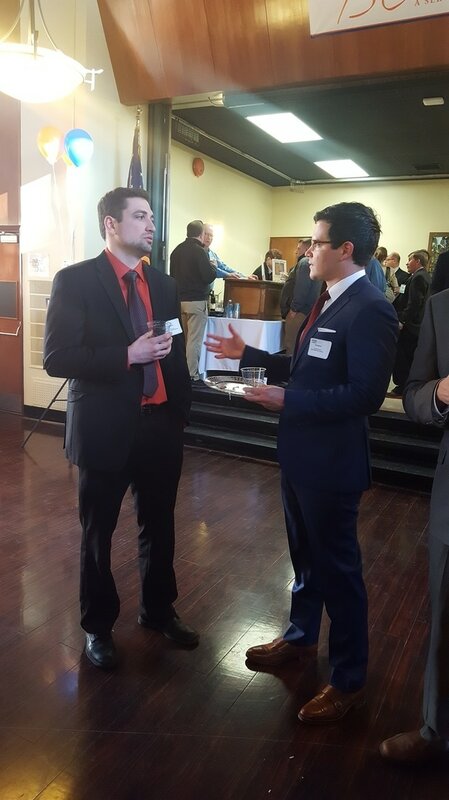 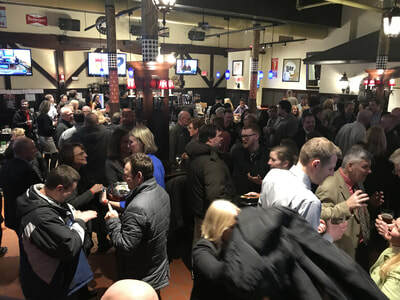 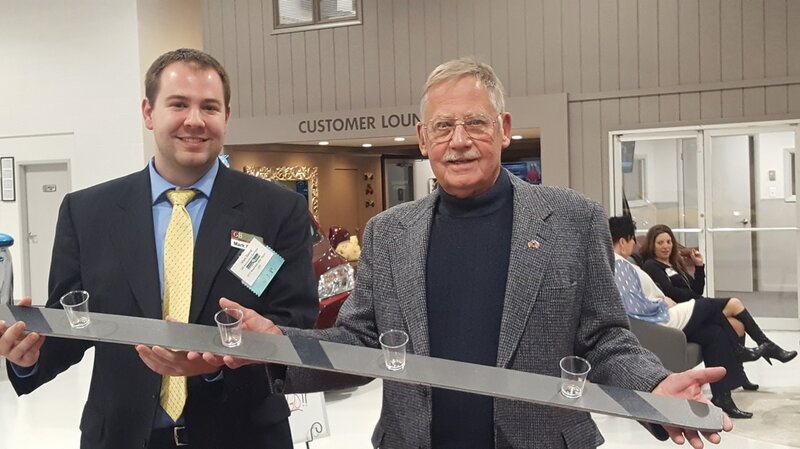 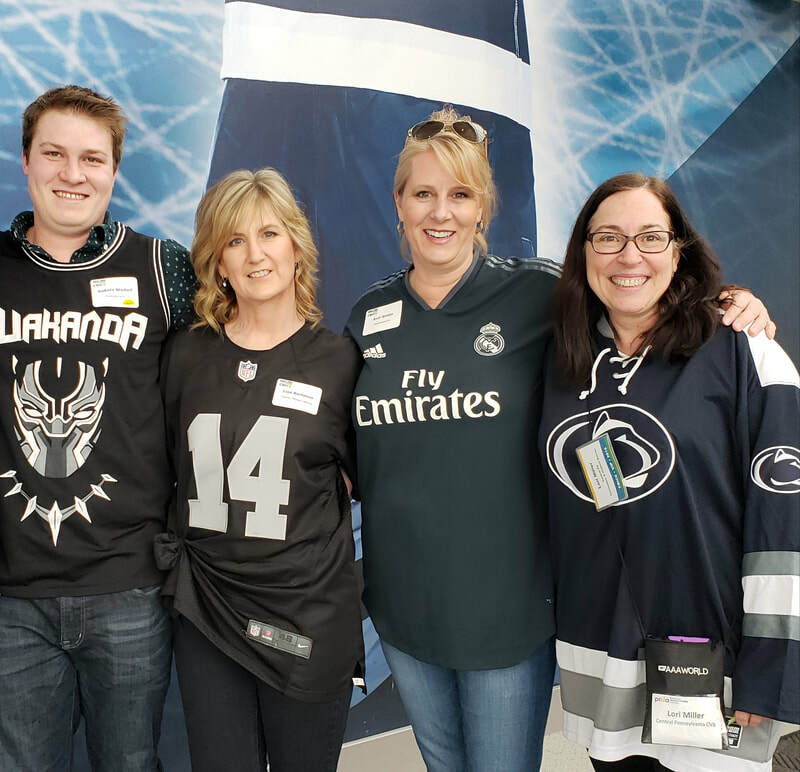 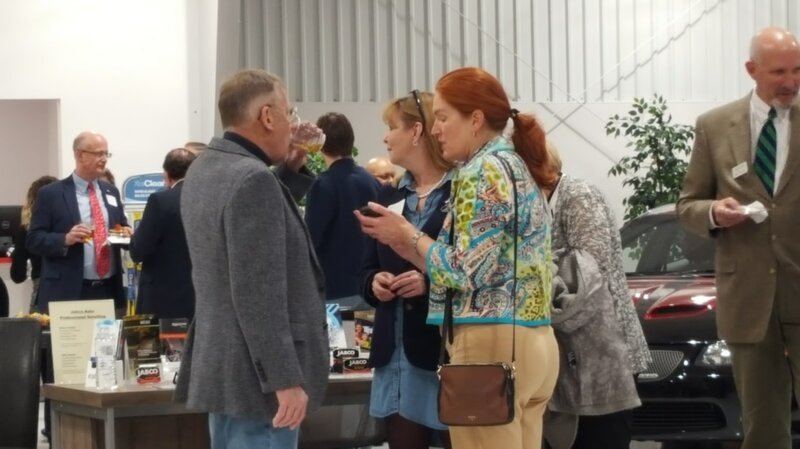 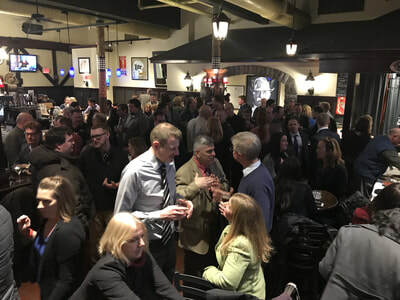 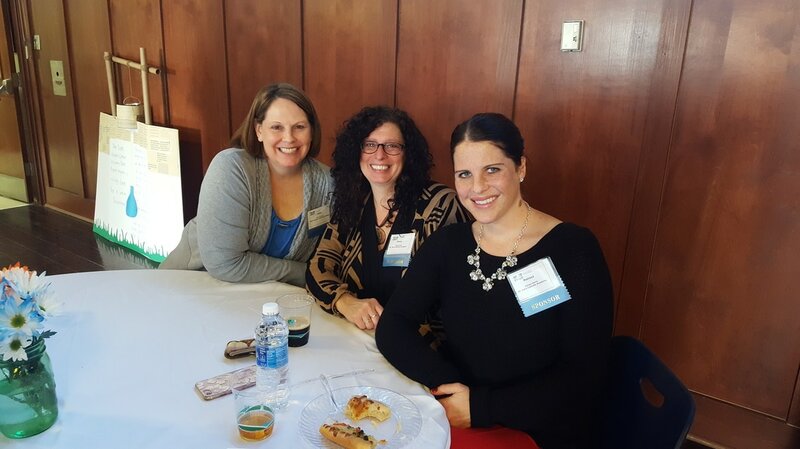 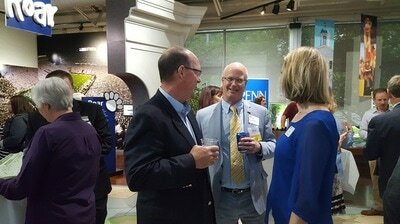 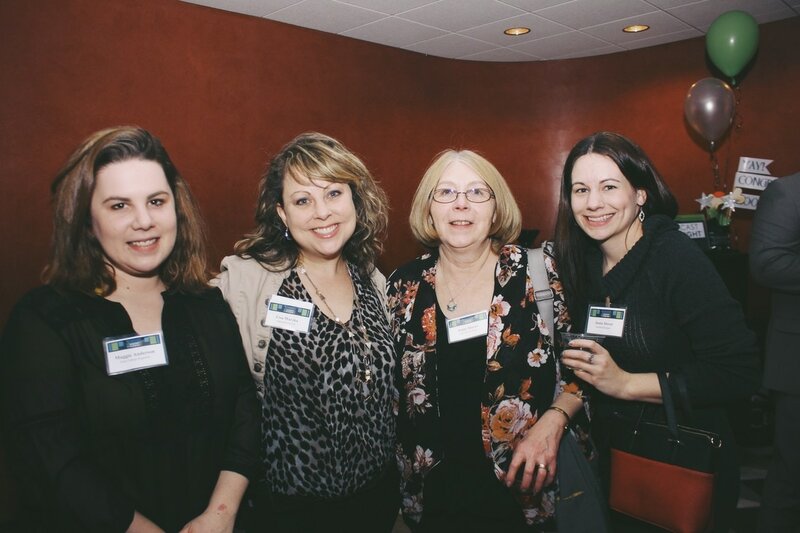 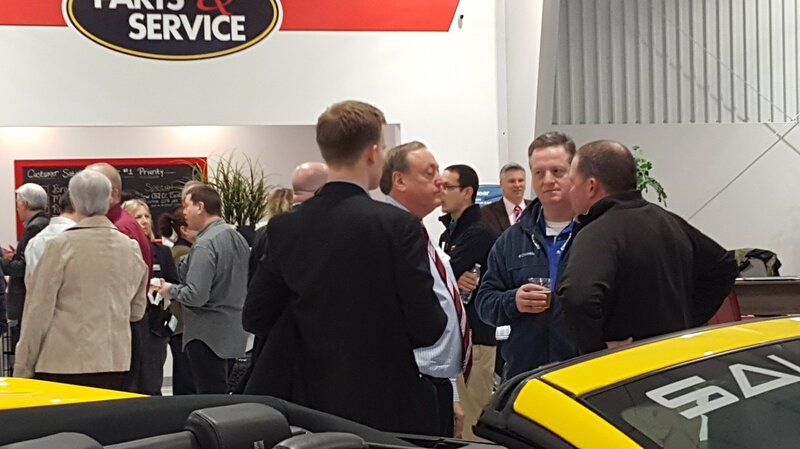 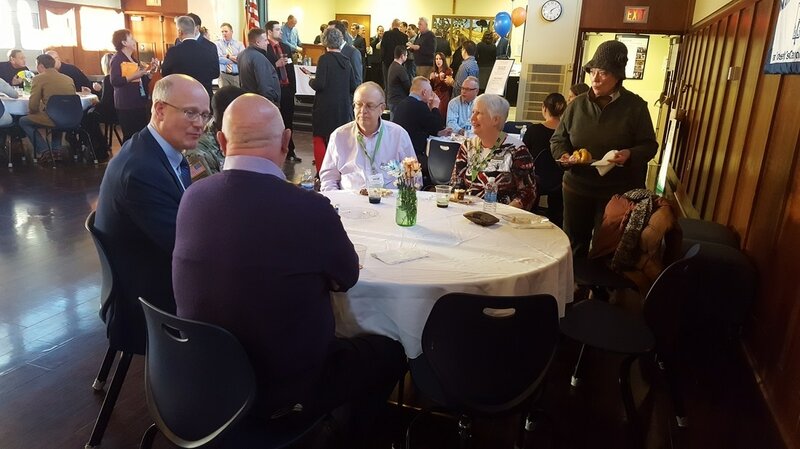 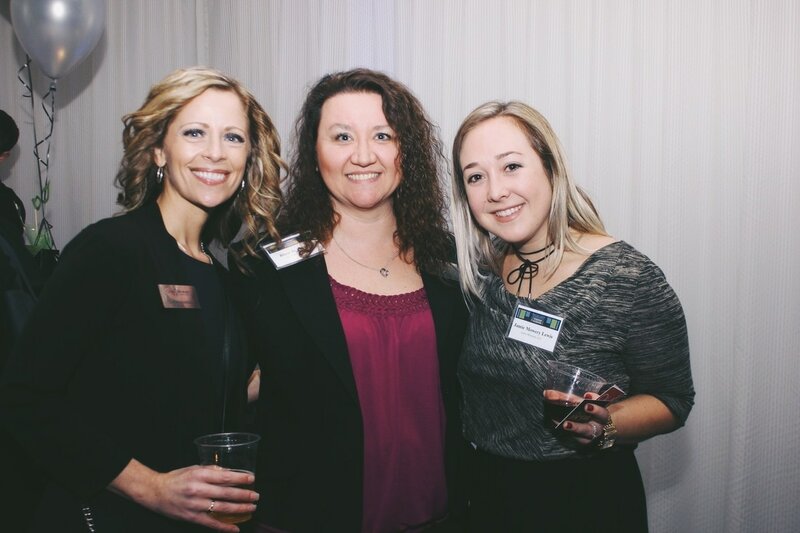 On Thursday, March 28, more than 200 CBICC members and guests attended a fun-filled Business After Hours hosted by WJAC-TV at Pegula Ice Arena. 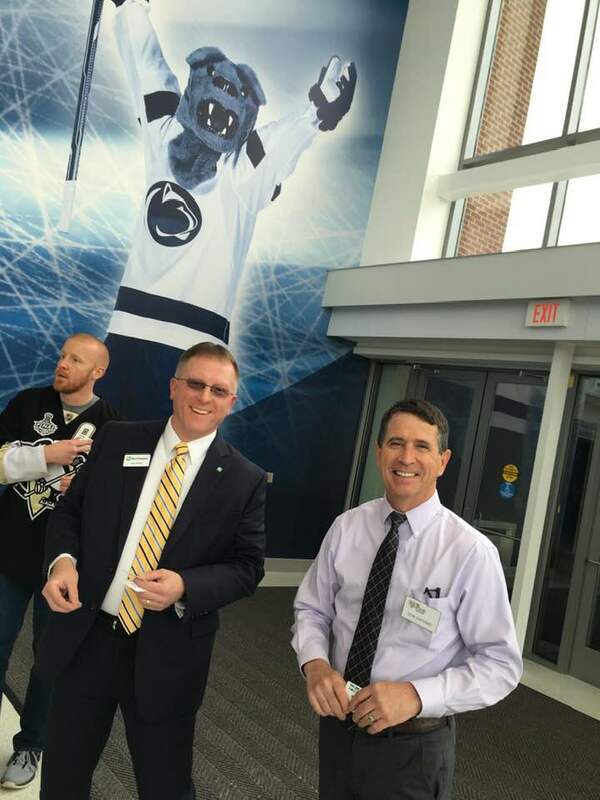 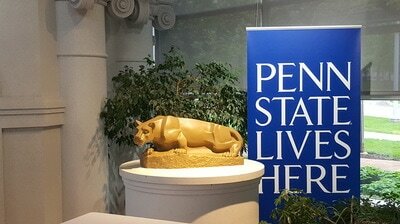 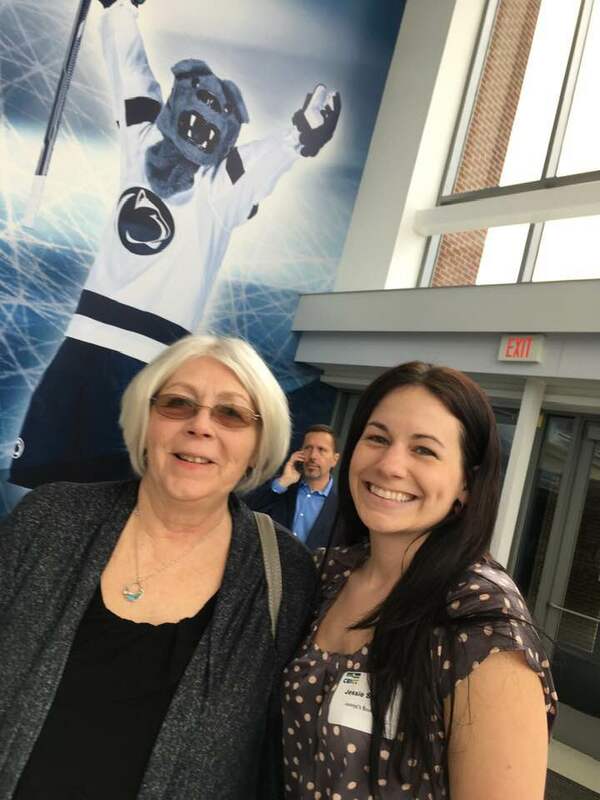 On Wednesday, March 27, the CBICC held a ribbon cutting for the new Nittany Valley Sports Centre. 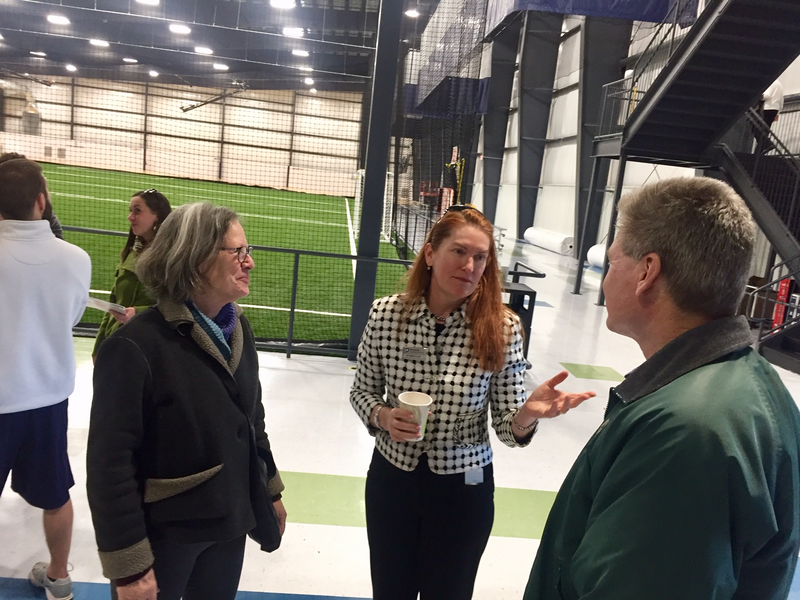 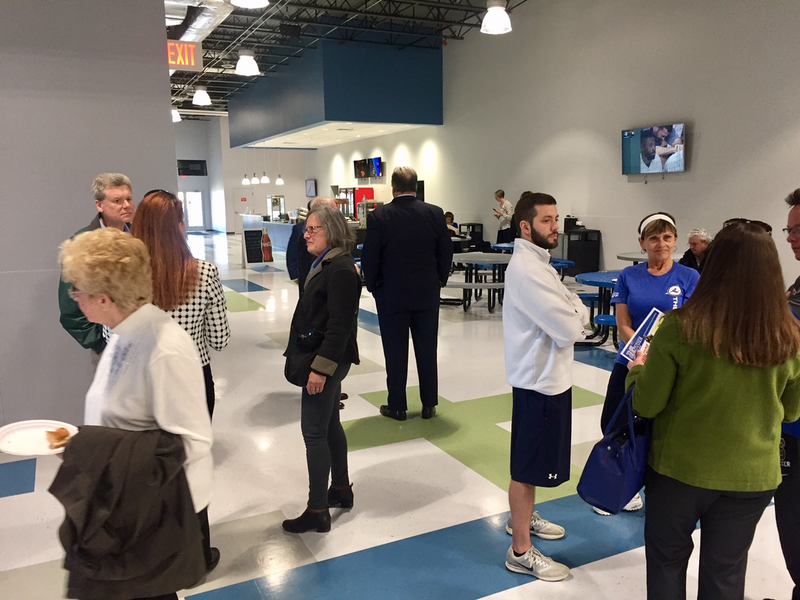 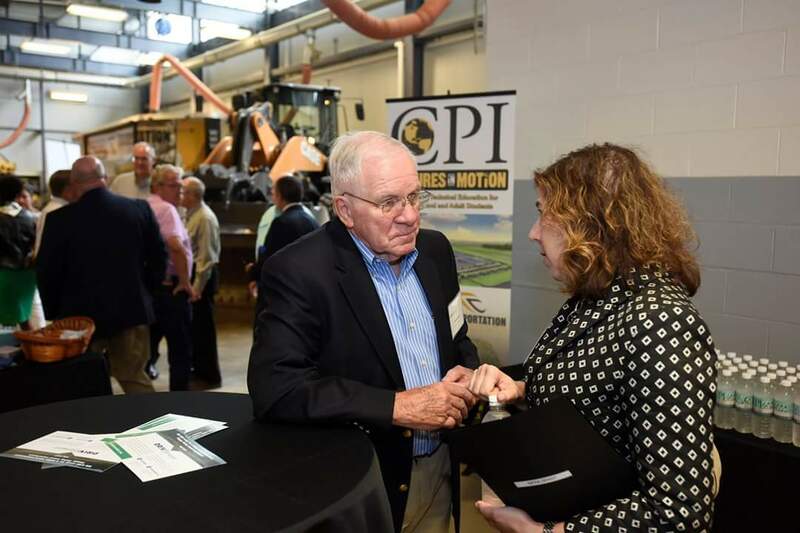 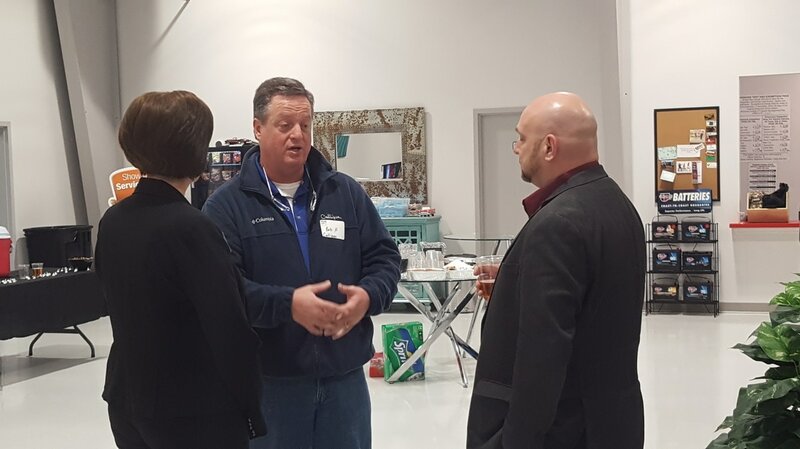 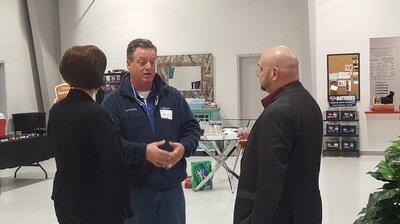 A tour of the new indoor sports complex followed the program, which featured comments by facility owner Michael Lee; CBICC President and CEO Vern Squier; Centre County Commissioner Chairman Michael Pipe; and Patton Township Supervisor Betsy Whitman. 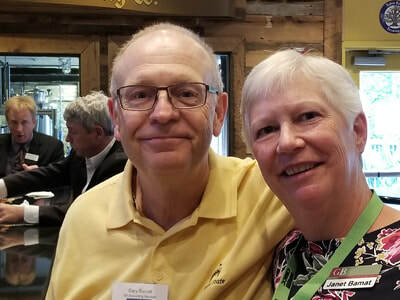 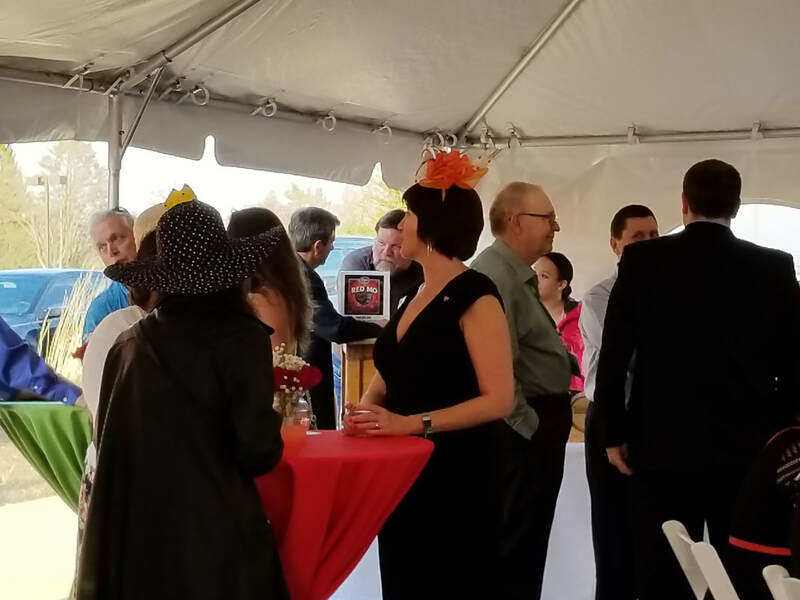 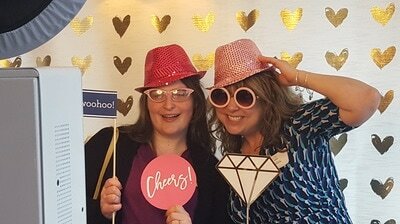 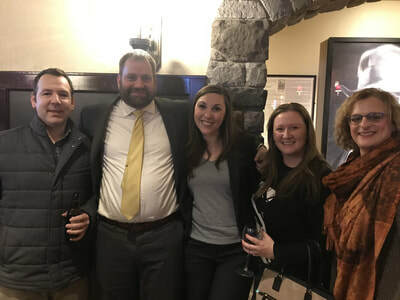 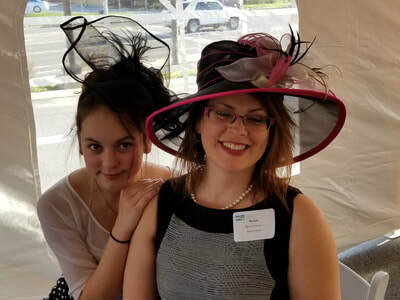 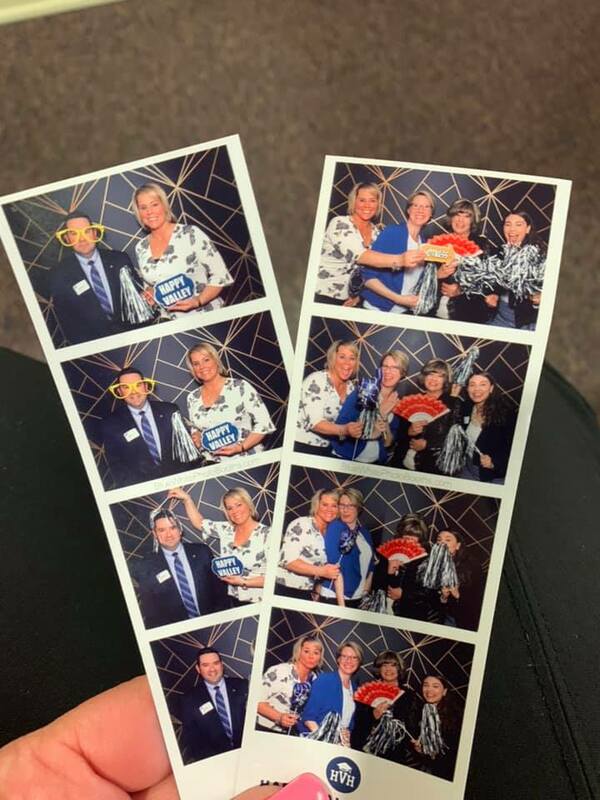 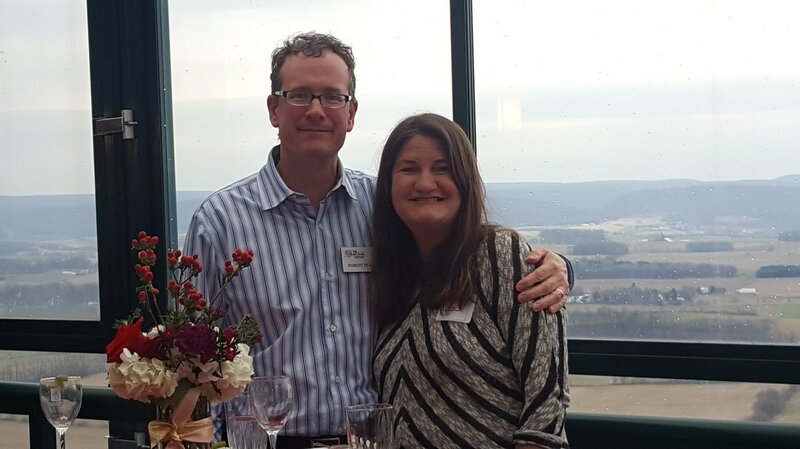 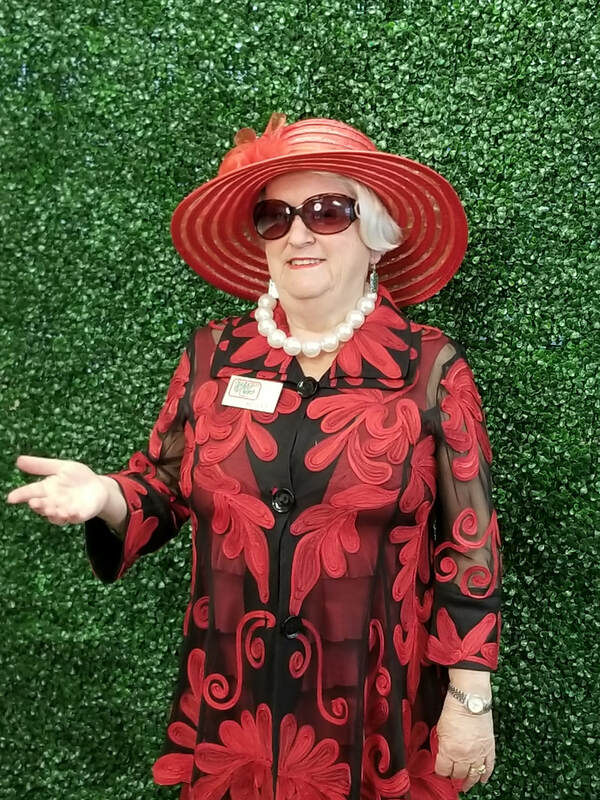 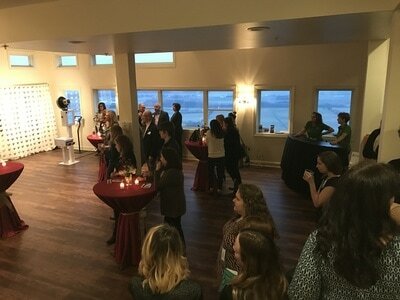 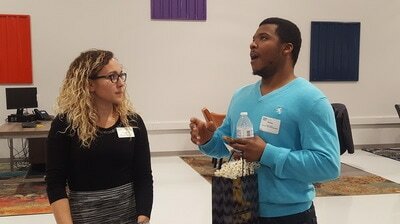 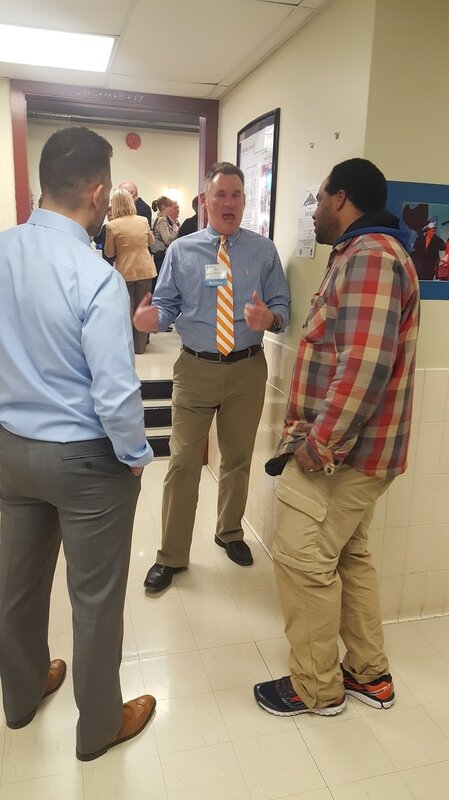 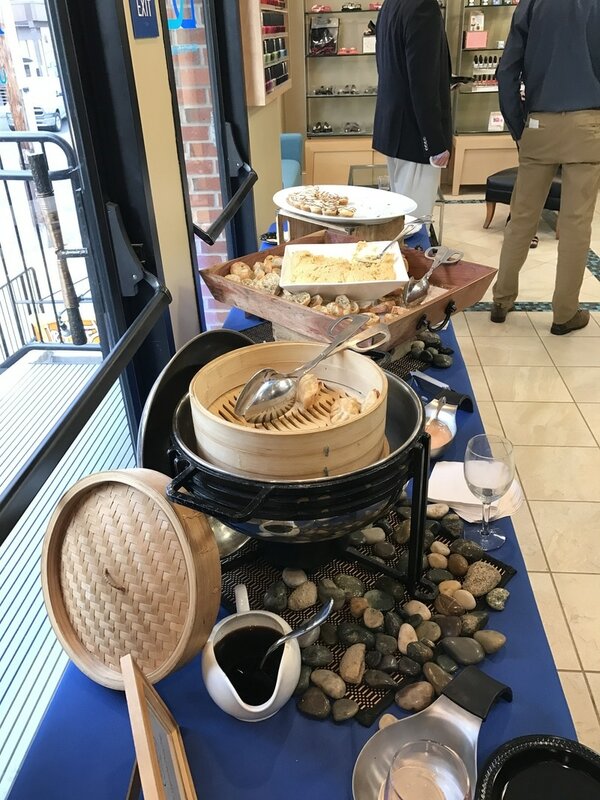 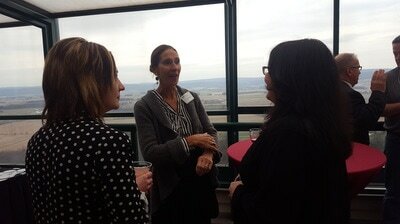 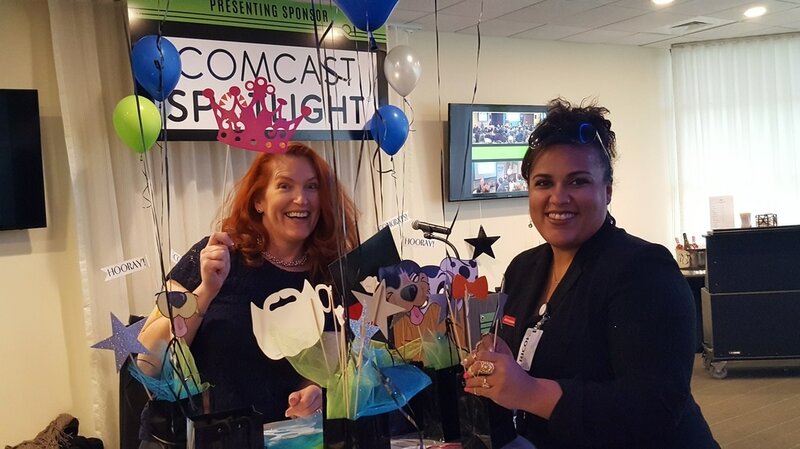 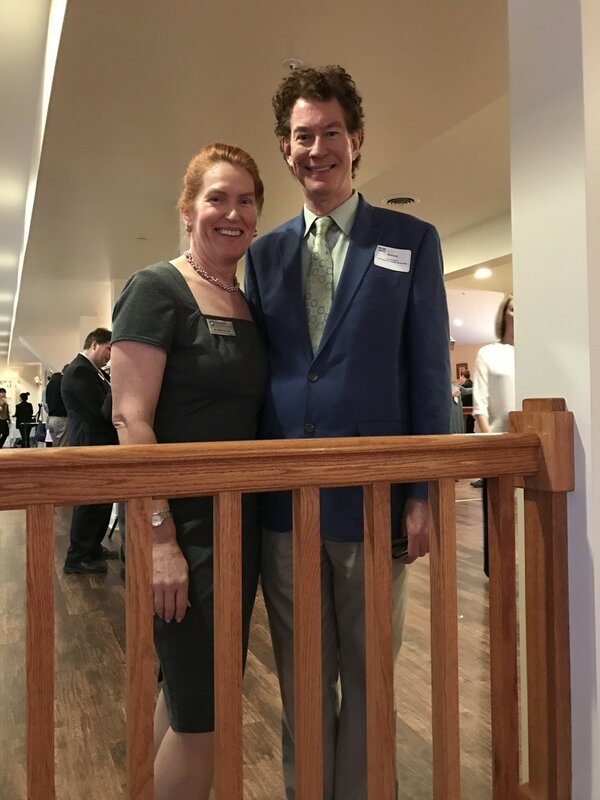 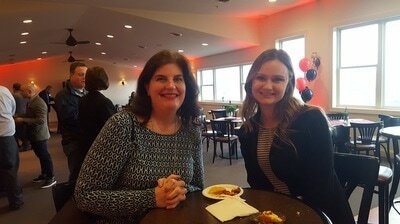 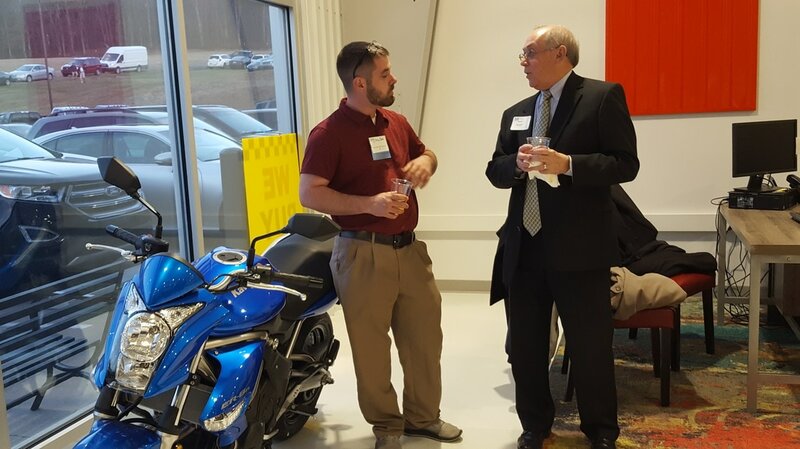 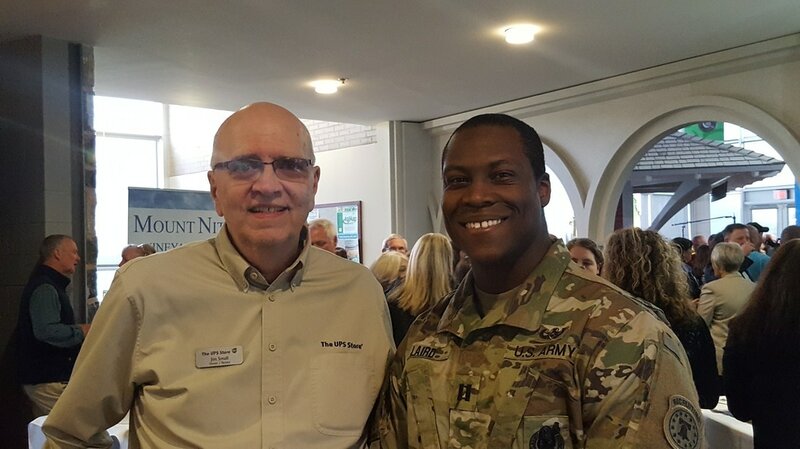 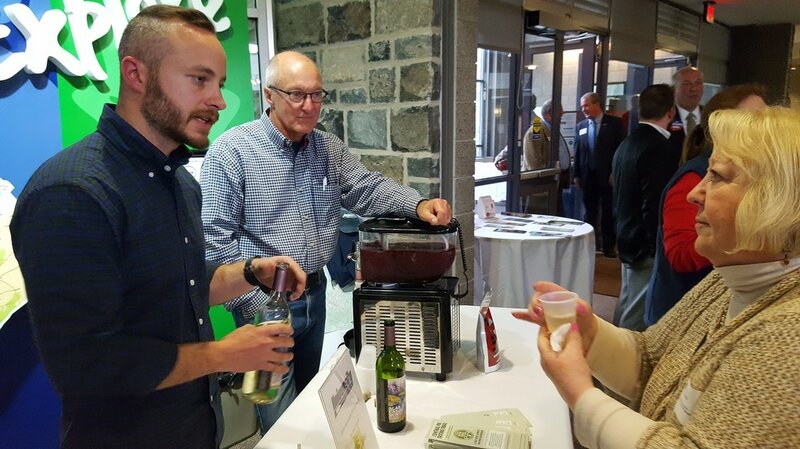 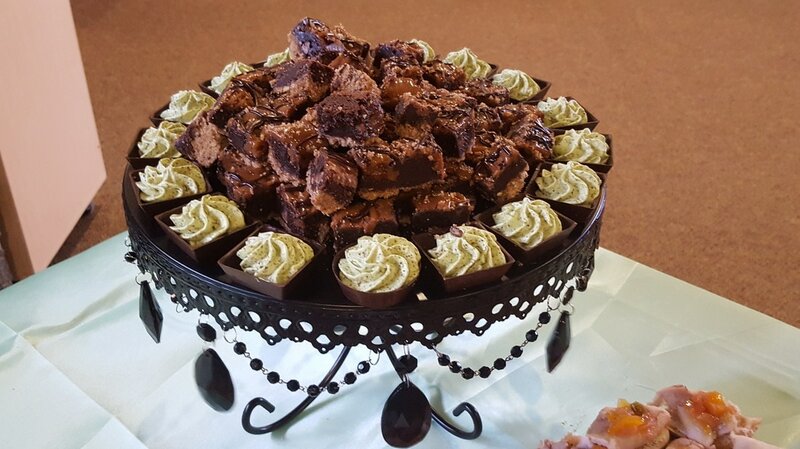 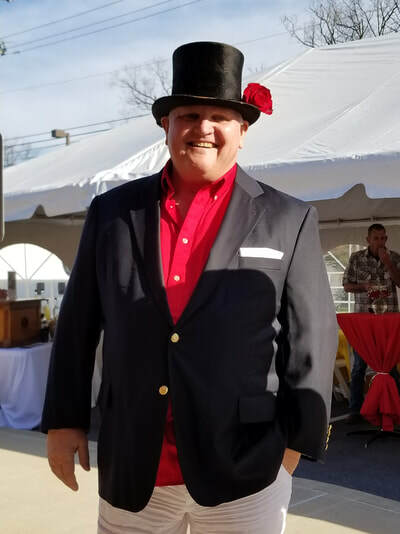 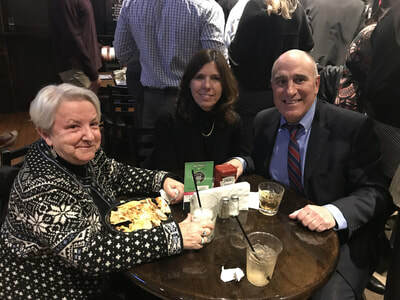 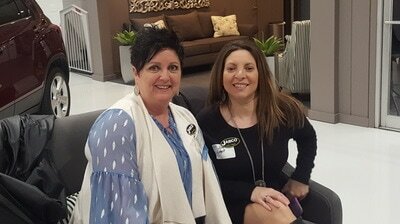 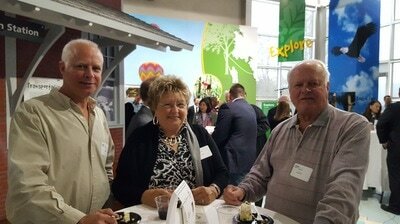 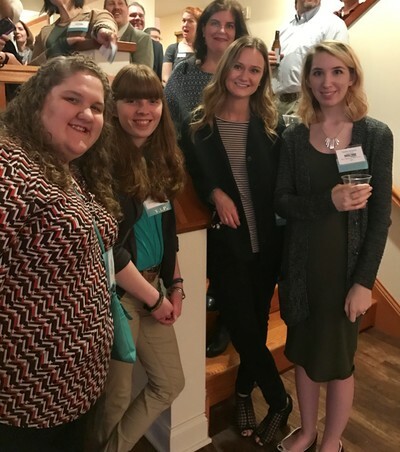 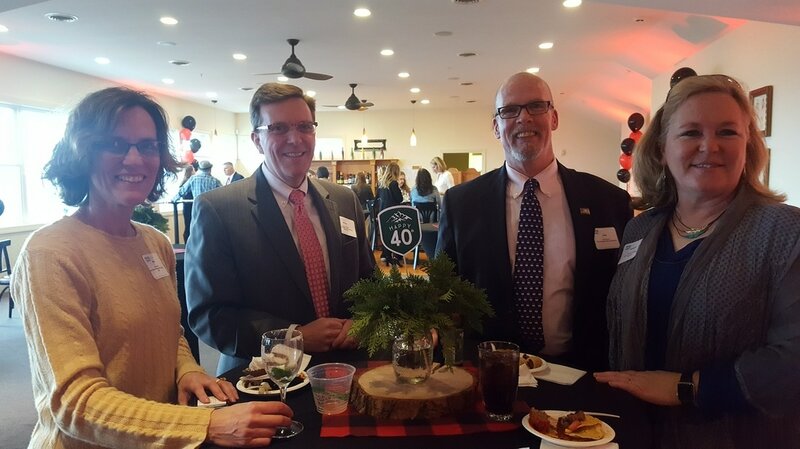 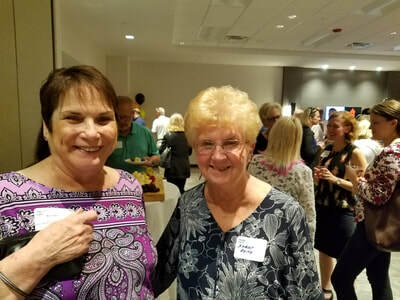 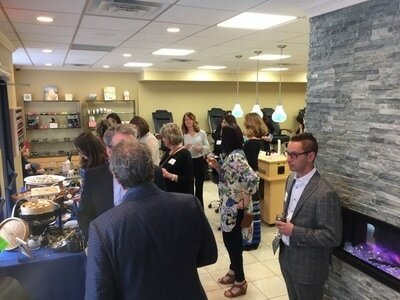 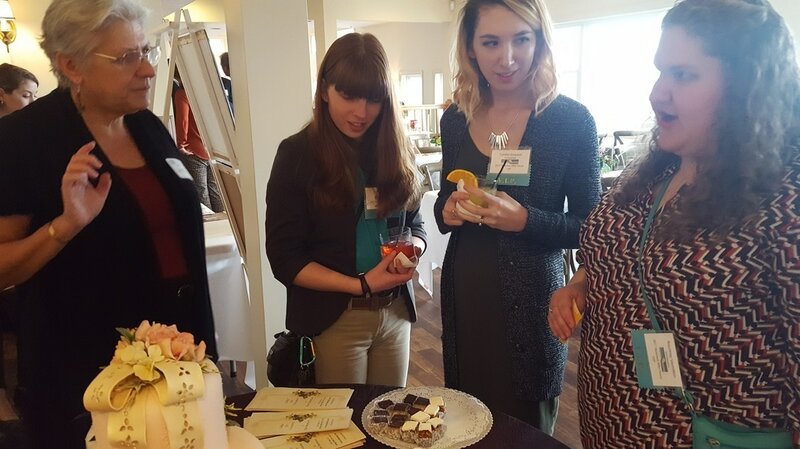 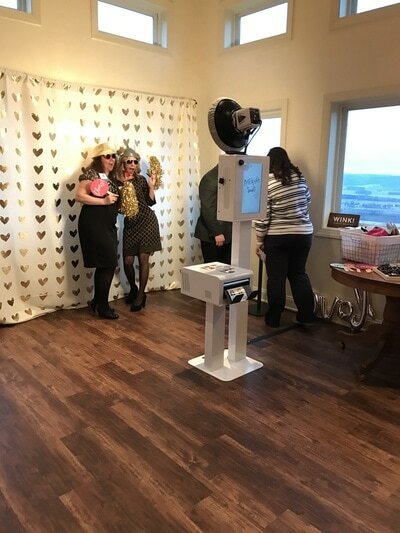 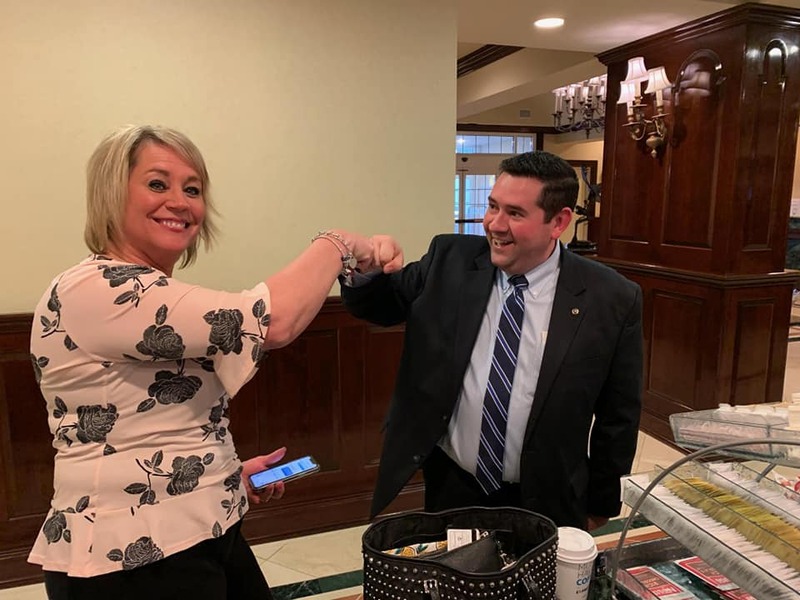 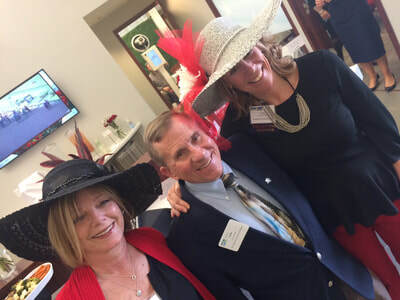 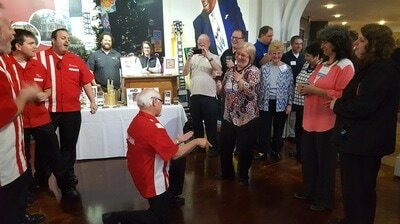 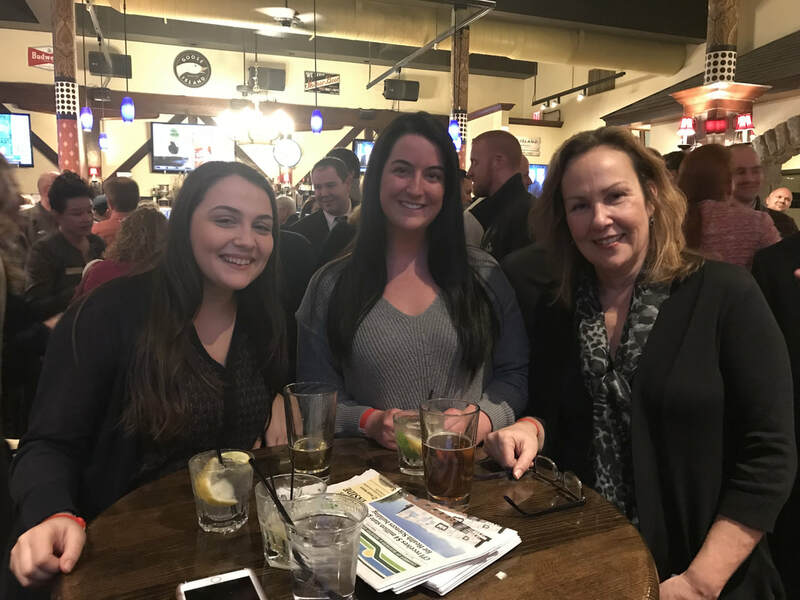 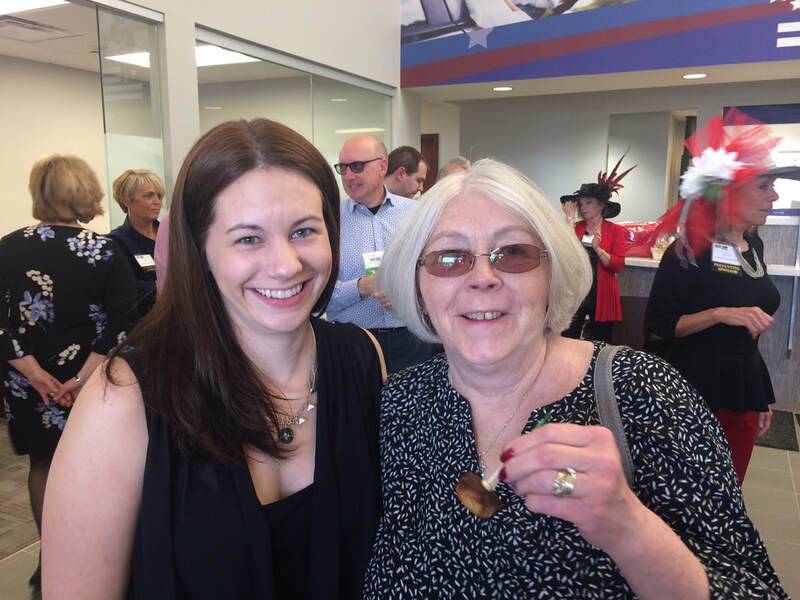 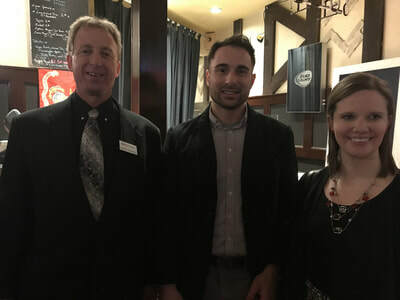 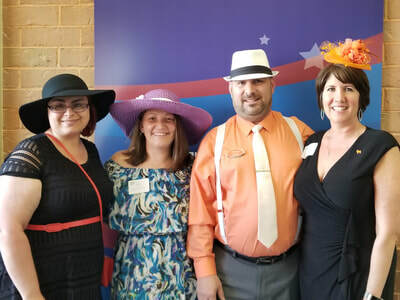 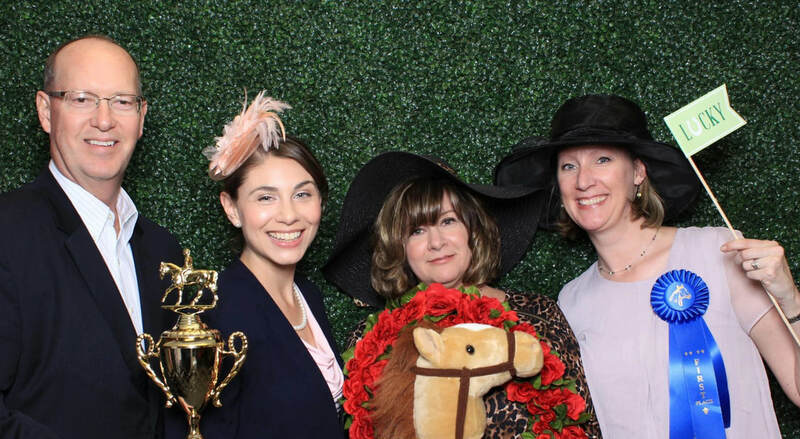 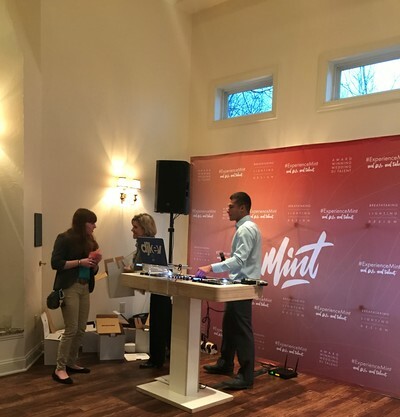 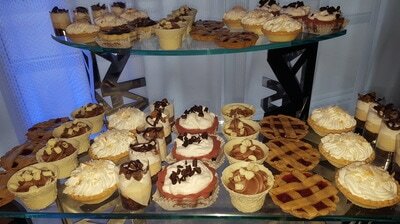 On Thursday, March 14, Timberland Federal Credit Union hosted an entertaining casino-night-themed Business After Hours Networking event at its Pleasant Gap branch. 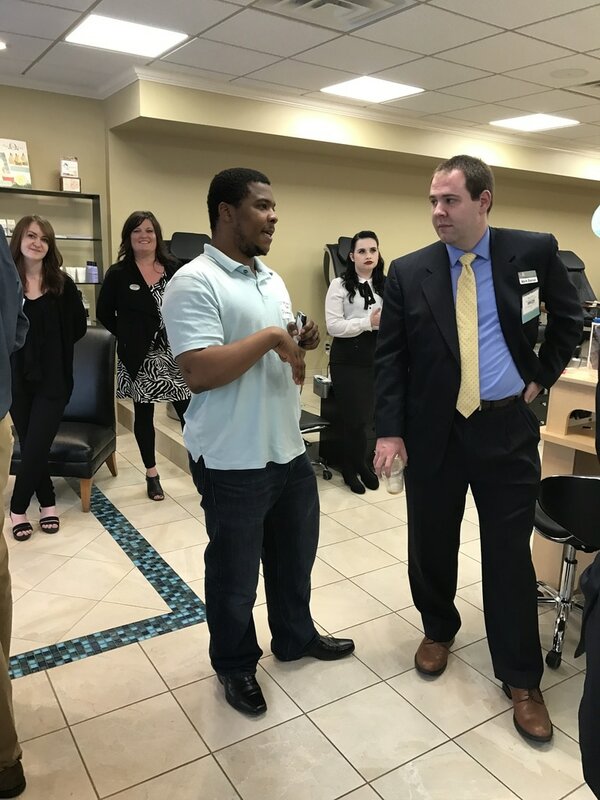 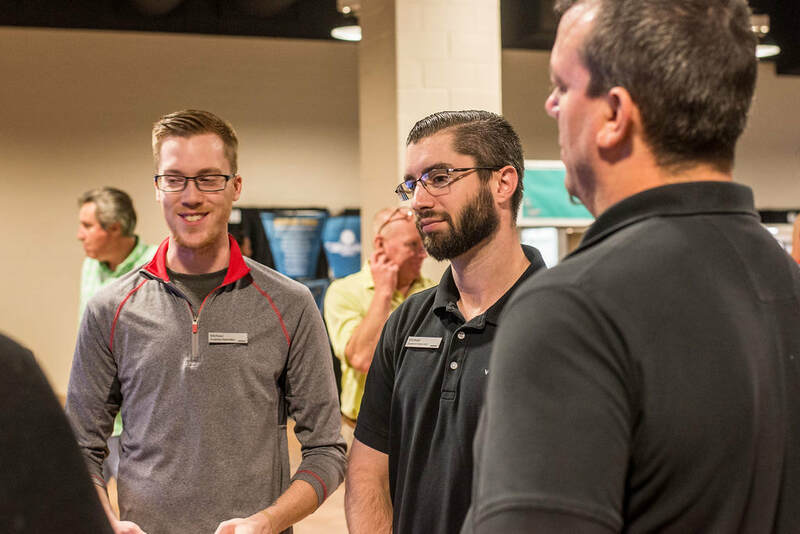 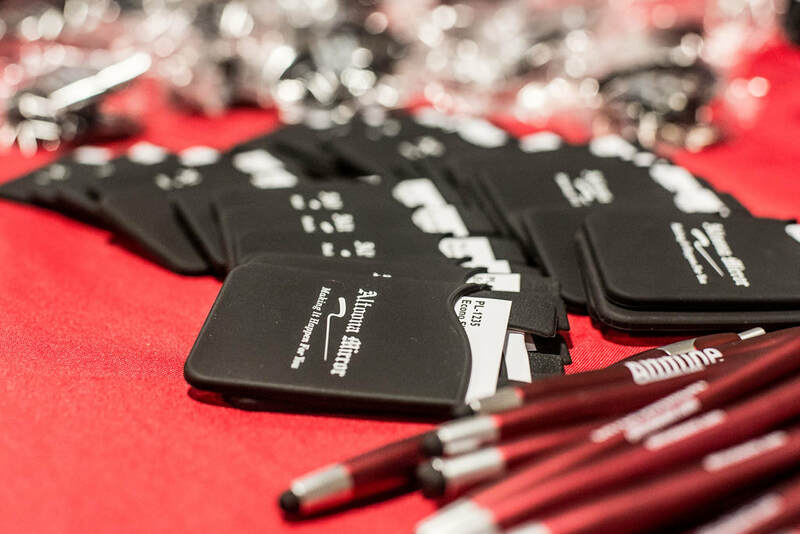 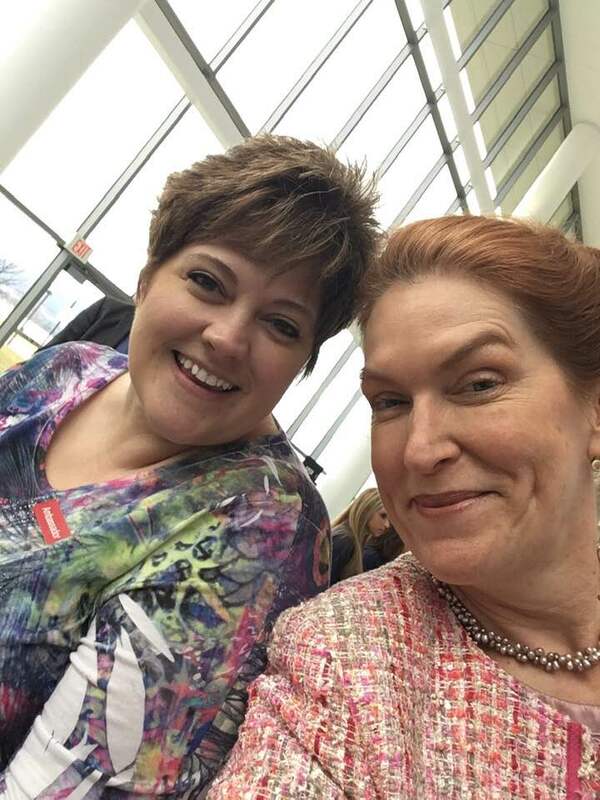 On Friday, Feb. 15, the CBICC held a ribbon cutting for locally owned Verizon retailer Wireless Made Simple's grand opening of the area's first "Next Generation" Verizon Wireless store. 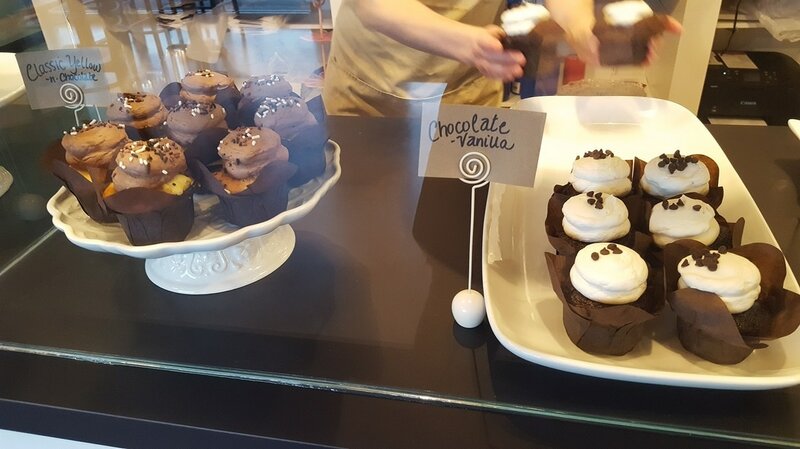 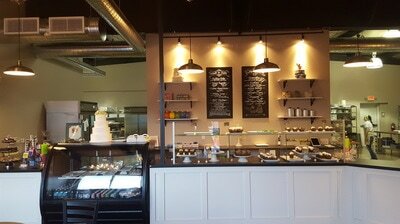 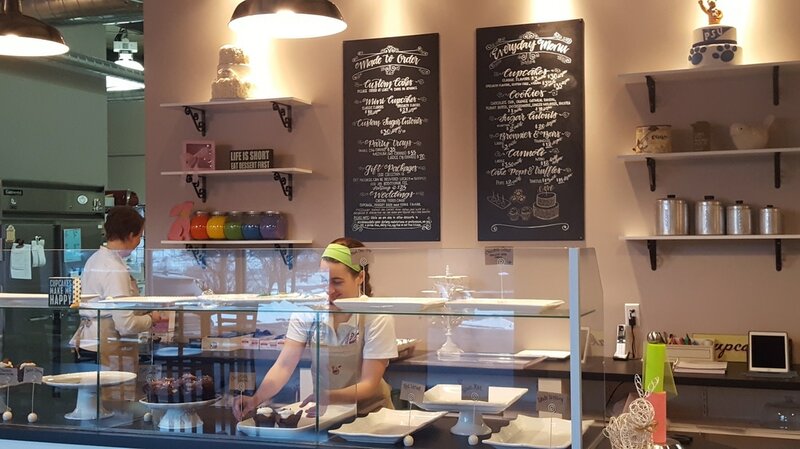 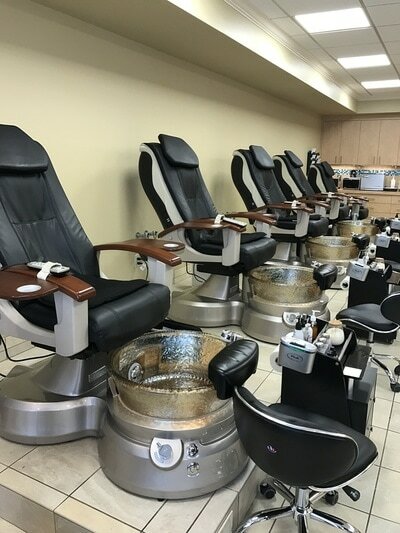 The new store is located at 2615 E. College Ave., between Luna 2 and Carpet One. 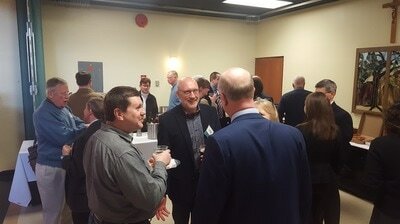 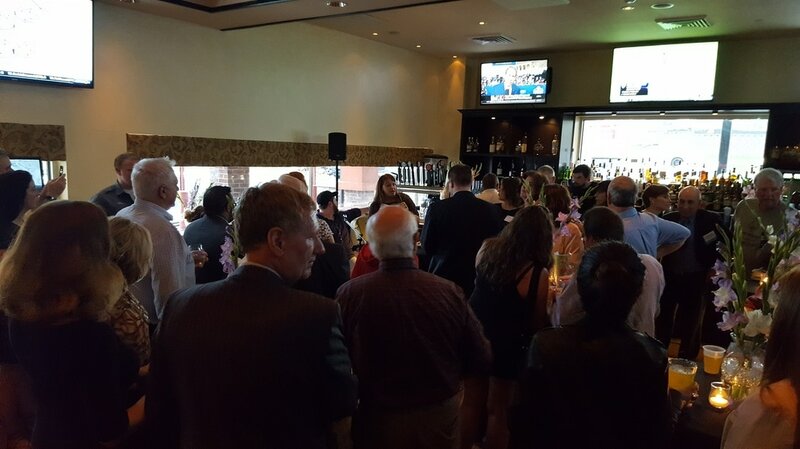 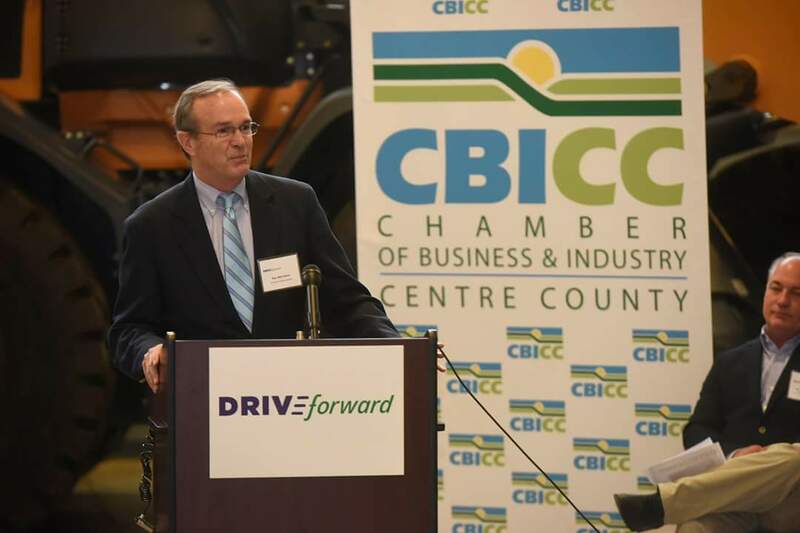 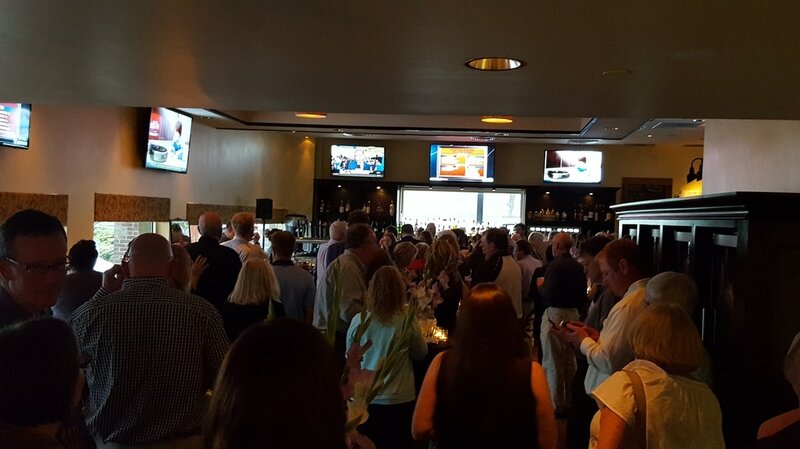 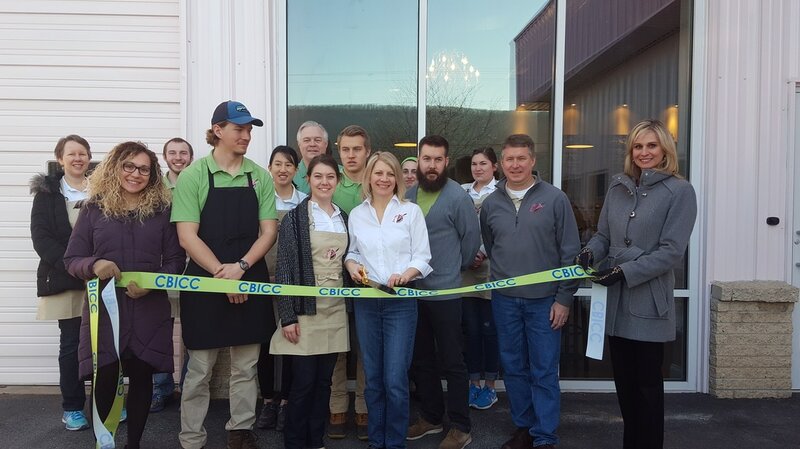 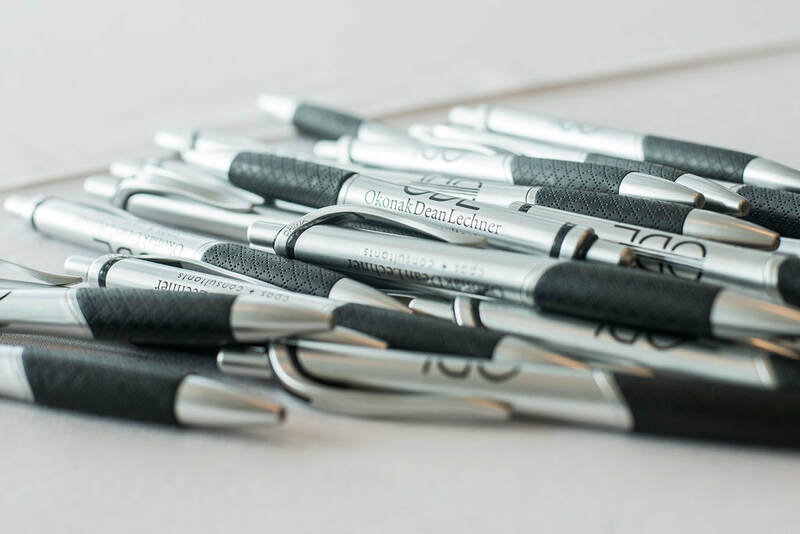 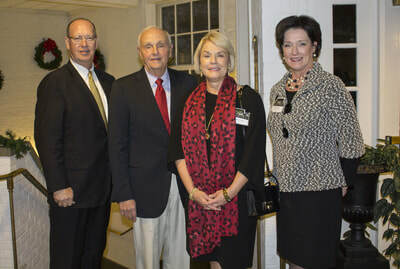 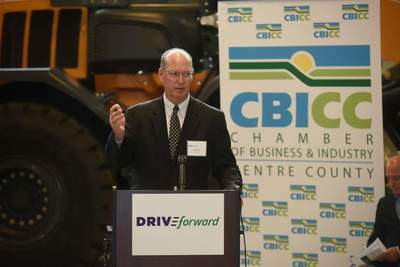 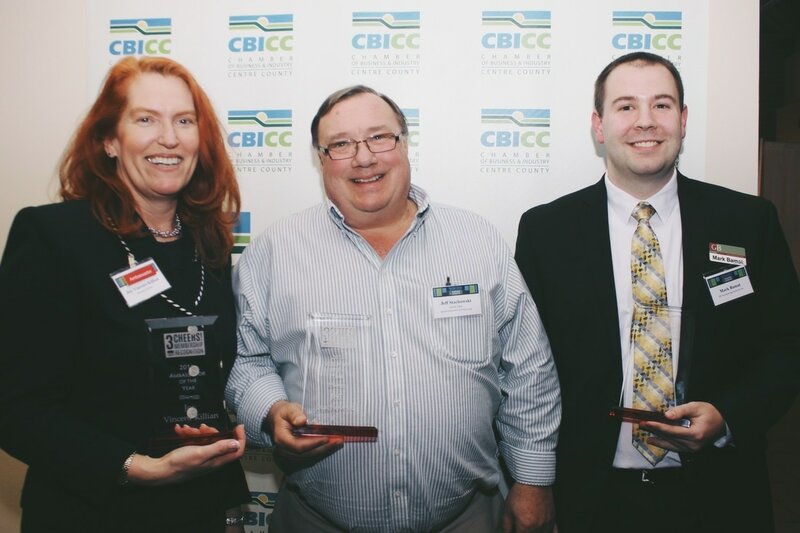 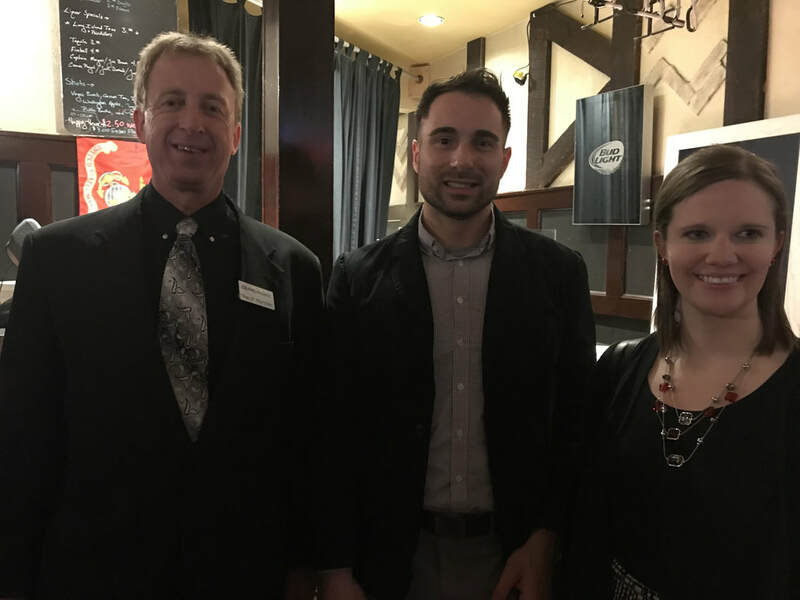 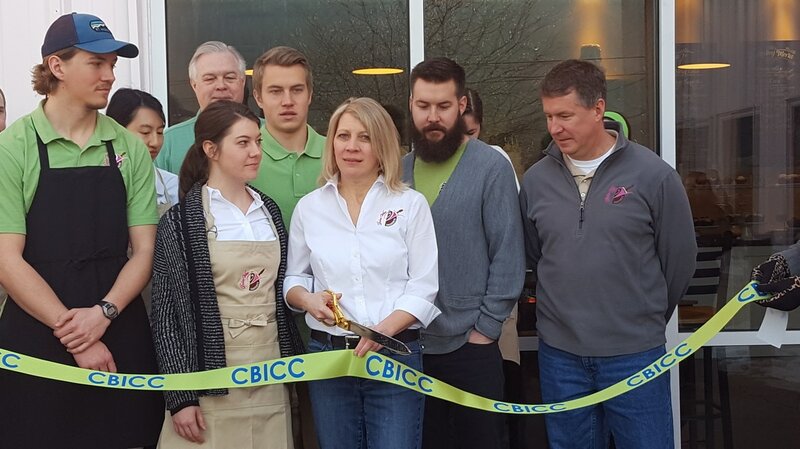 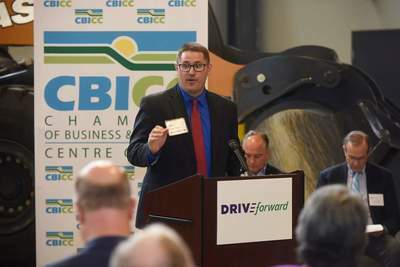 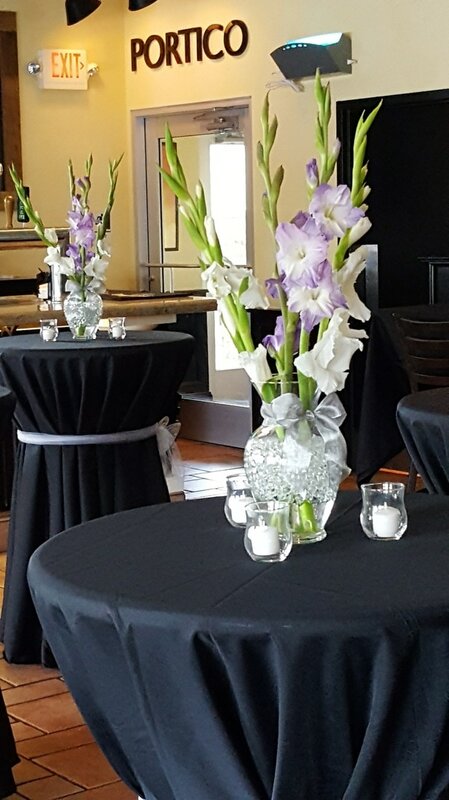 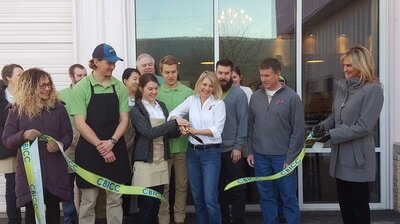 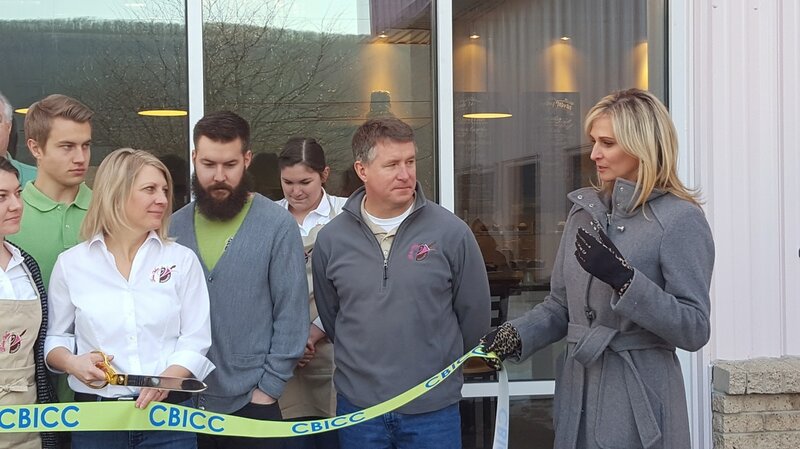 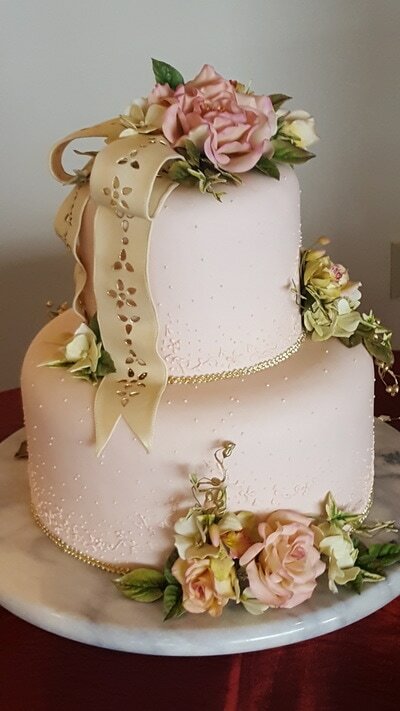 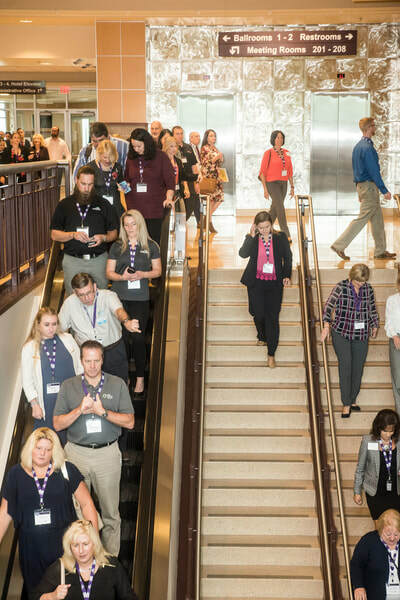 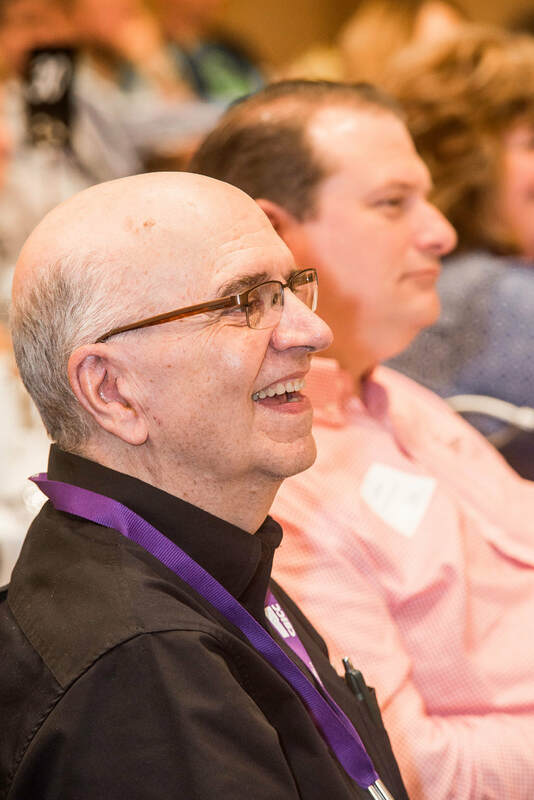 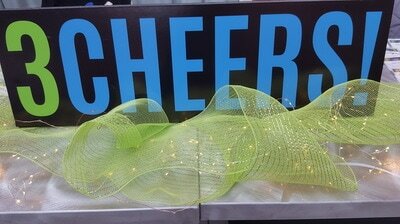 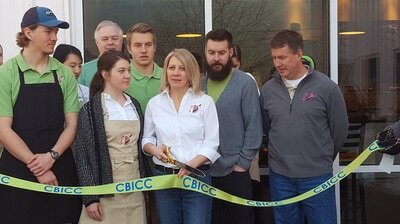 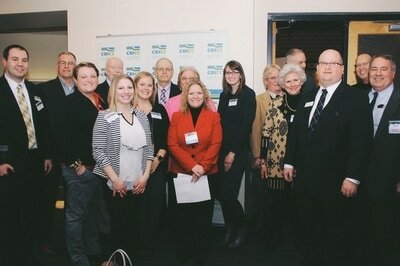 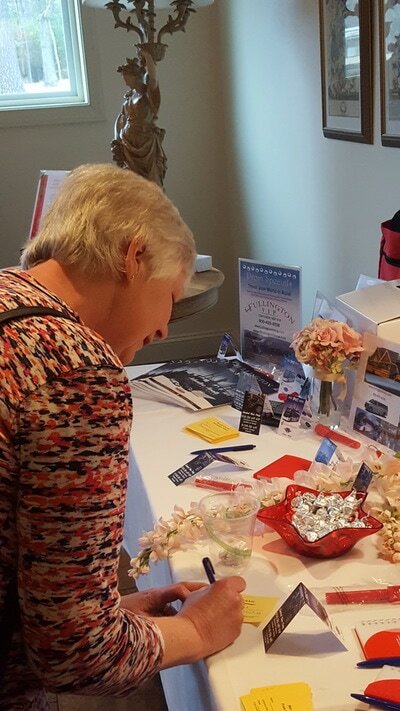 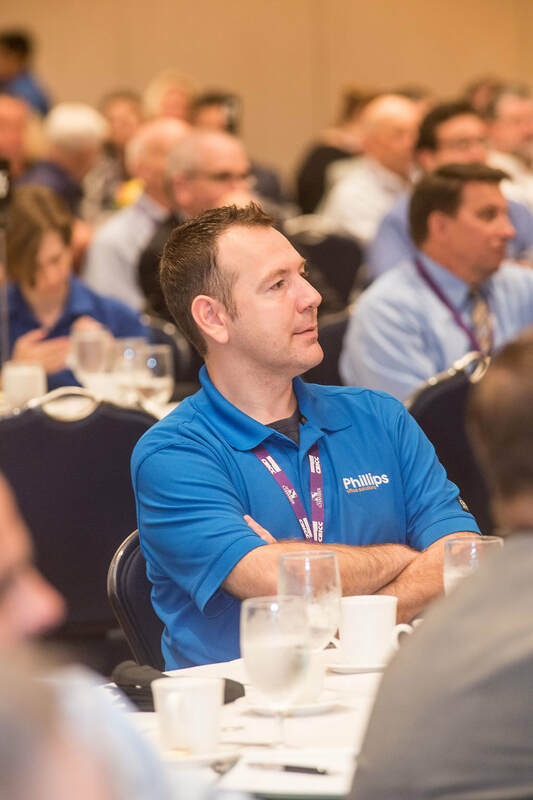 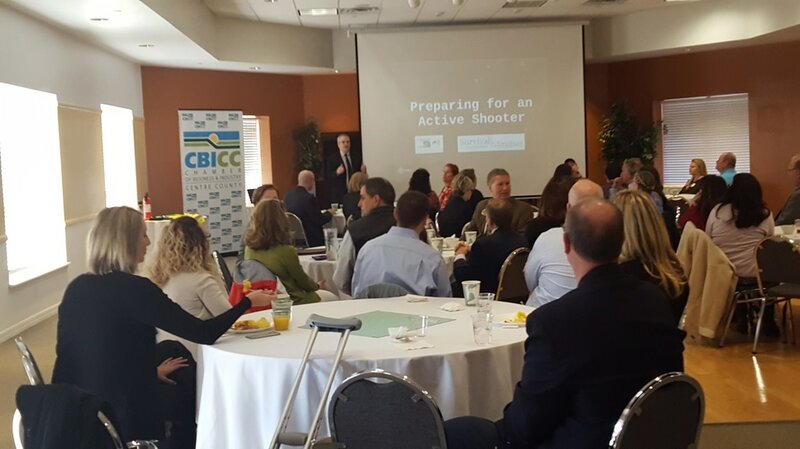 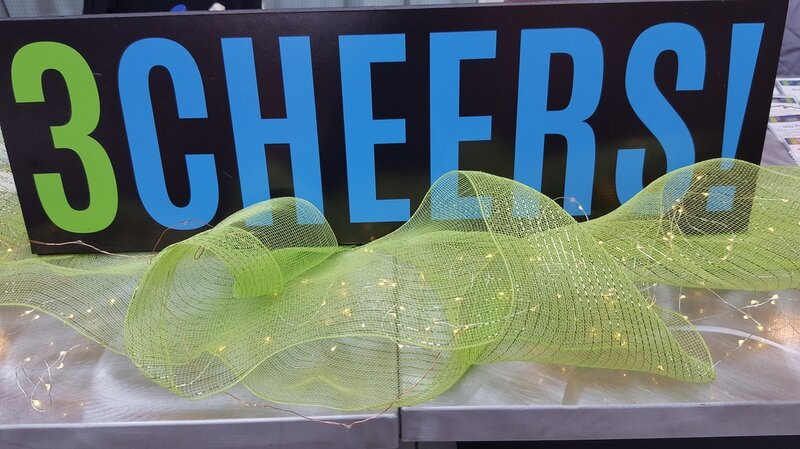 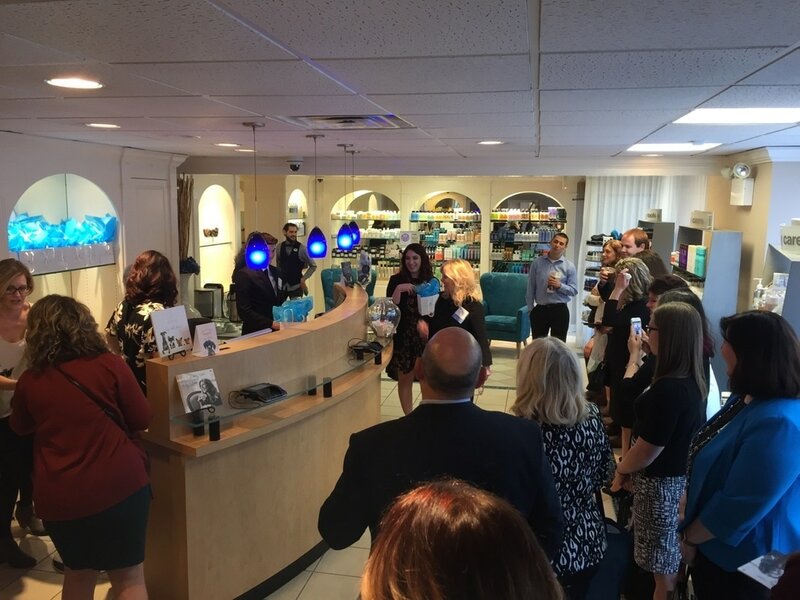 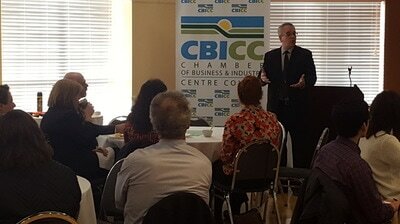 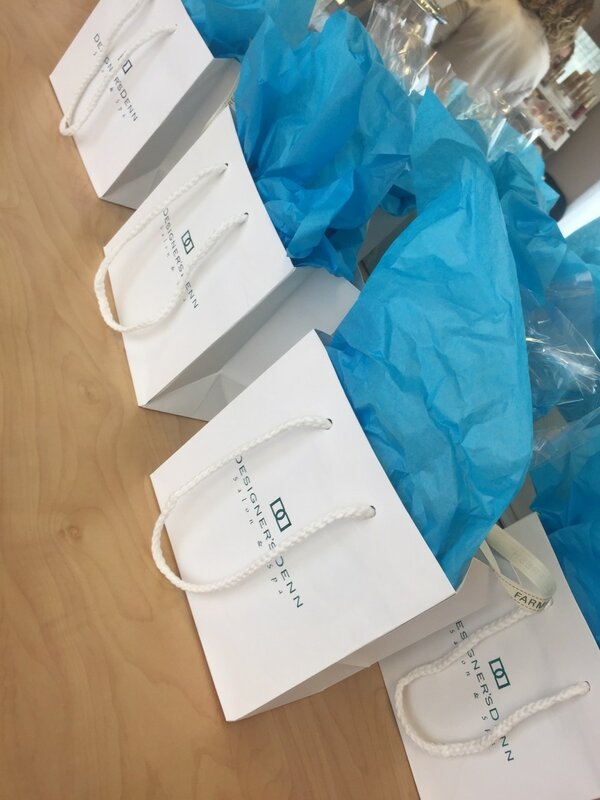 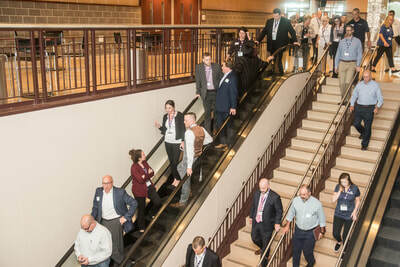 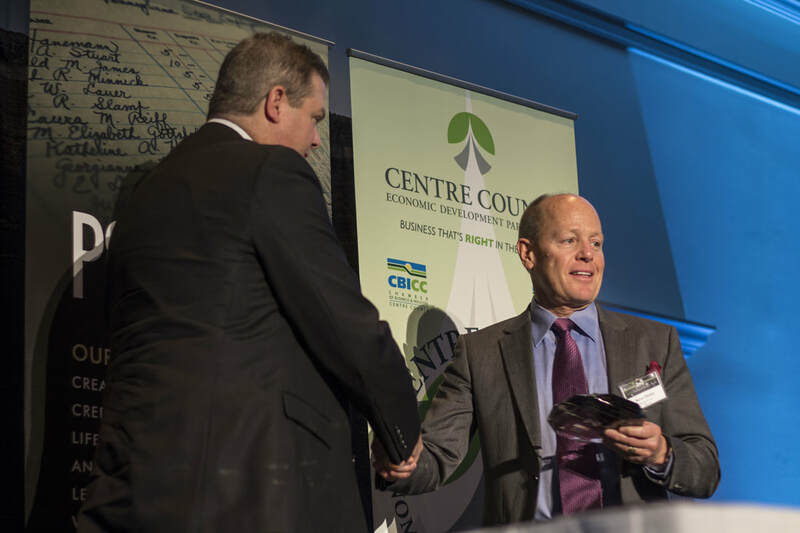 The CBICC welcomes the opportunity to help its members celebrate business milestones. 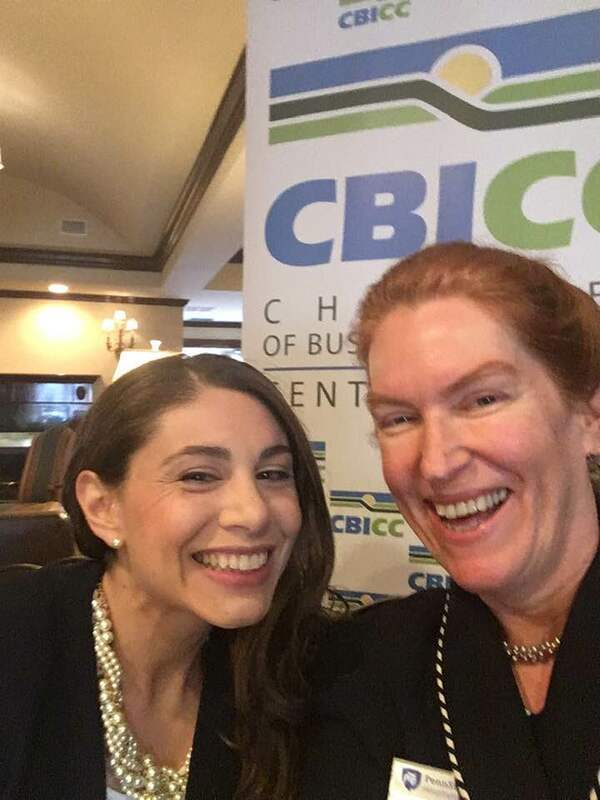 Email irene@cbicc.org for more information. 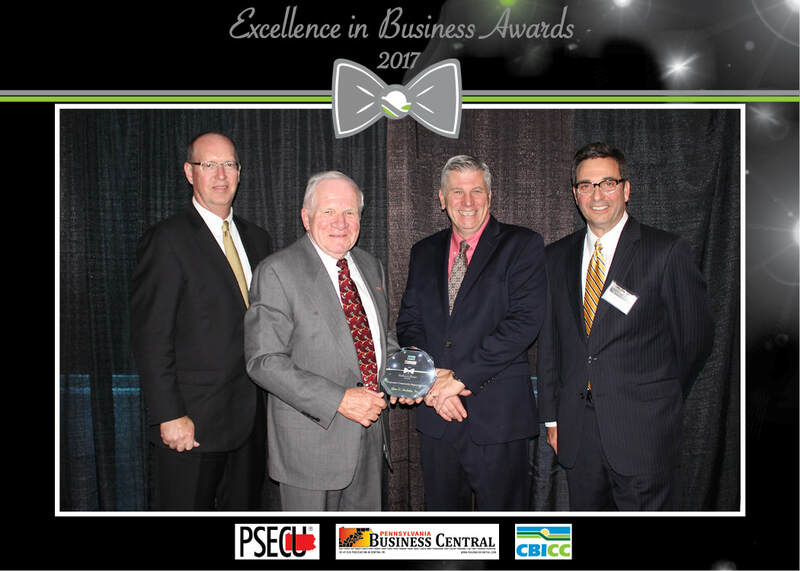 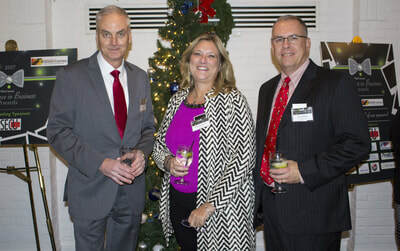 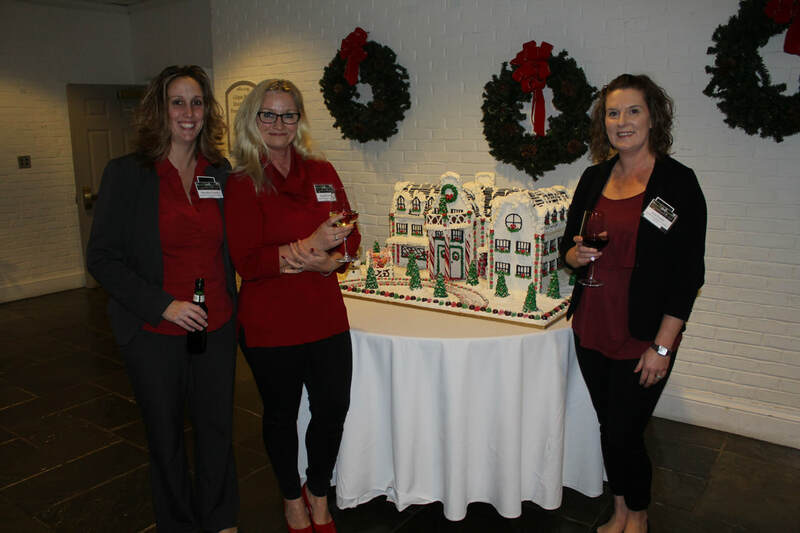 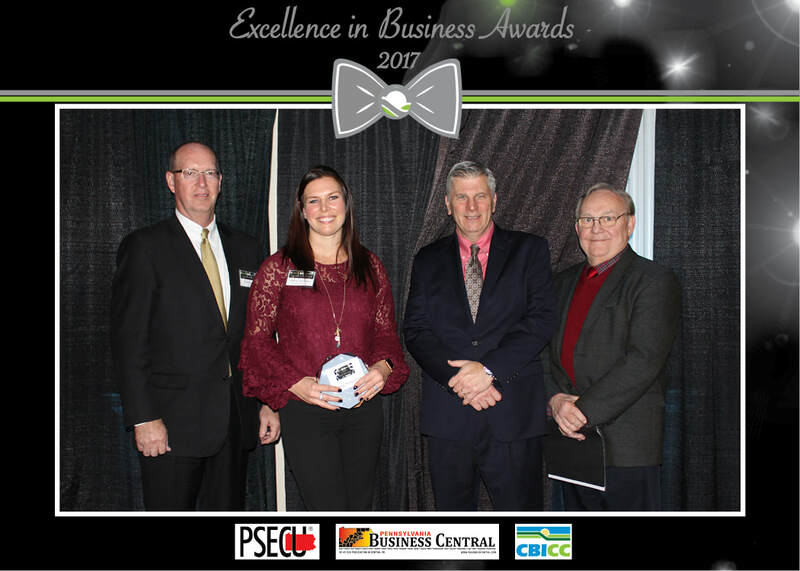 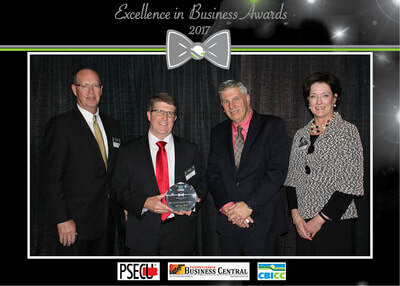 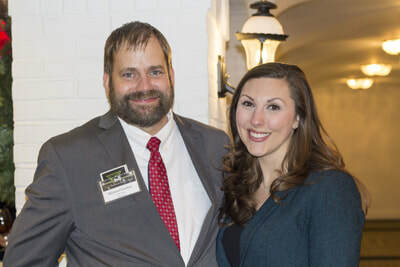 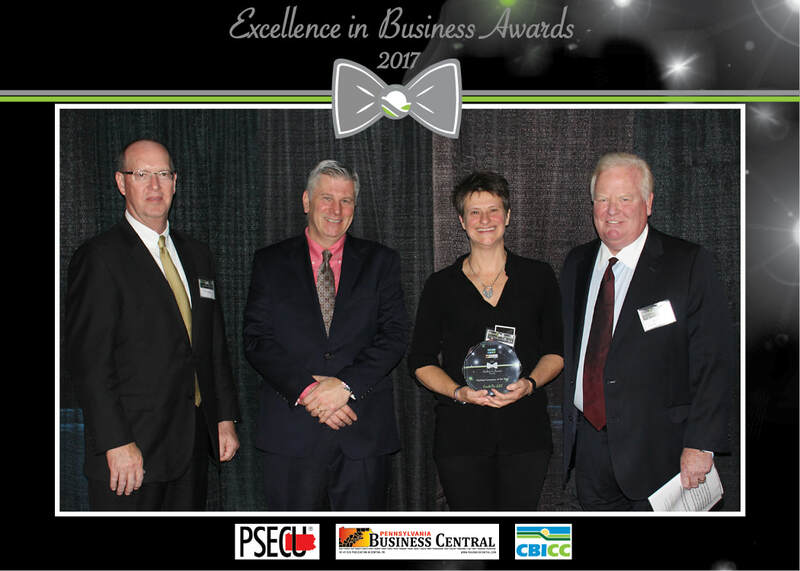 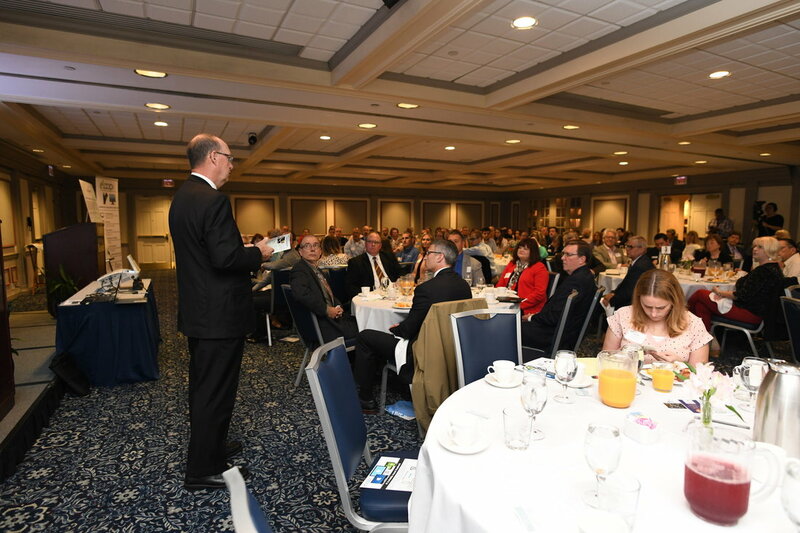 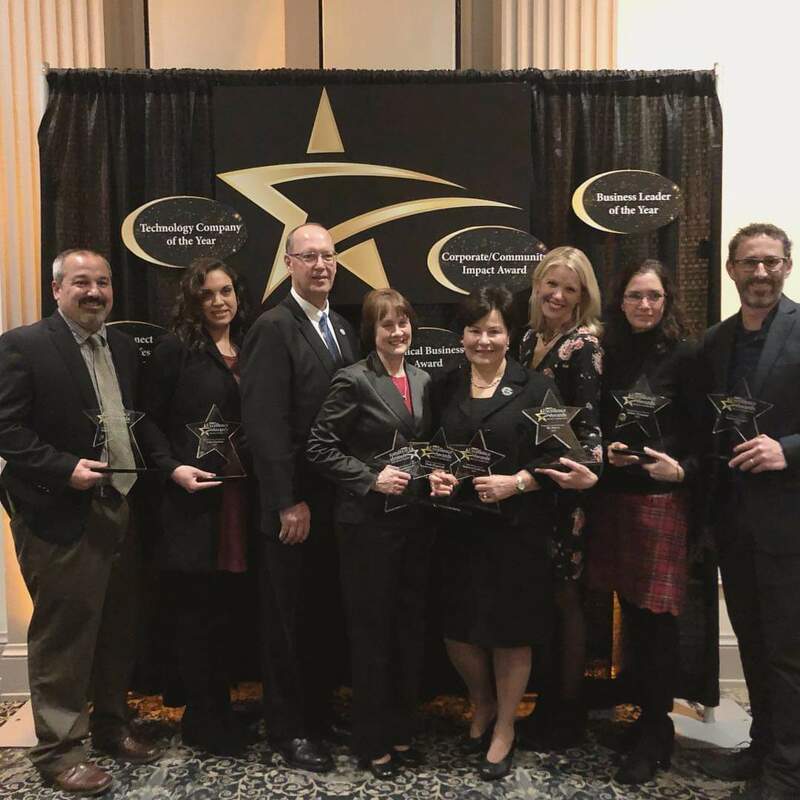 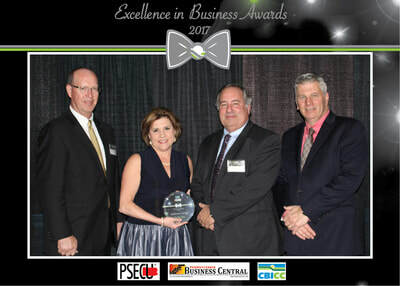 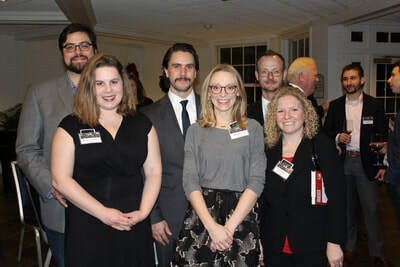 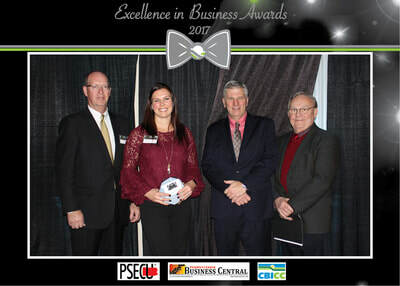 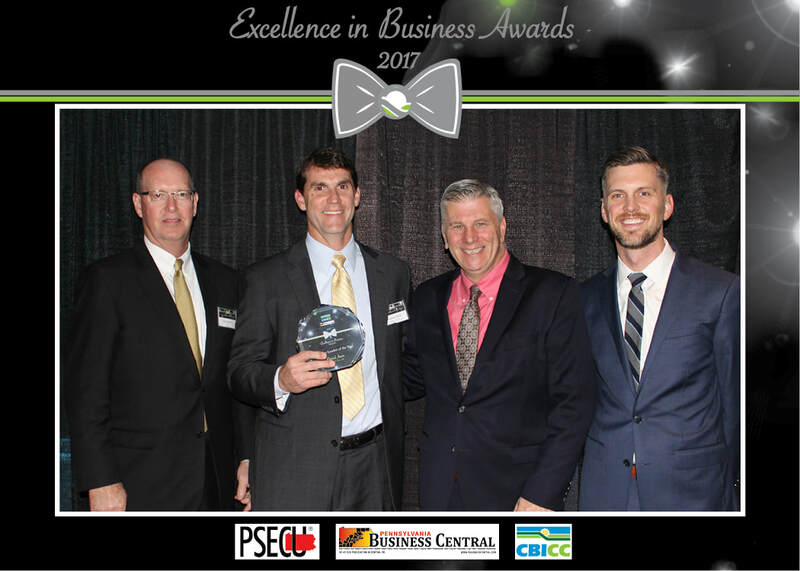 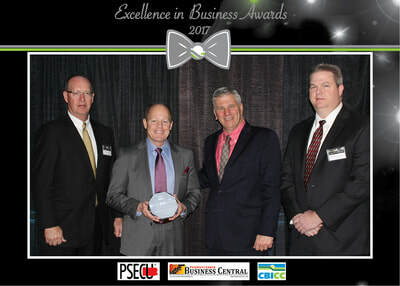 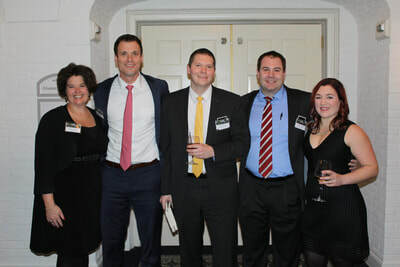 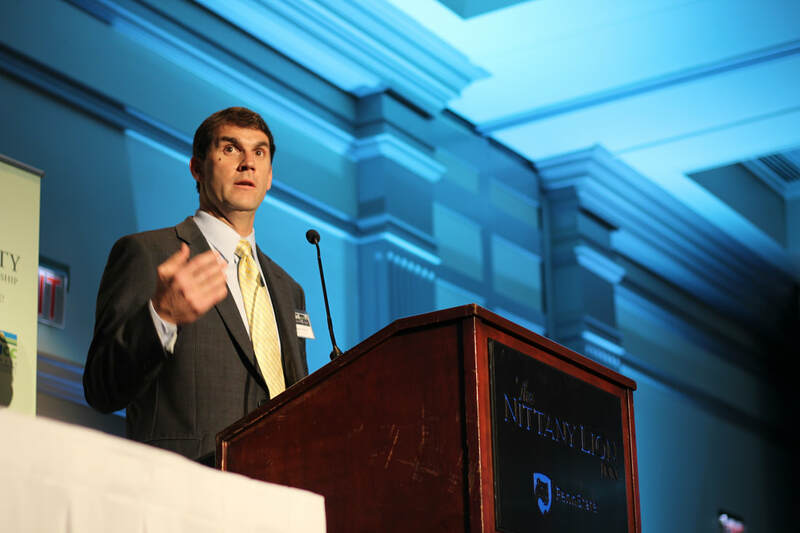 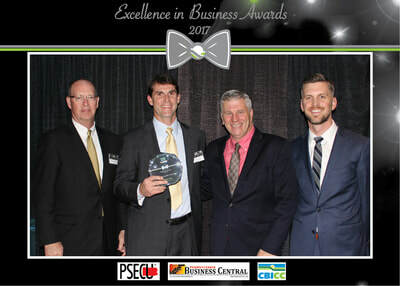 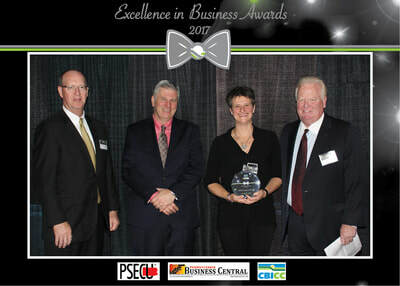 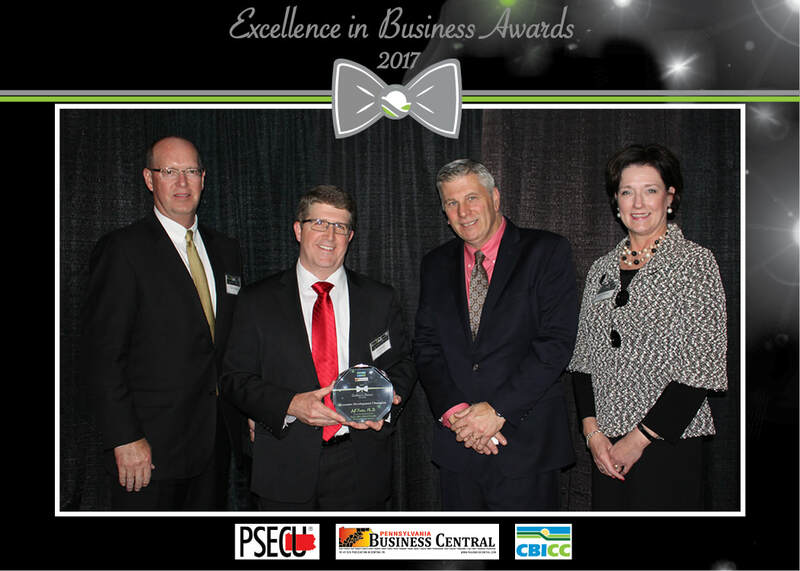 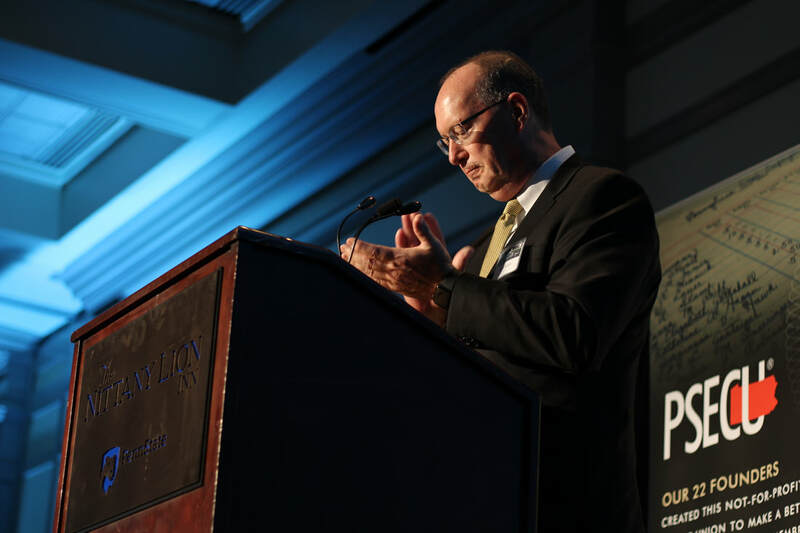 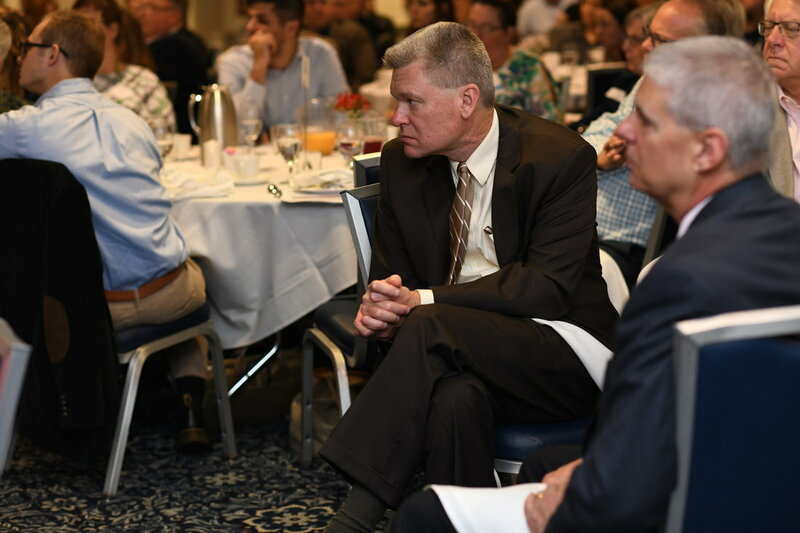 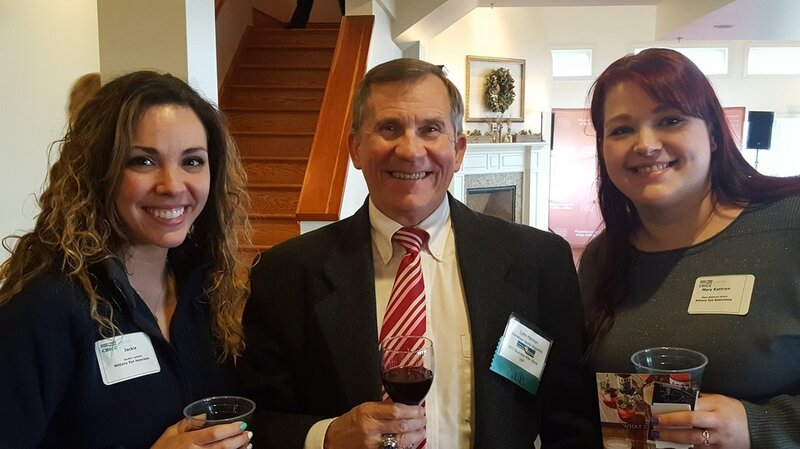 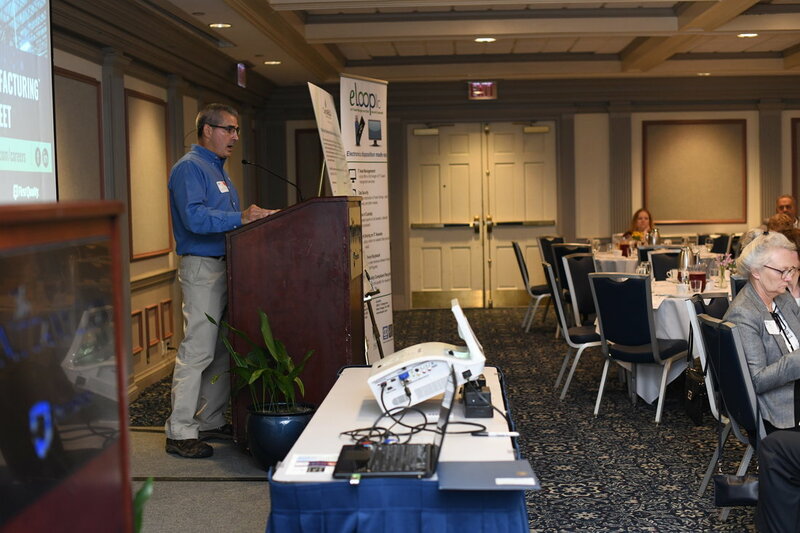 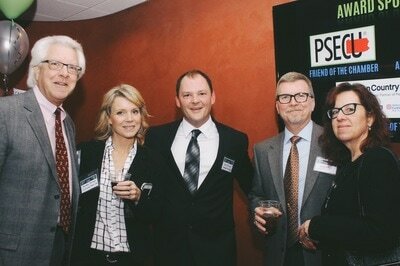 The CBICC's Fourth Annual Excellence Awards Dinner, presented by PSECU, was held Thursday, Dec. 13 at the Nittany Lion Inn. 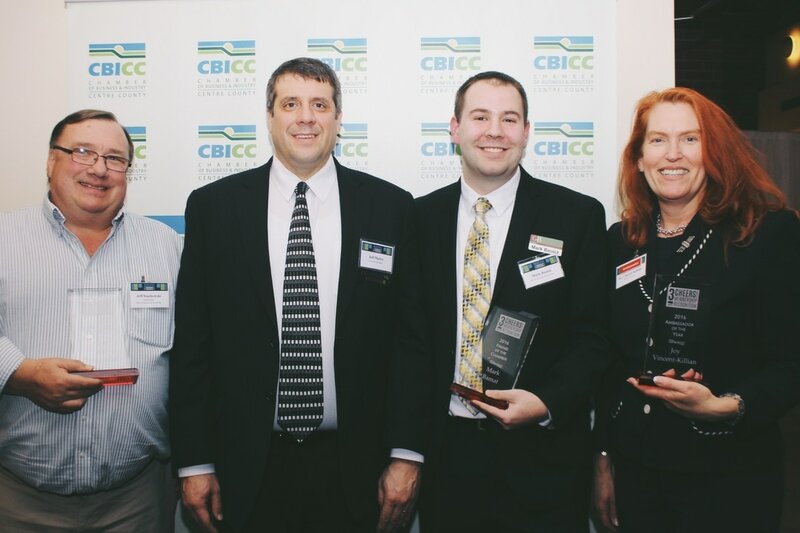 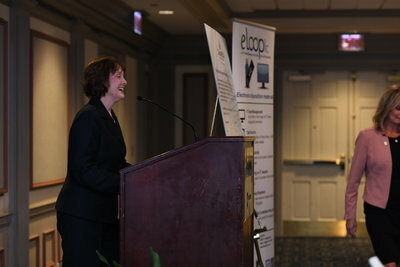 The Chamber was proud to honor: Technology Company of the Year: Sensor Networks, Inc.; Young Professional of the Year: Ashley Hardison, Penn State Hospitality Services; Economic Development Champion: Cheryl Johnson; Business Leader of the Year: Cindy Pasquinelli, executive director, Strawberry Fields, which also won the Ethical Business Award; Corporate/Community Impact Award winner: The Makery; Emerging Business of the Year: Athlete Viewpoint; and Small Business of the Year: Rowland Creative. 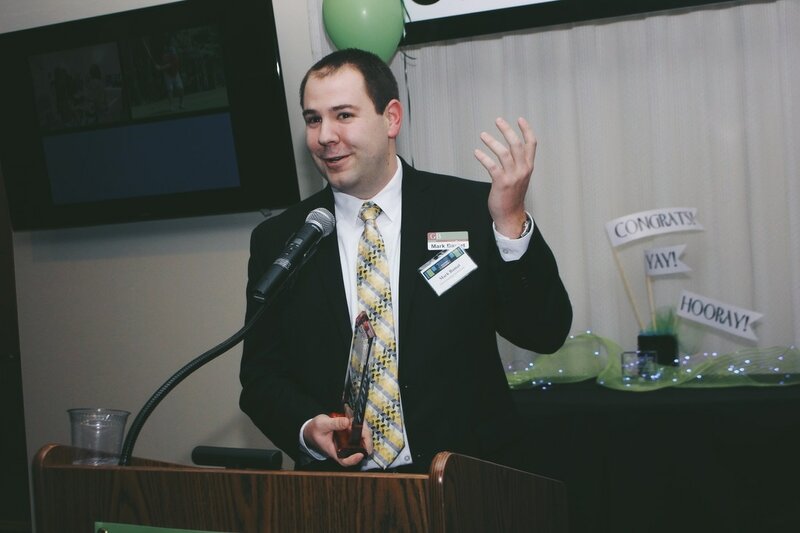 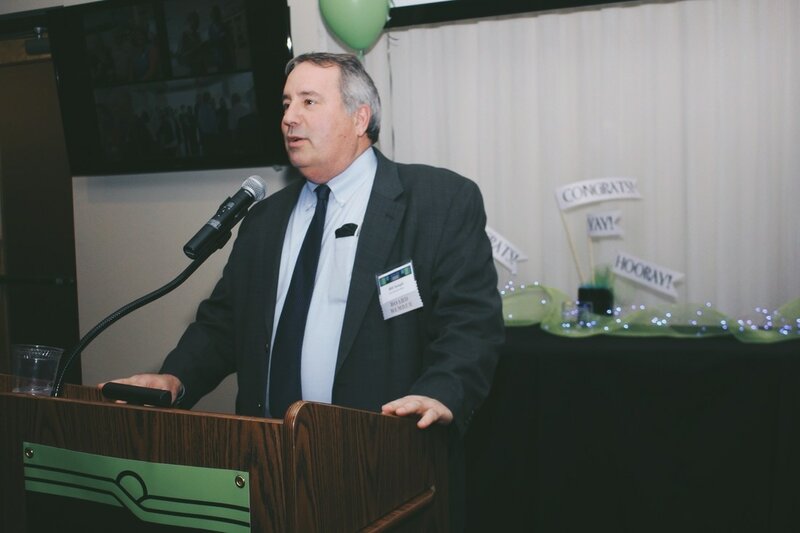 Our CBICC Champion was Joe Shulman, president and ceo, Hotel State College & Co. 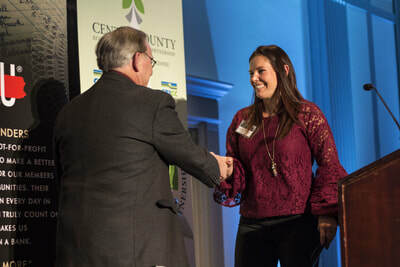 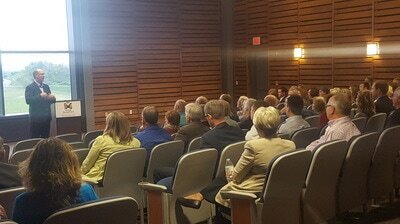 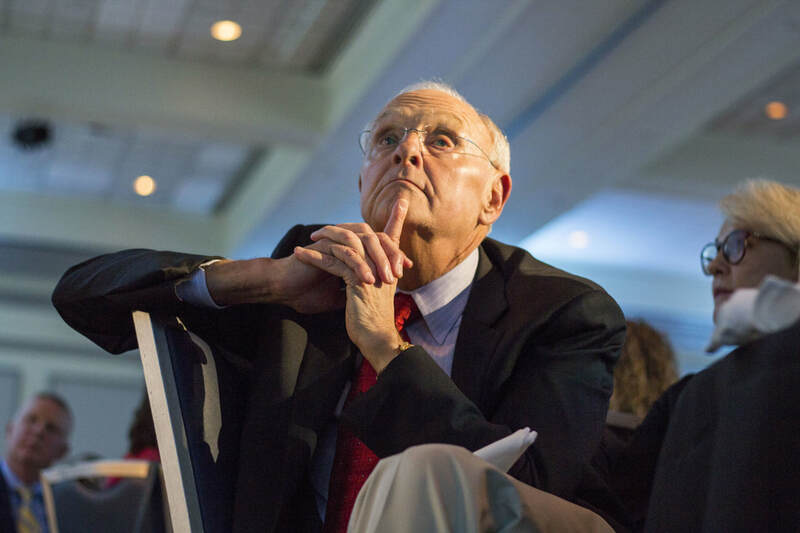 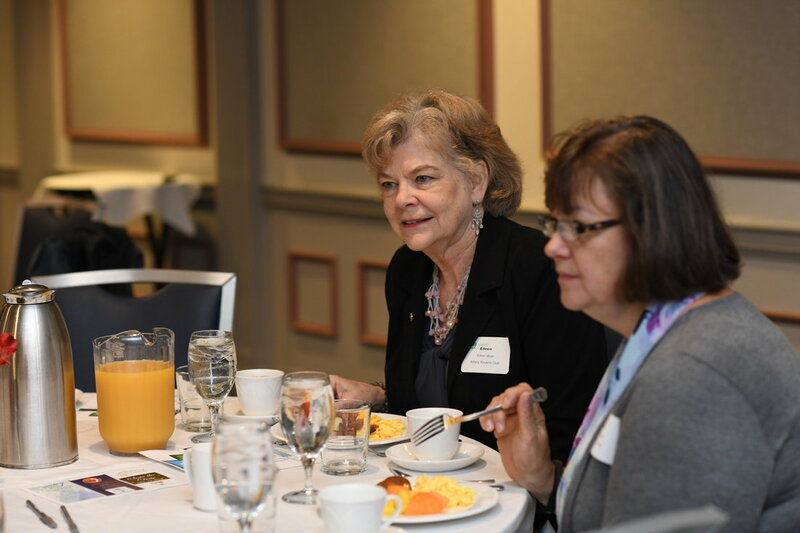 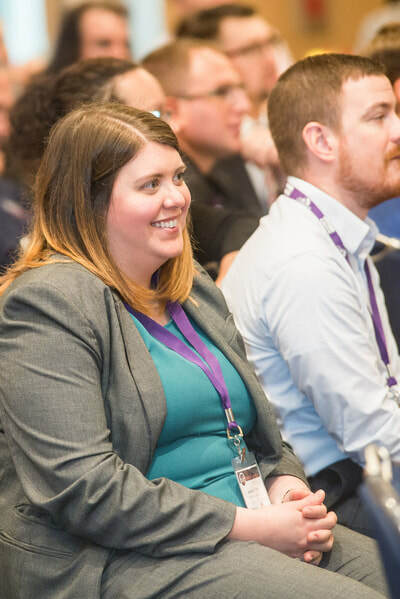 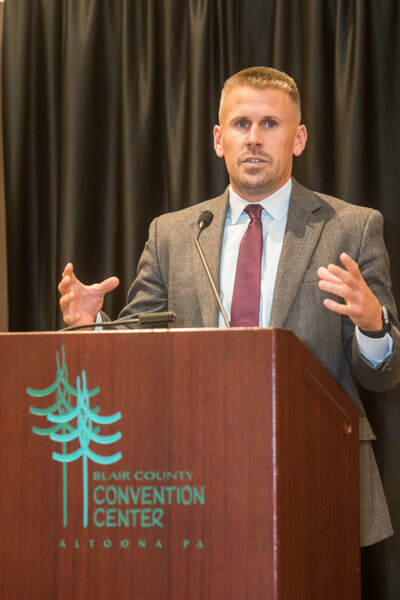 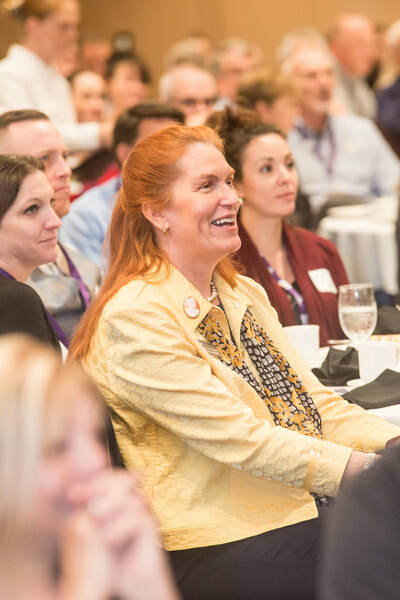 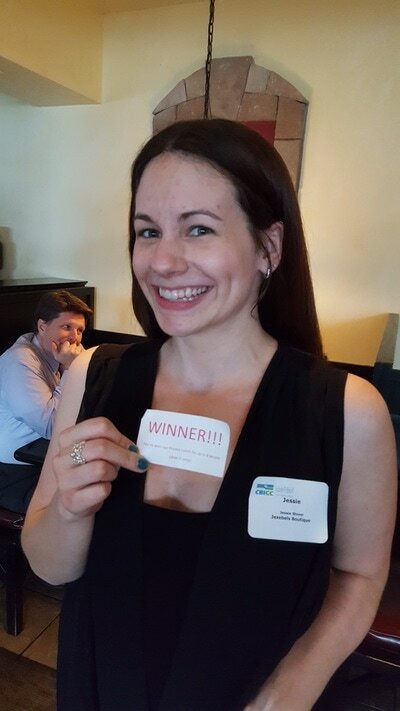 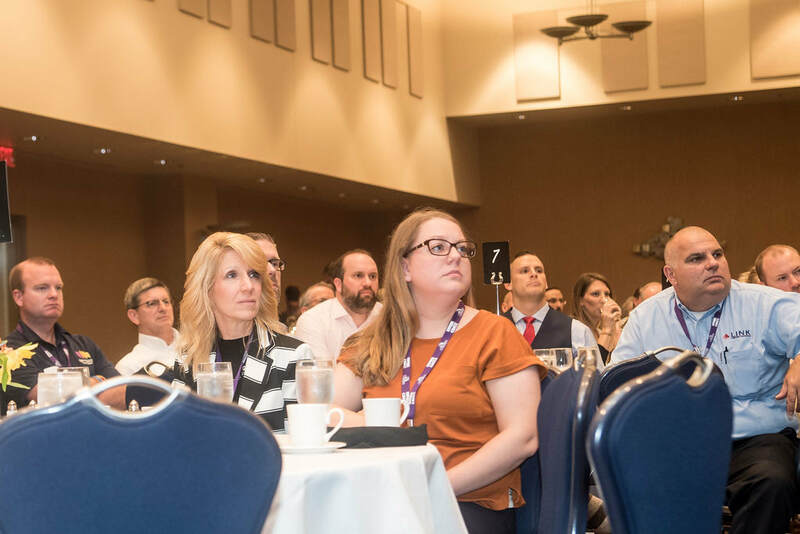 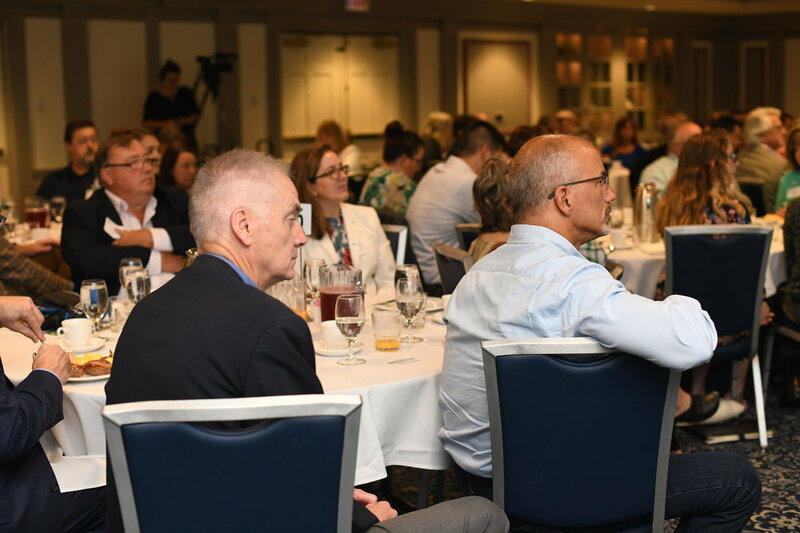 Please enjoy the videos of this year's finalists, as well as the testimonial video for our 2018 Economic Development Champion. 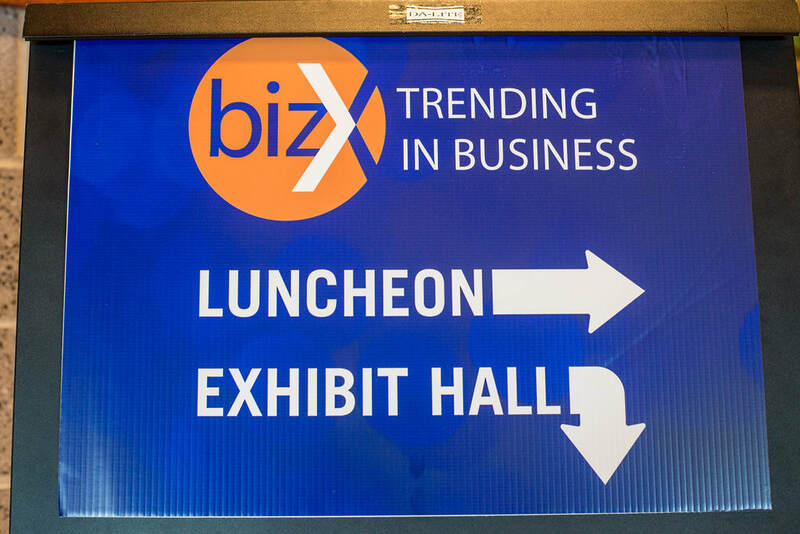 Special thanks to Marketing Sponsor: Graphics and Design; and Video Sponsor: Seven Mountains Creative. 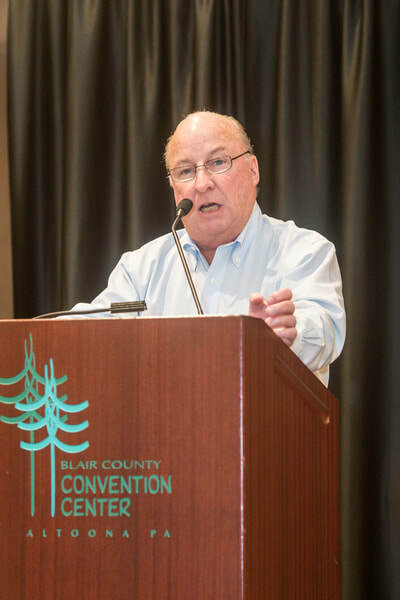 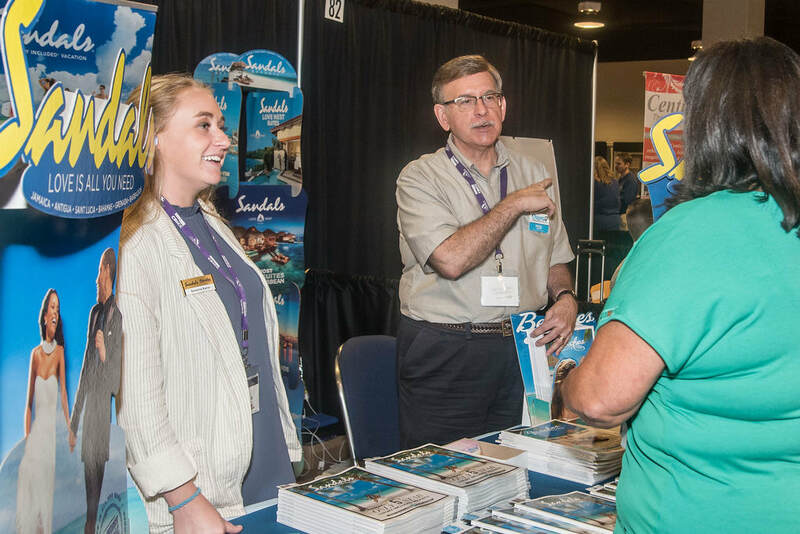 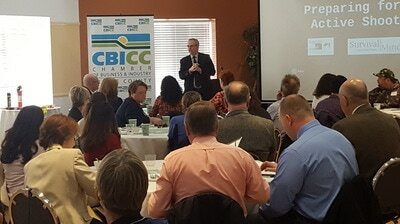 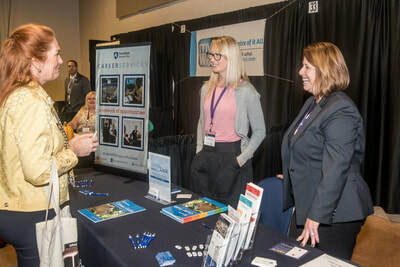 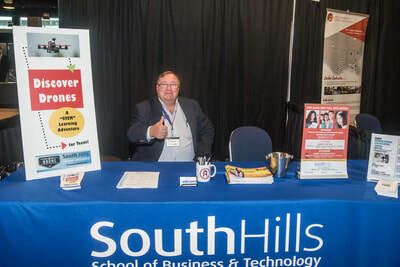 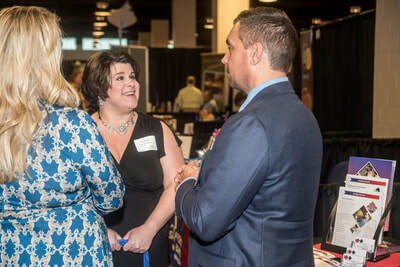 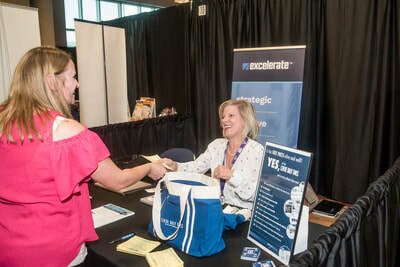 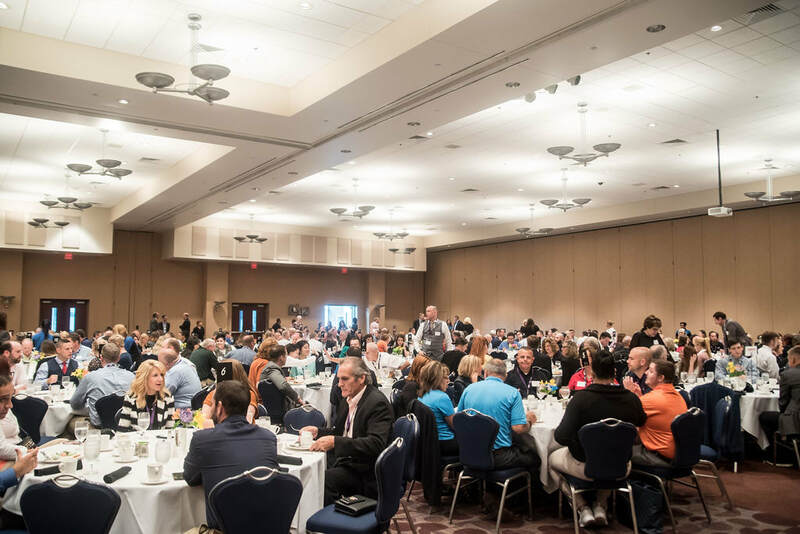 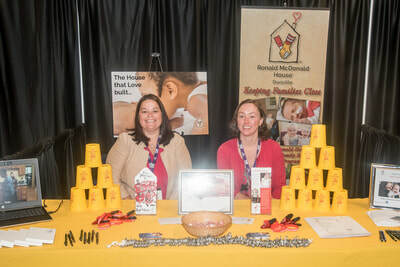 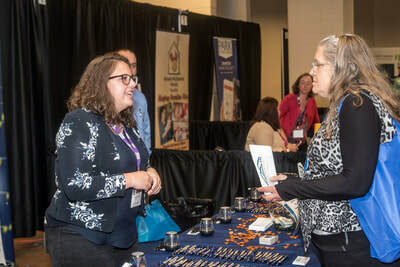 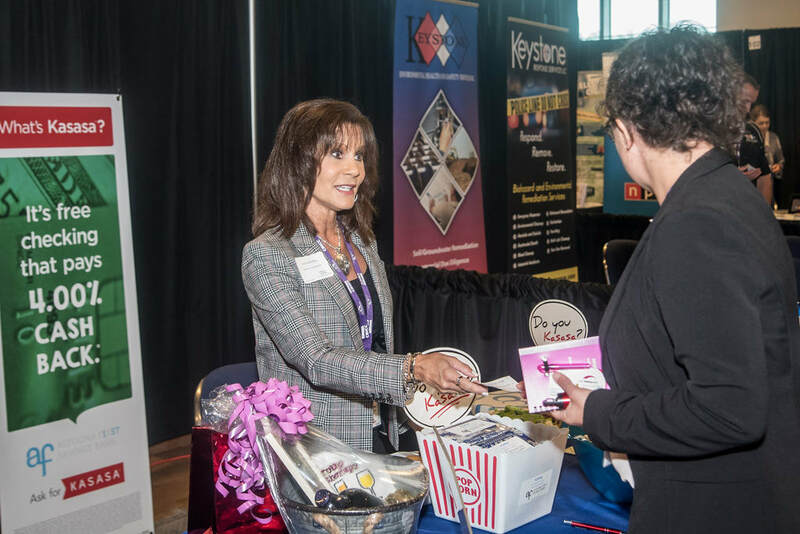 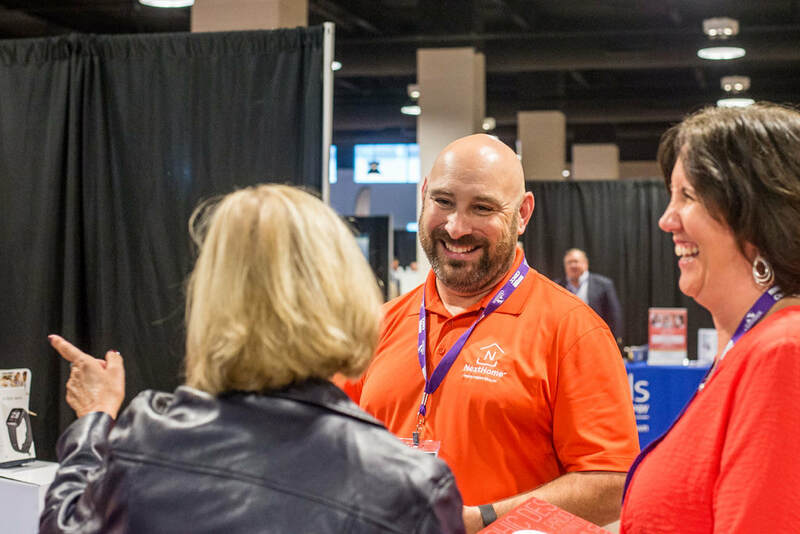 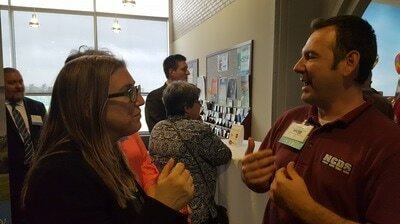 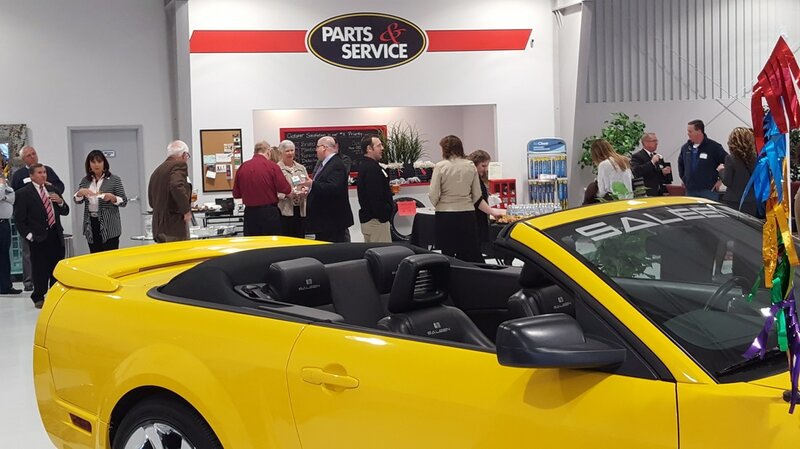 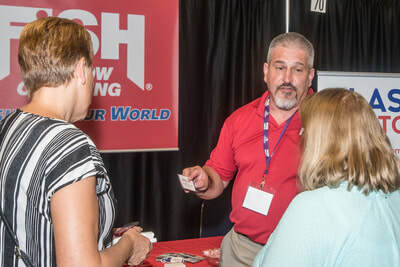 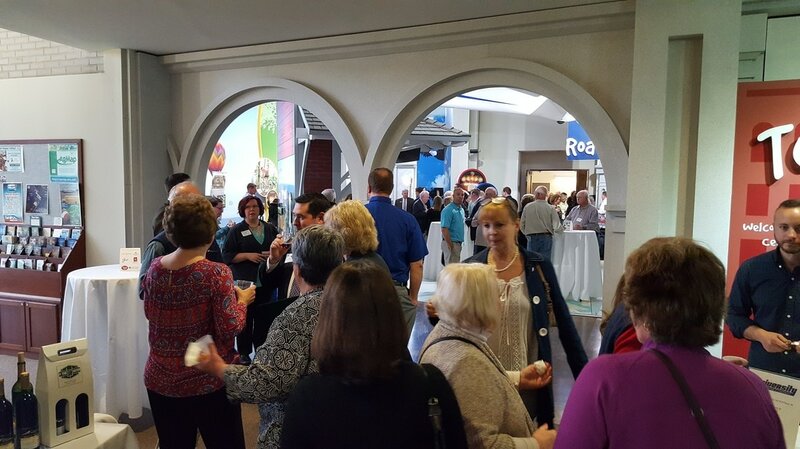 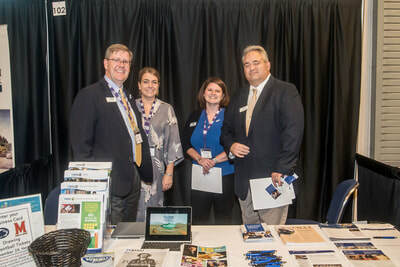 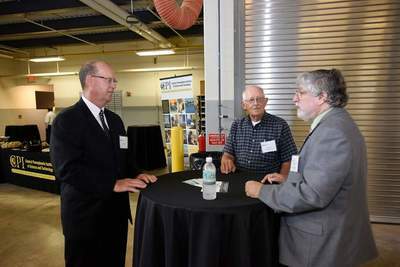 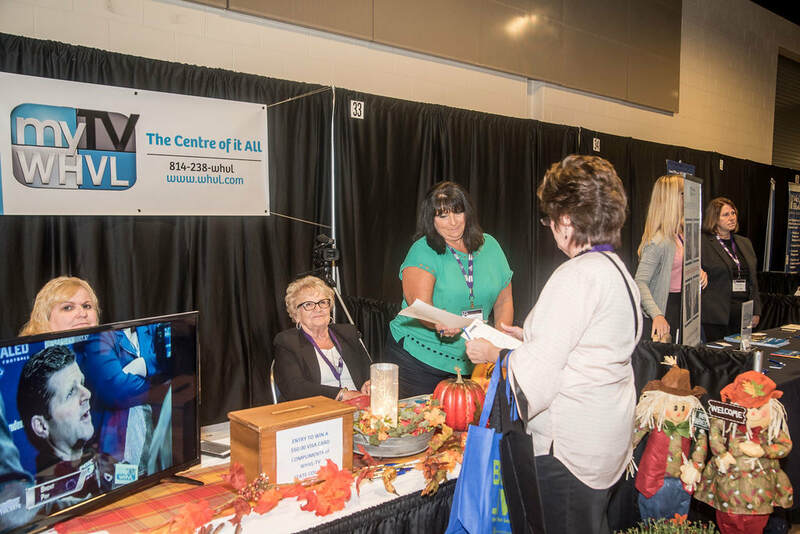 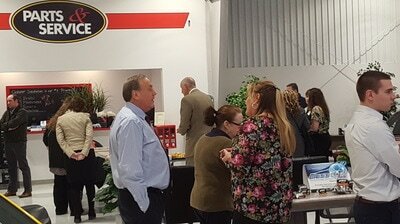 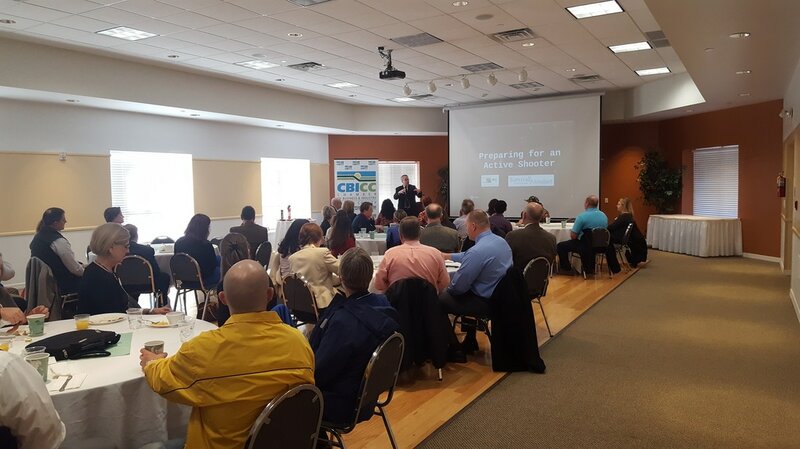 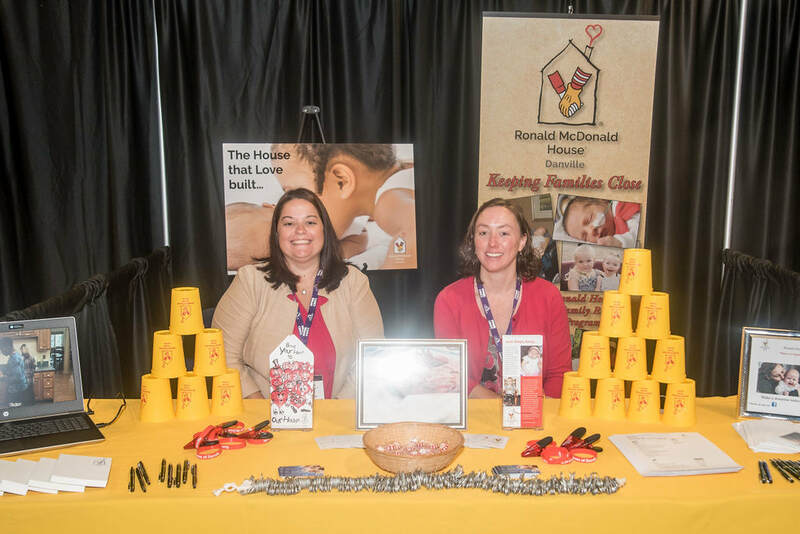 The CBICC and the Blair County Chamber of Commerce partnered to host a regional B2B expo at the Blair County Convention Center. 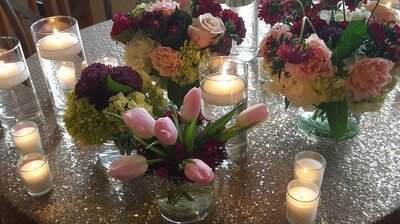 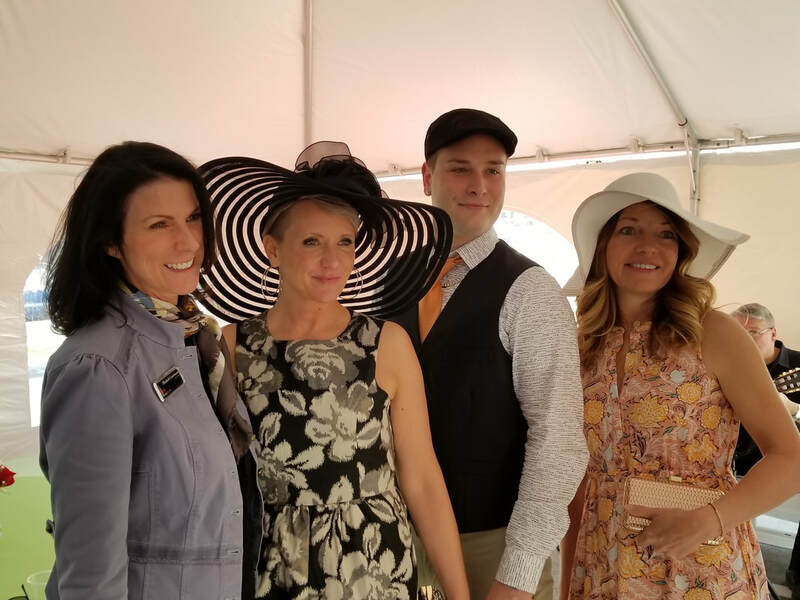 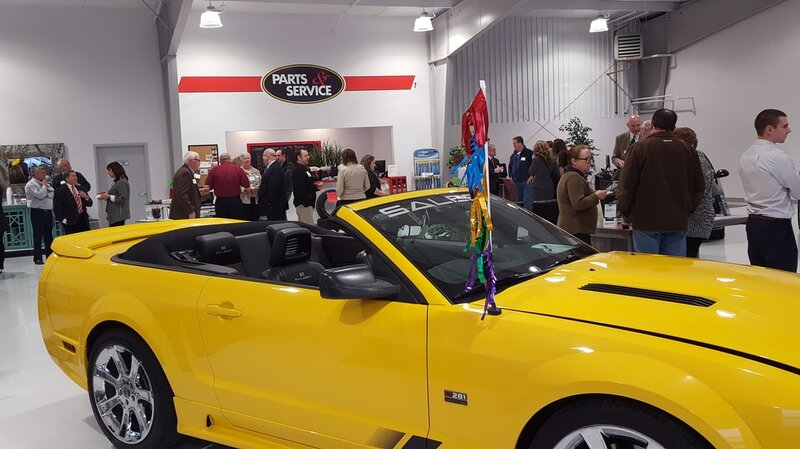 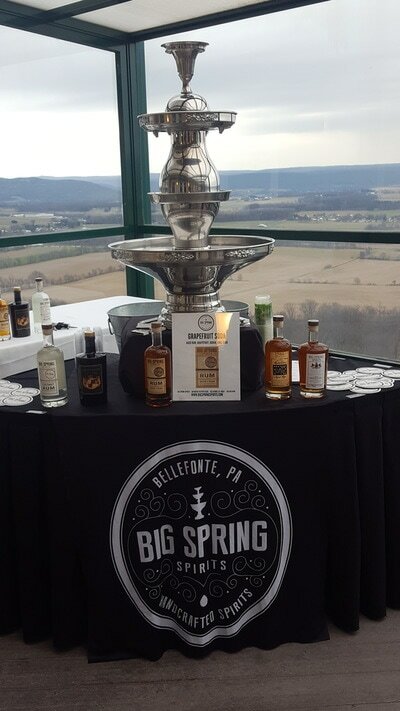 The event will return to Centre County in 2019. 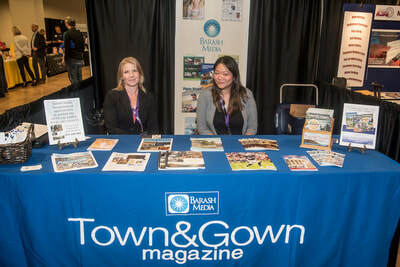 Special thanks to Michael Davis Photography for capturing these great bizX scenes! 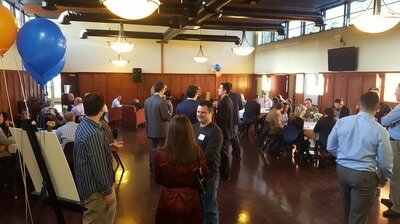 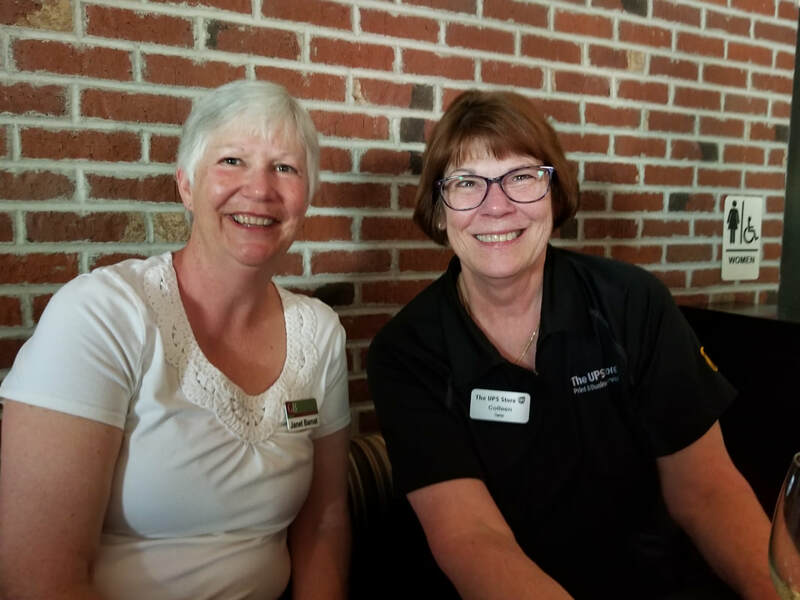 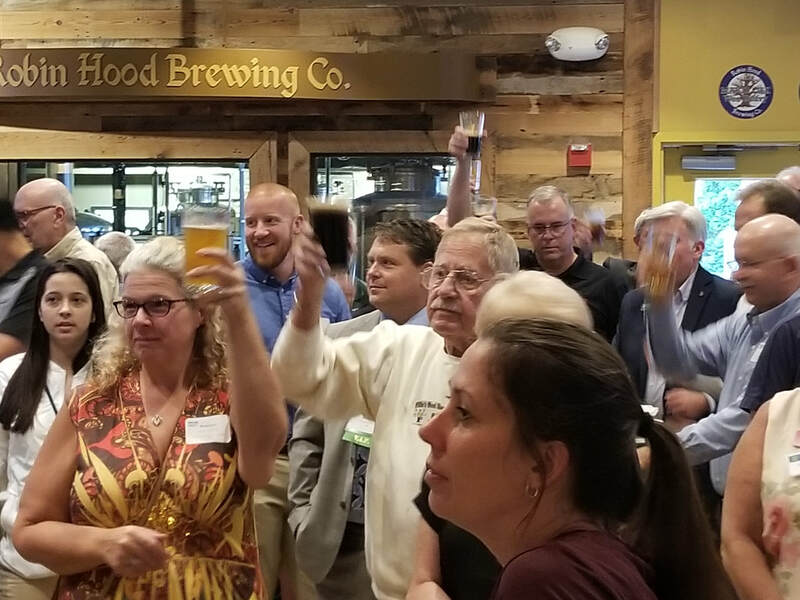 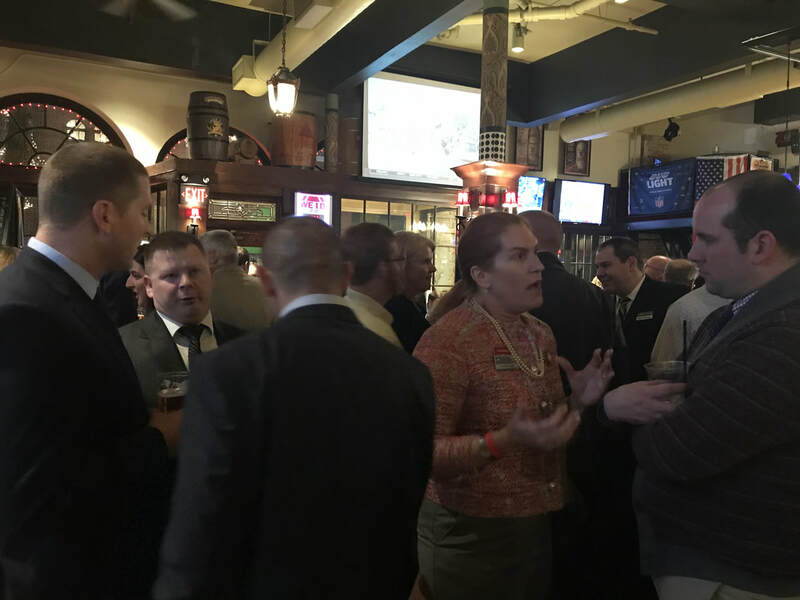 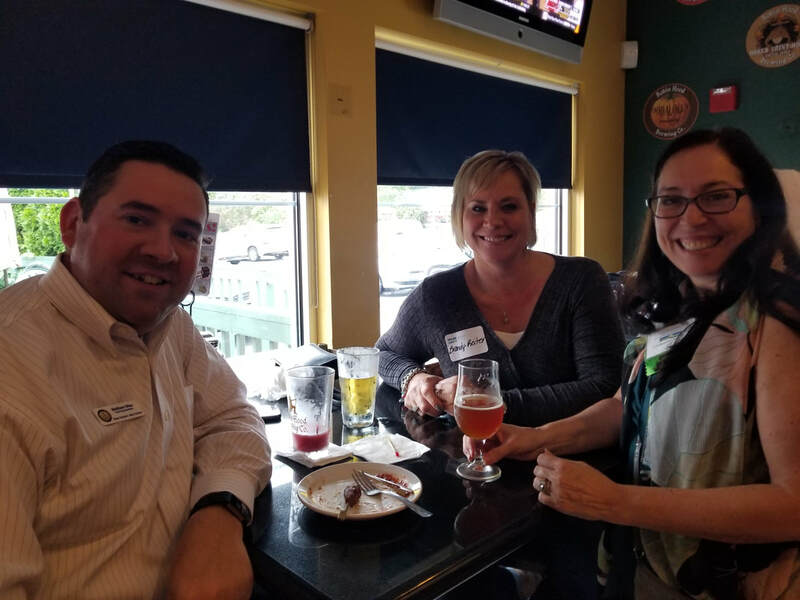 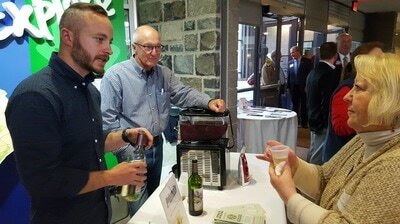 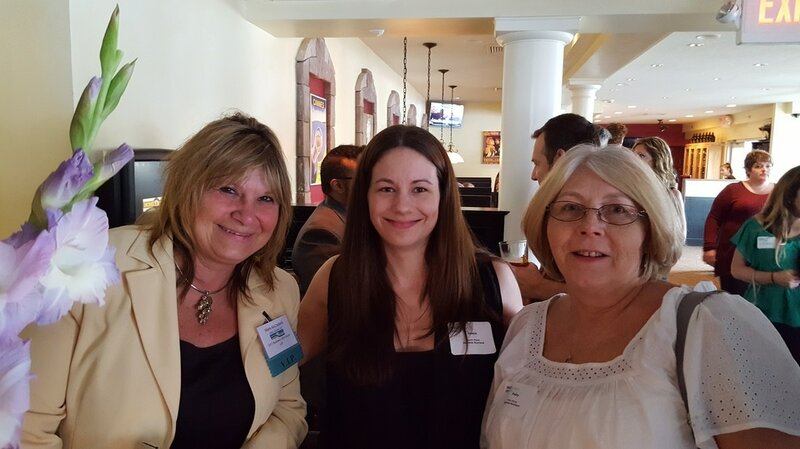 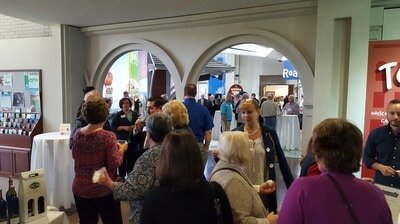 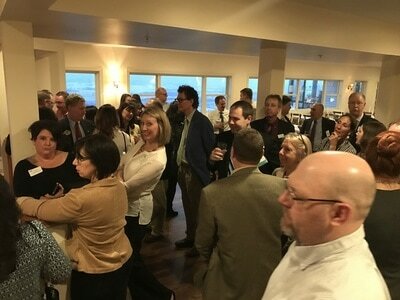 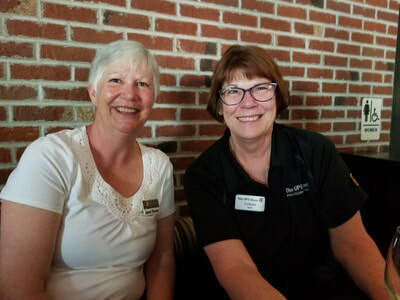 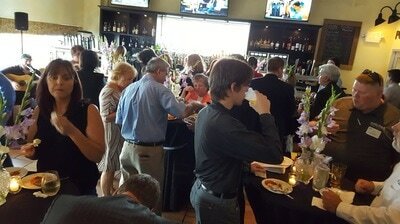 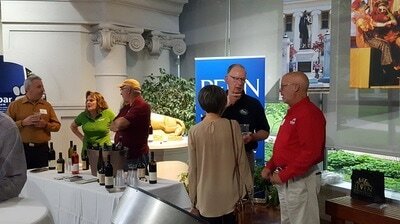 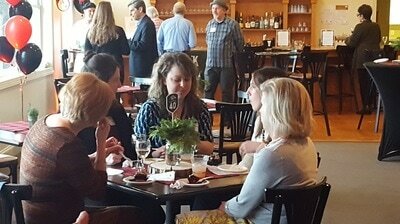 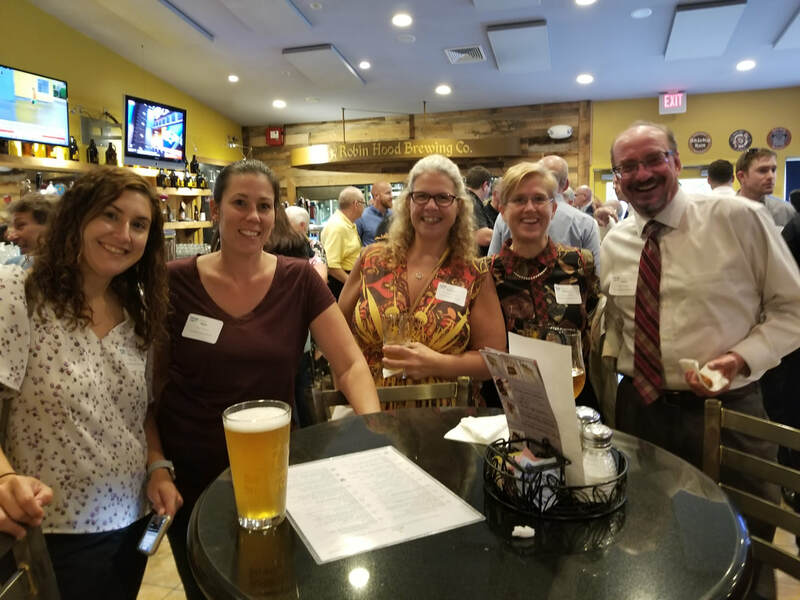 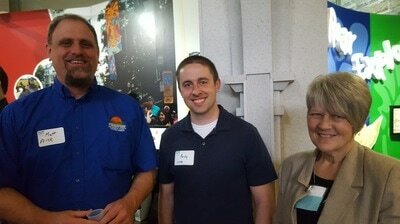 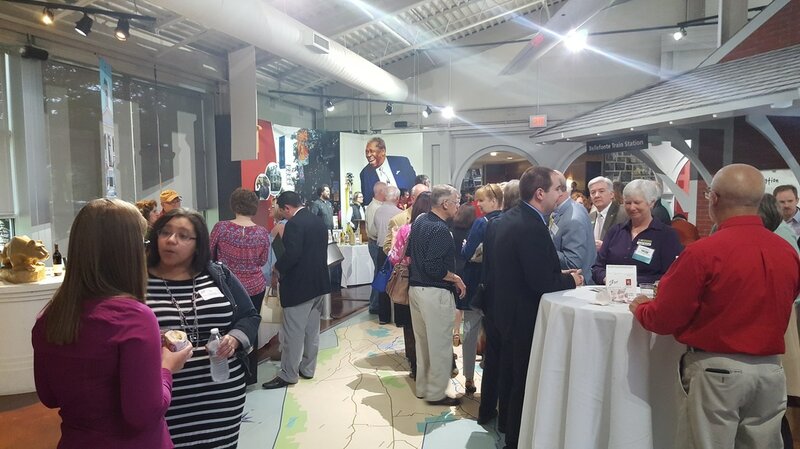 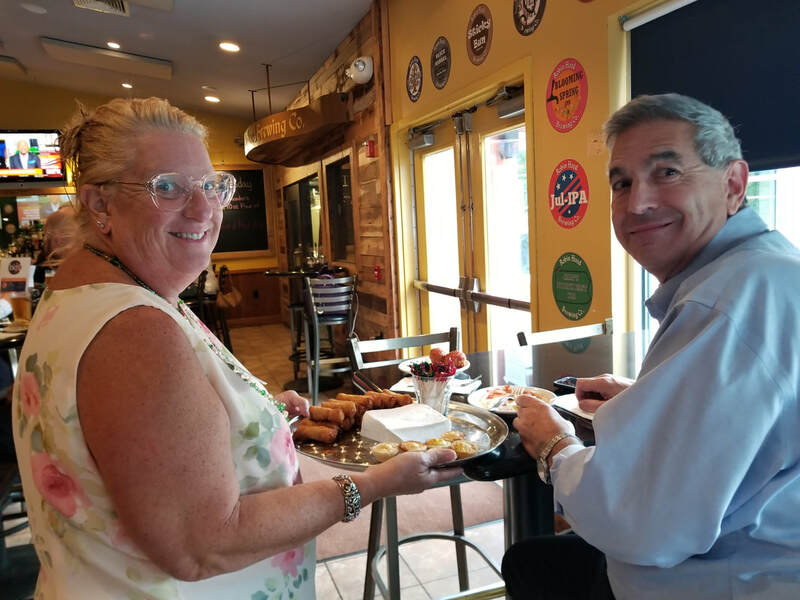 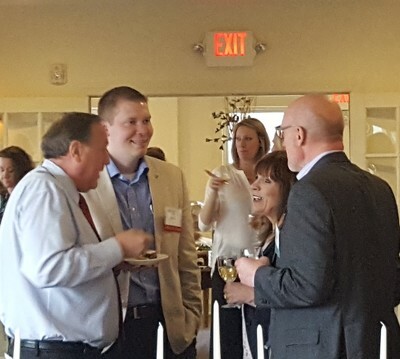 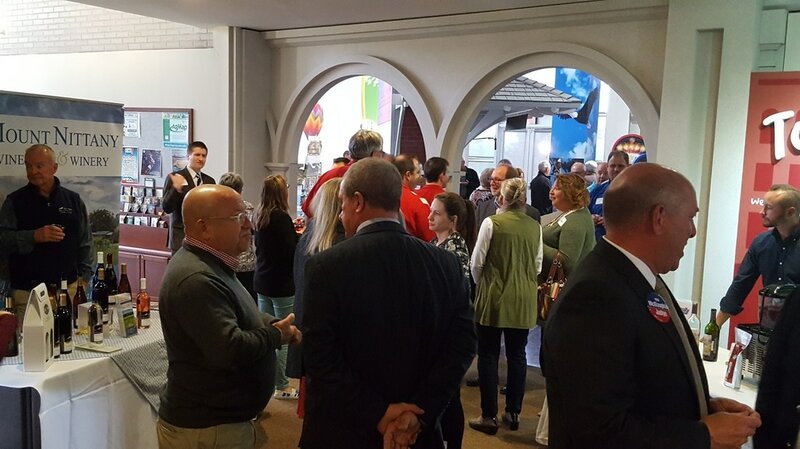 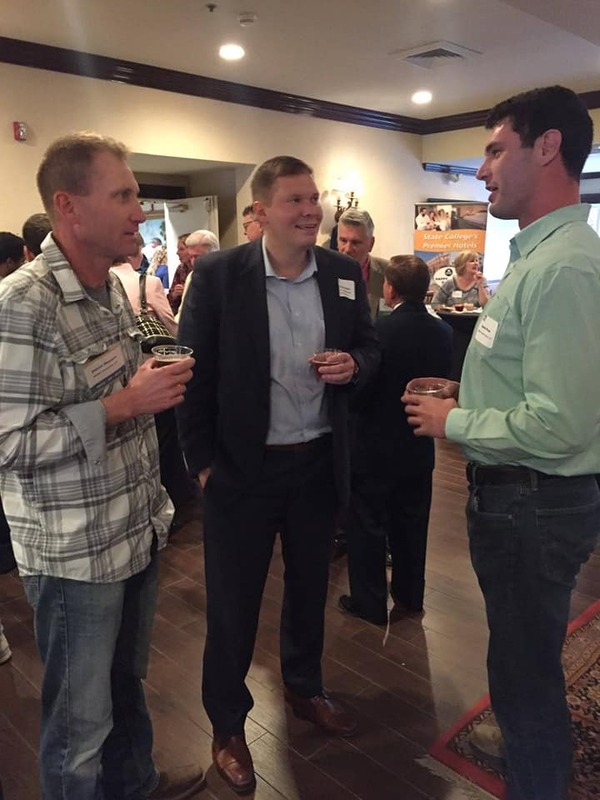 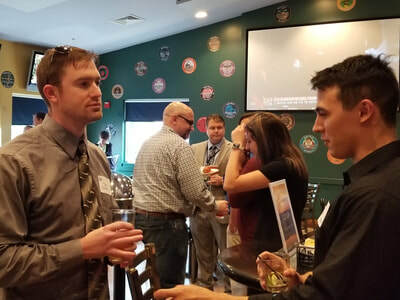 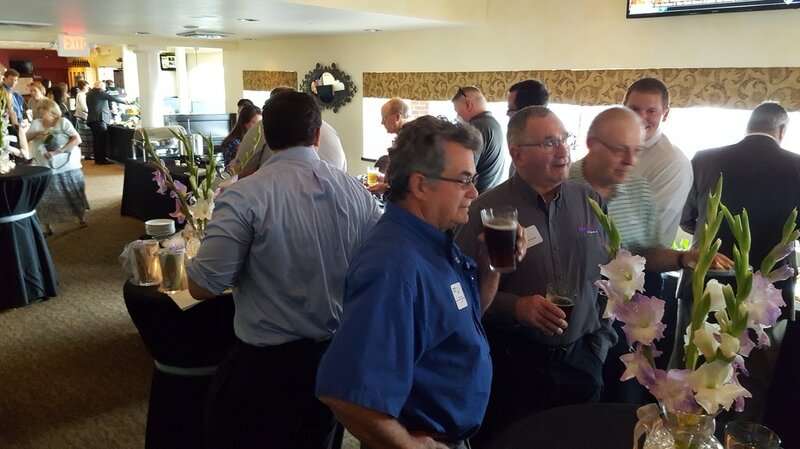 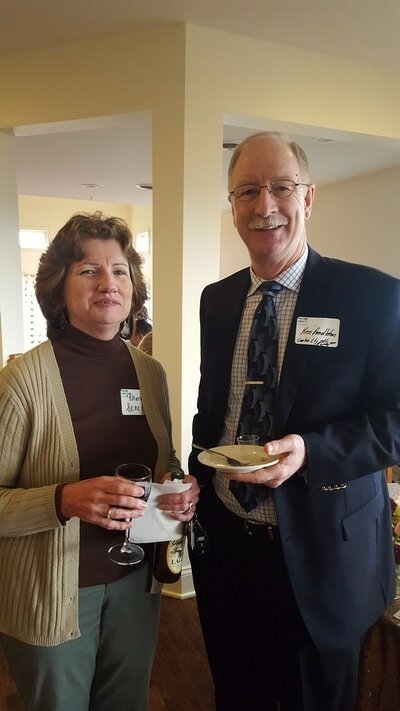 A nice crowd was on hand for the Business After Hours Networking event at Robin Hood Brewing Co. in Bellefonte. 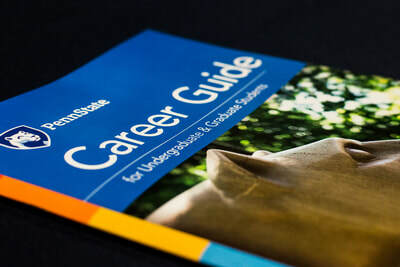 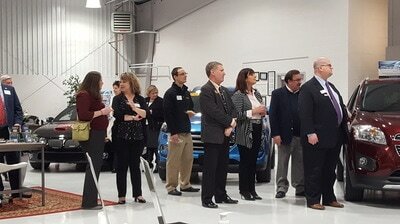 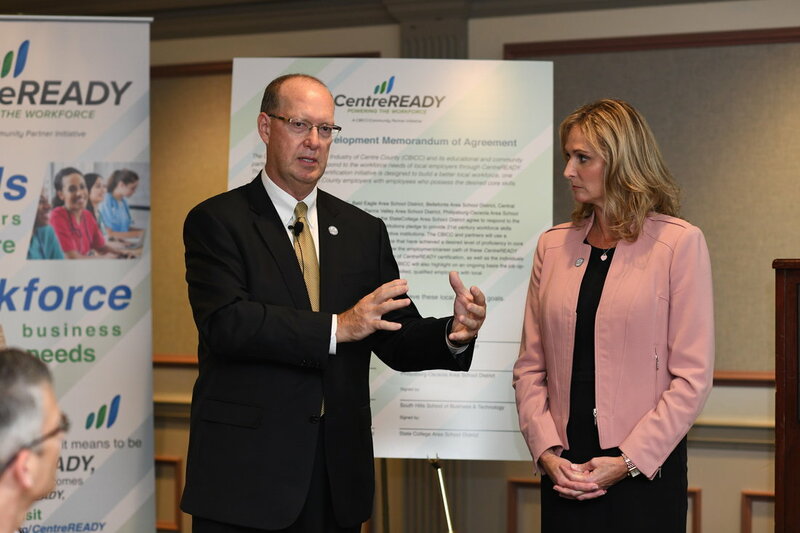 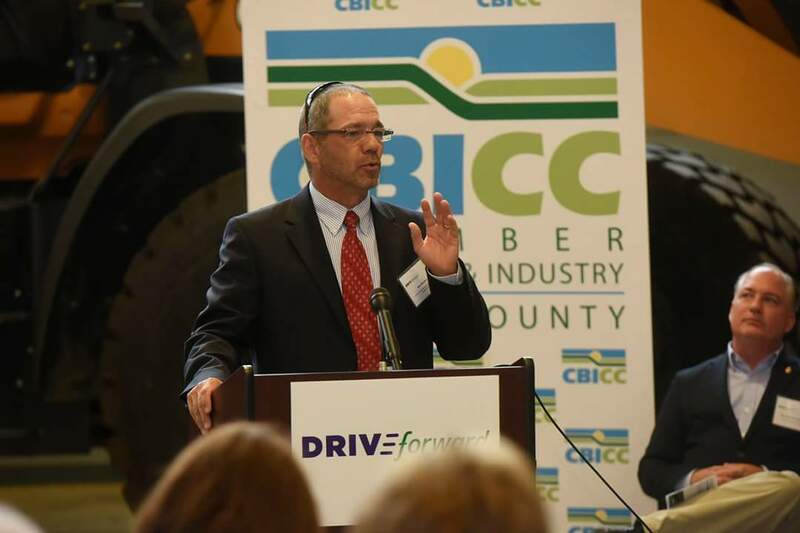 The CBICC and leaders from Centre County's five public school districts and two career technical institutions signed a workforce development Memorandum of Agreement as part of the official launch of CentreREADY. 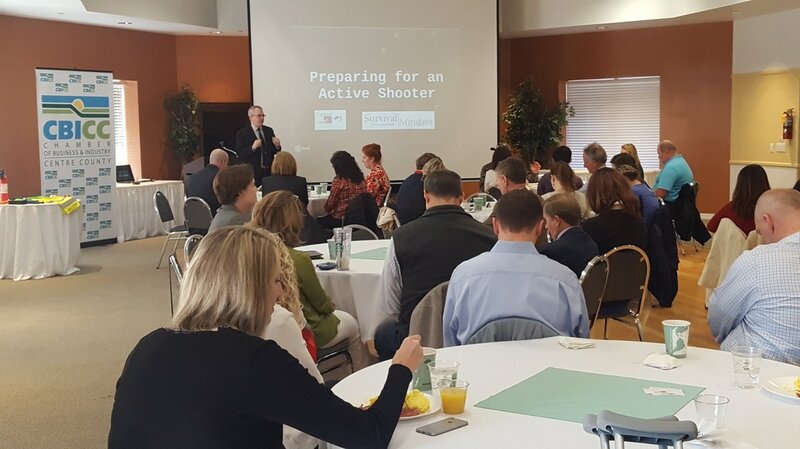 CentreREADY is a collaborative workforce preparedness initiative. 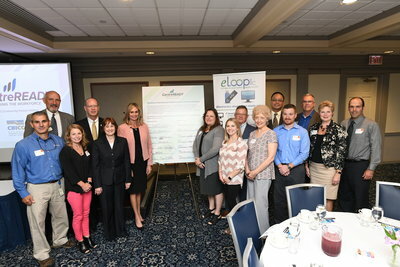 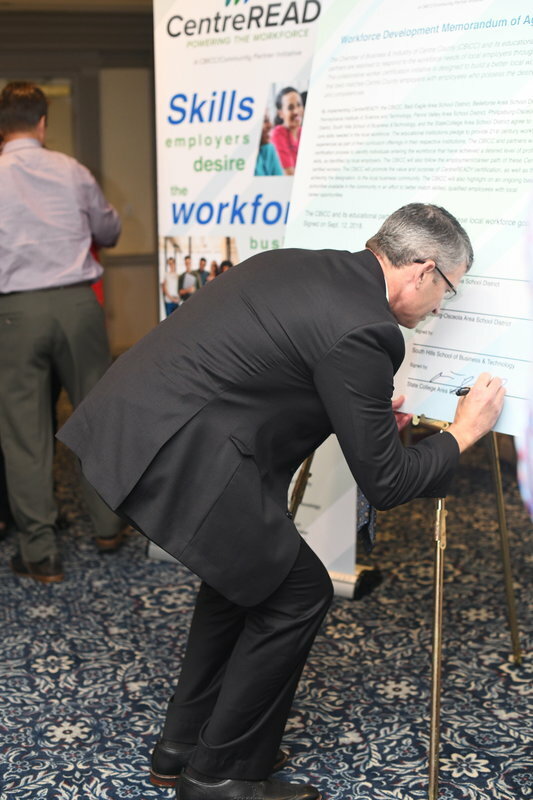 Business and community leaders in the audience signed a corresponding Memorandum of Understanding, indicating their support of the community response to local workforce needs. 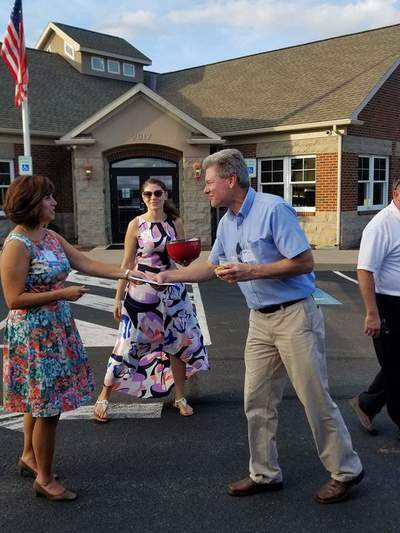 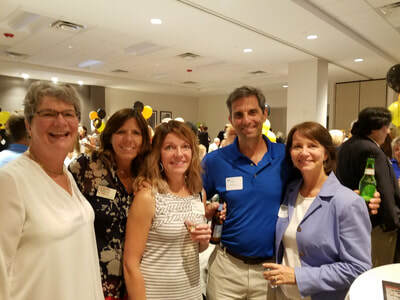 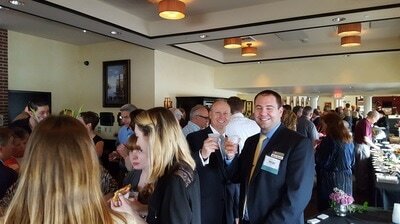 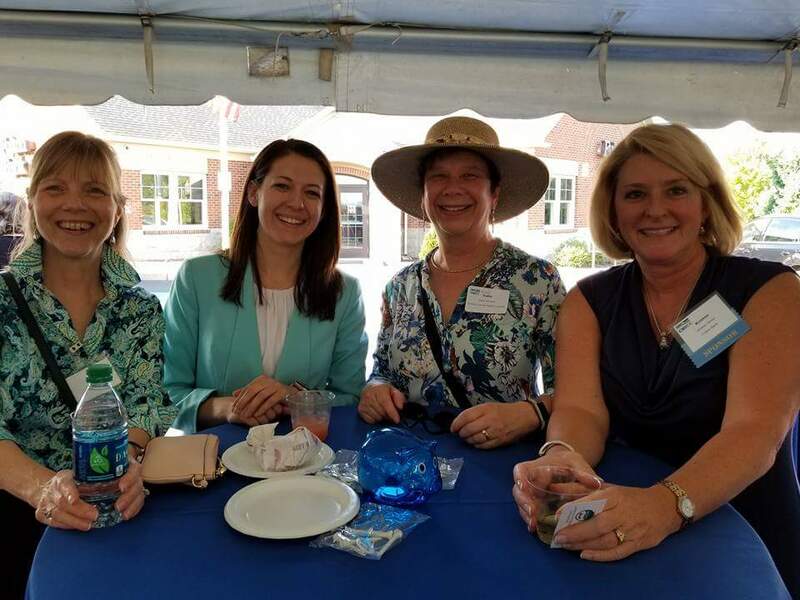 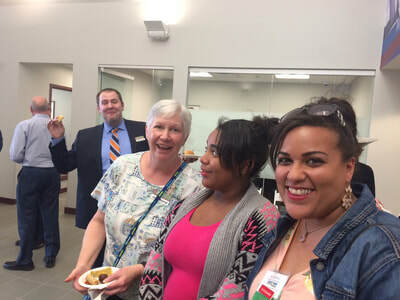 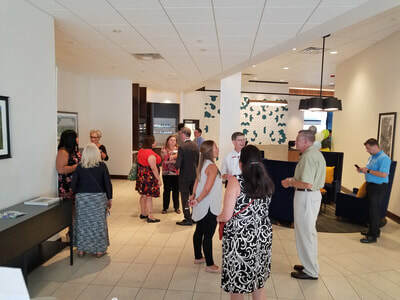 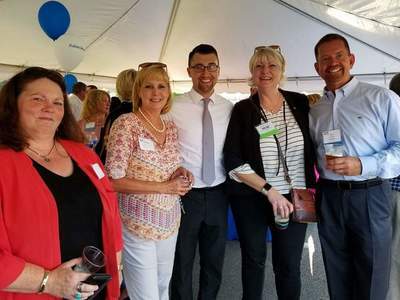 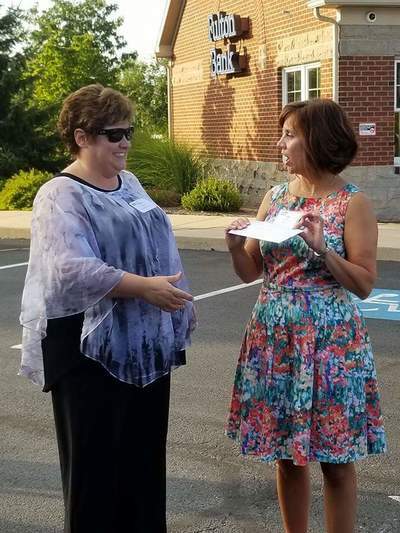 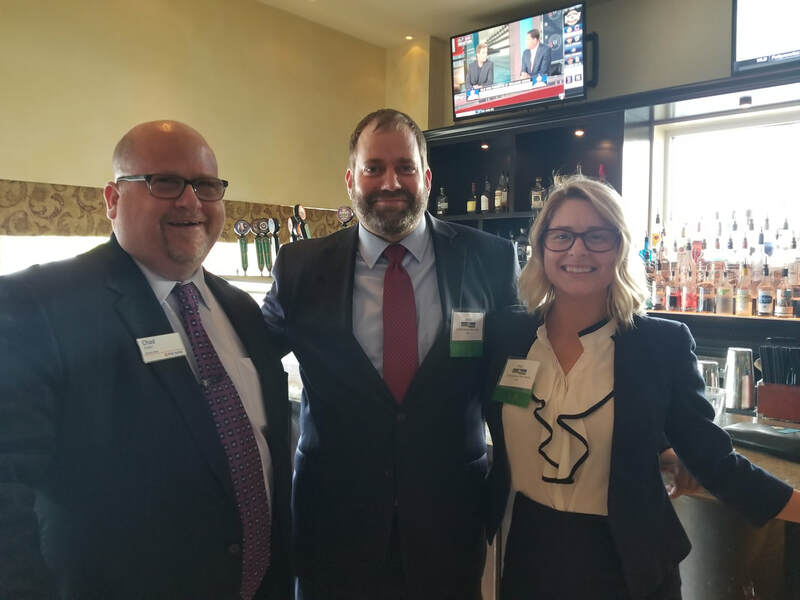 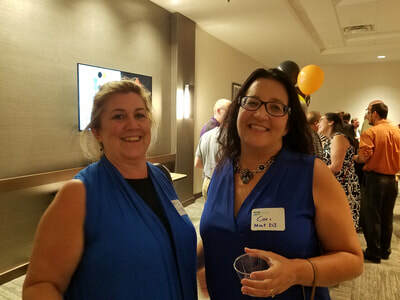 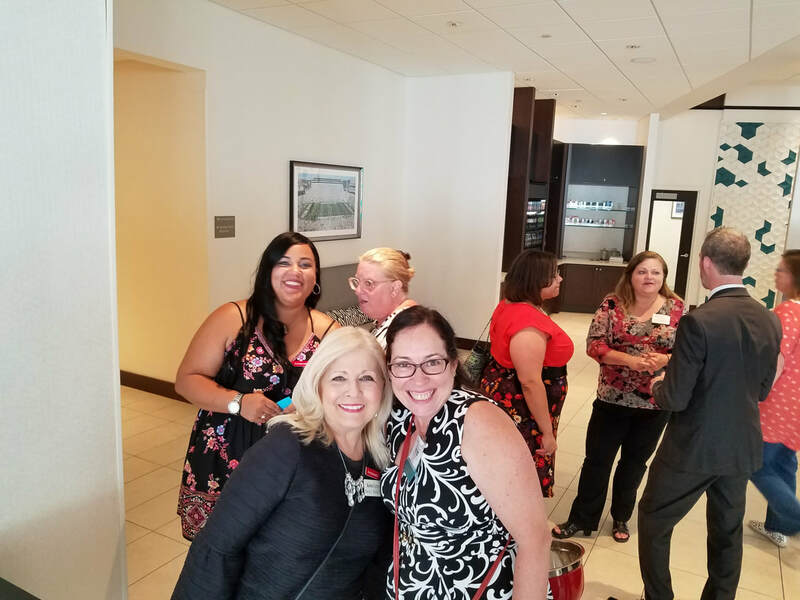 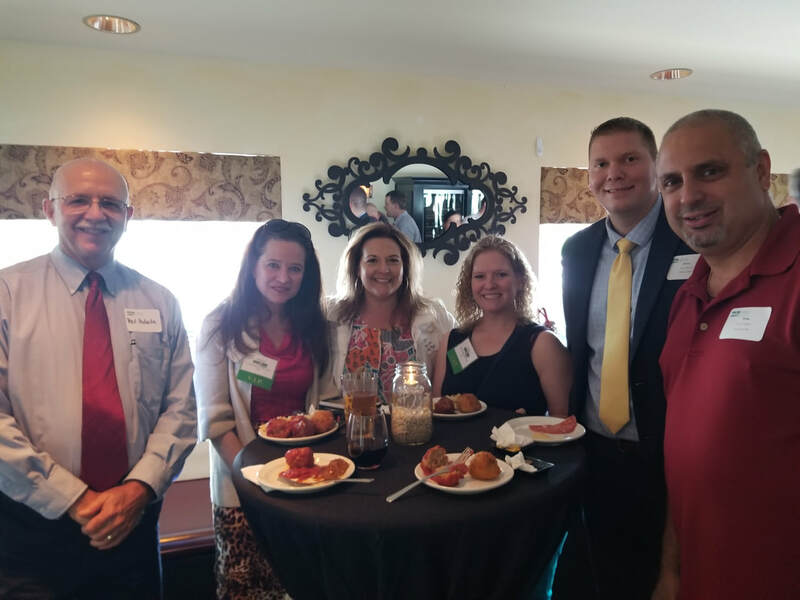 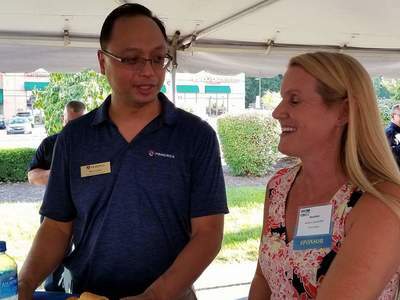 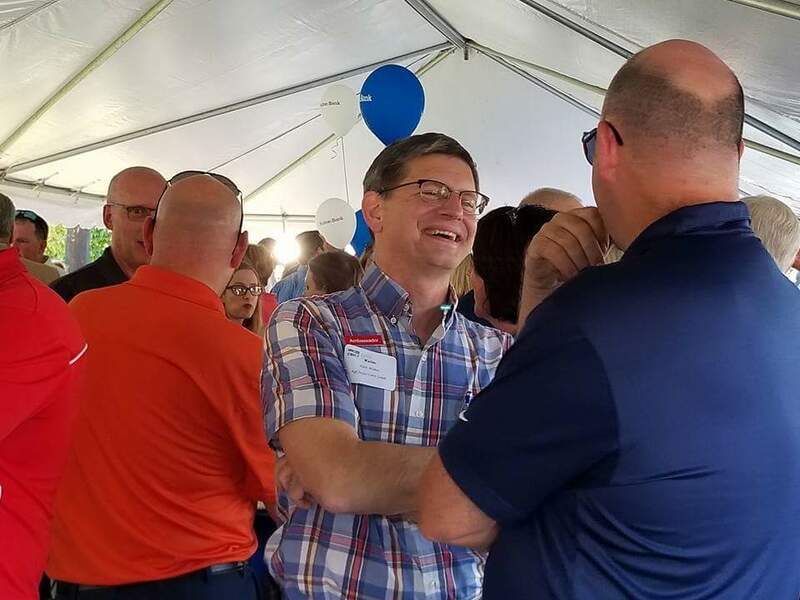 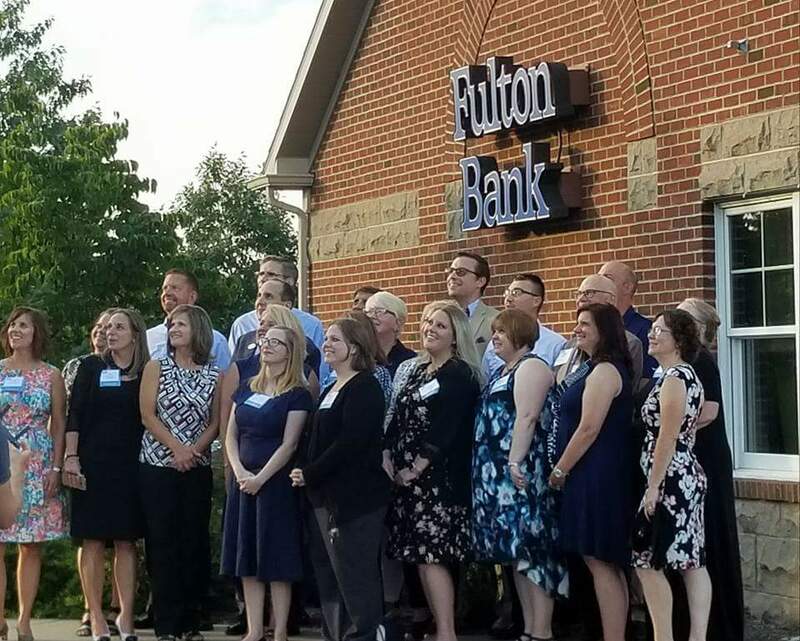 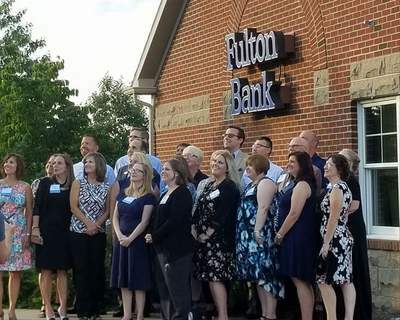 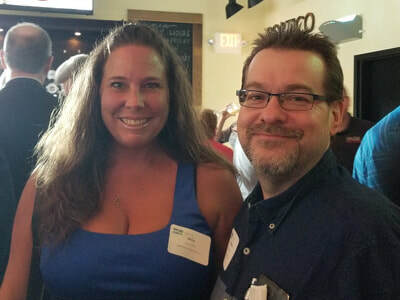 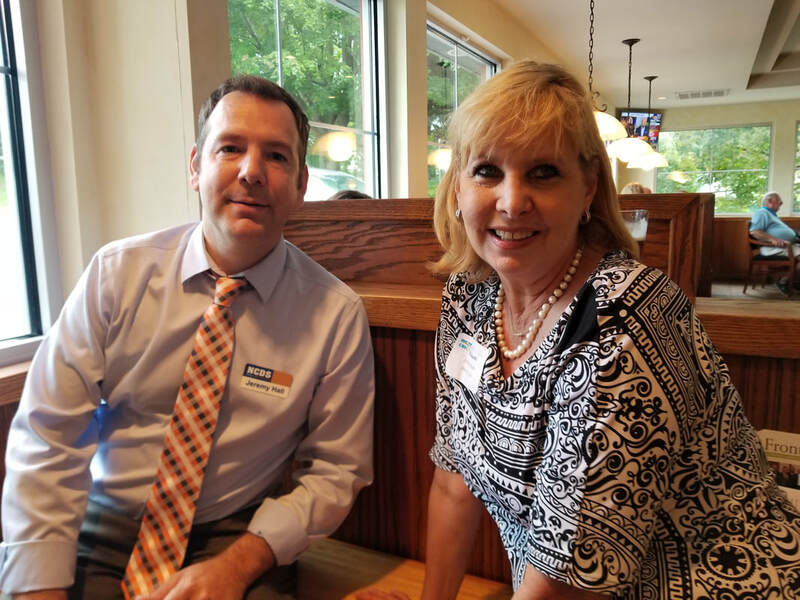 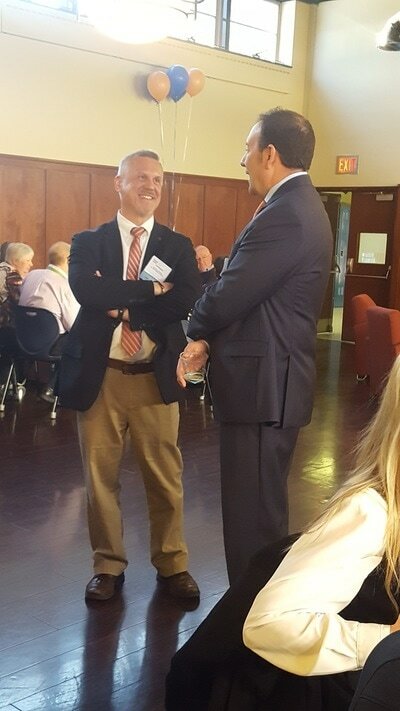 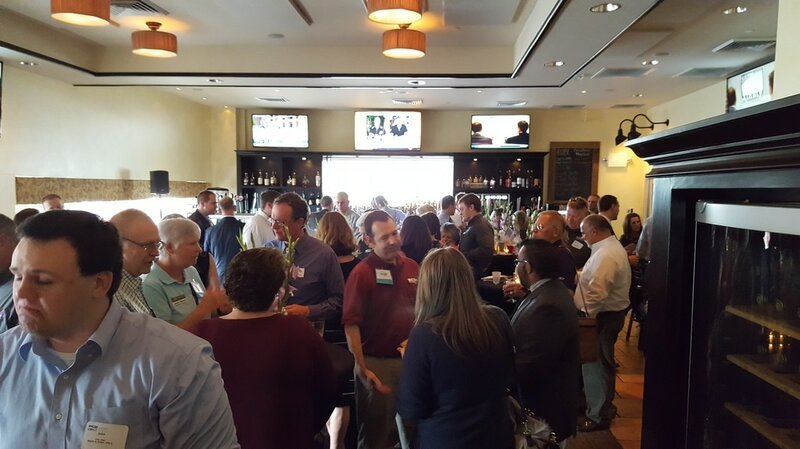 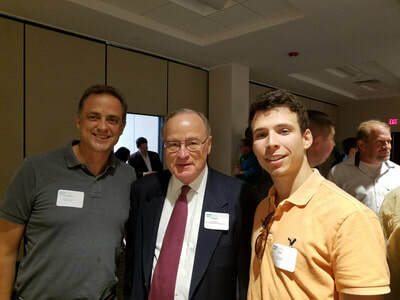 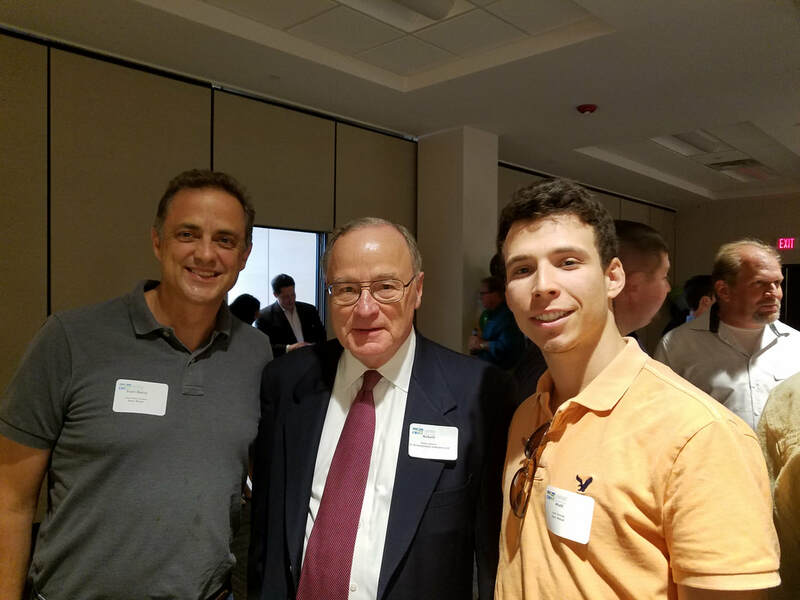 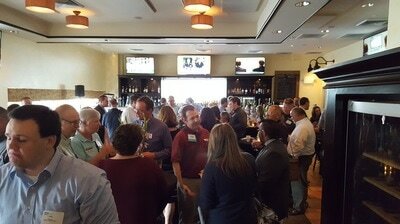 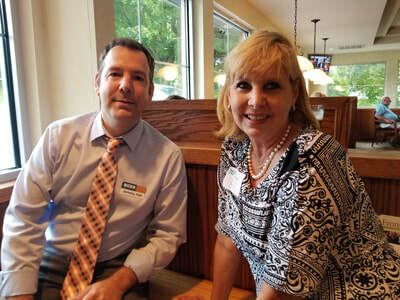 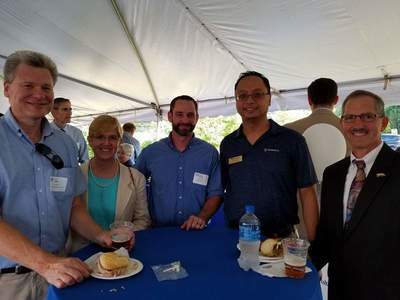 More than 100 CBICC members and guests attended the Aug. 30 networking event hosted by Fulton Bank, in partnership with Jersey Mike's. 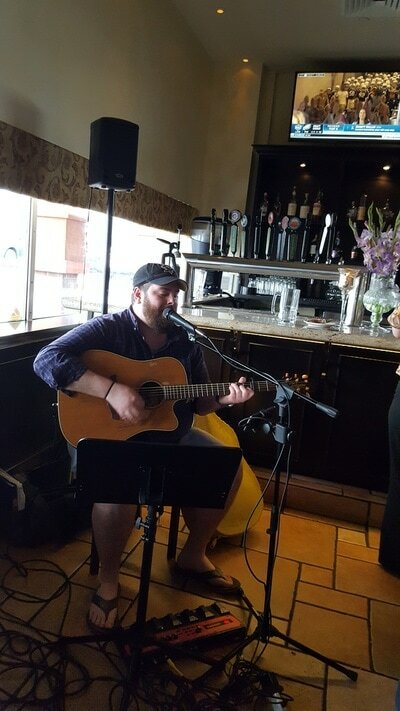 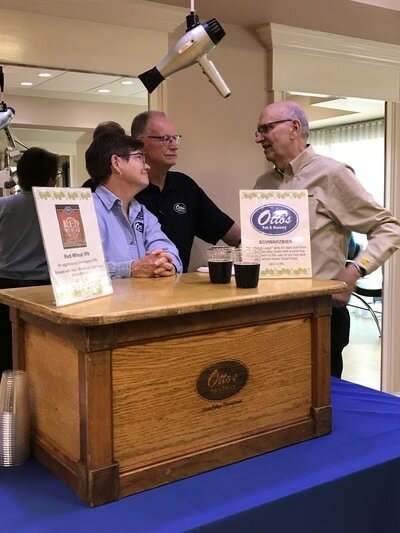 Beverages were provided by Otto's Pub & Brewery. 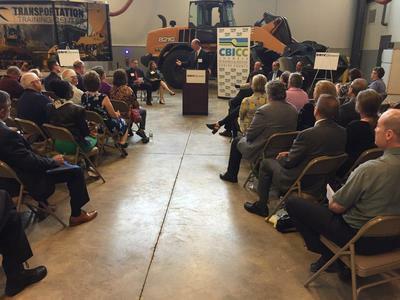 On July 31, PennDOT Secretary Leslie Richards, federal, state, county and local elected officials and community leaders joined the CBICC in the Hawbaker Transportation Center at CPI to celebrate the recent awarding of federal grant funding for the I-99/I-80 high-speed interchange and a local access interchange to replace the Bellefonte exit. The long-envisioned project will make transportation to, through and from Centre County safer and more efficient. 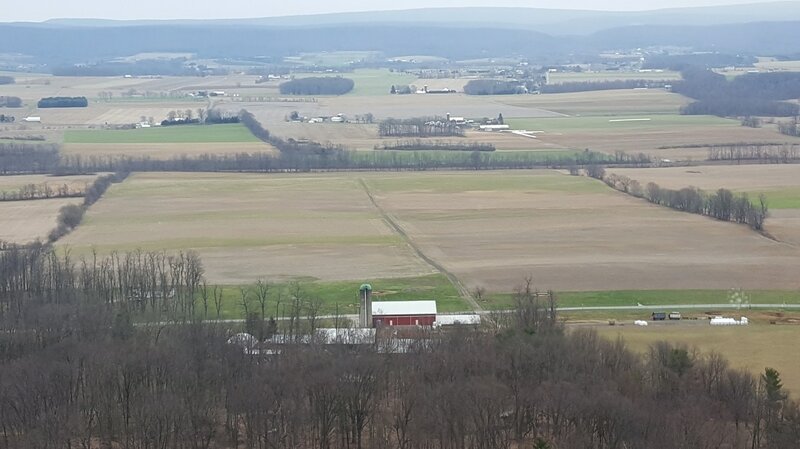 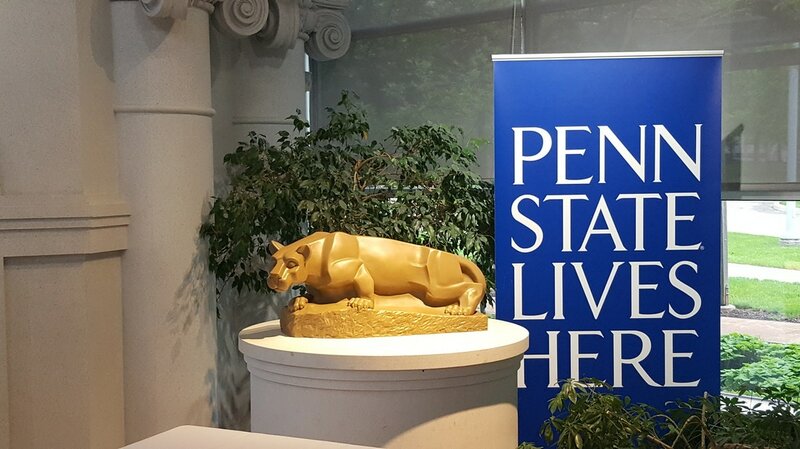 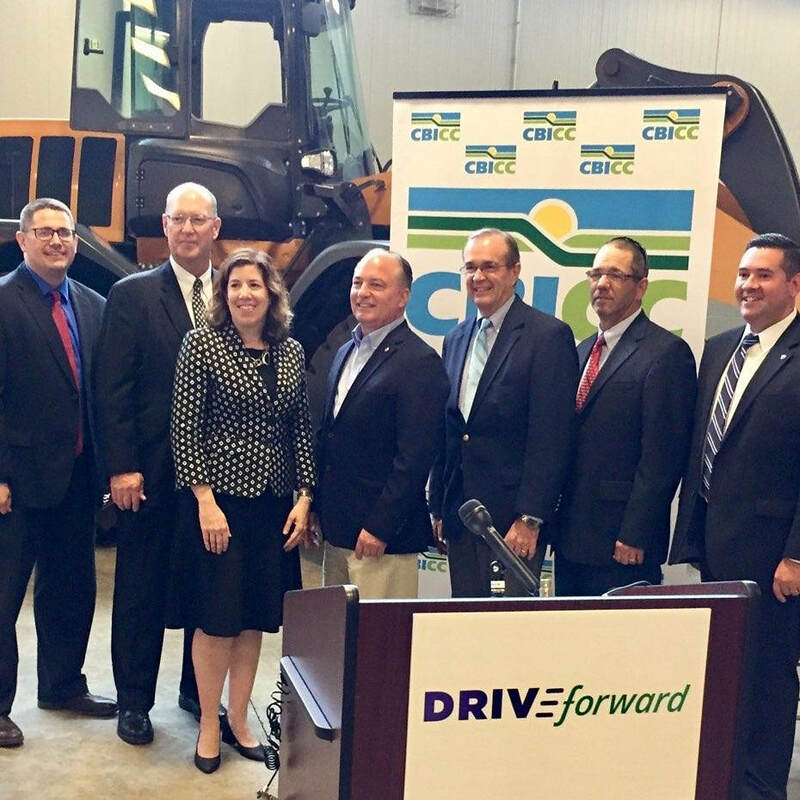 From an economic standpoint, the project will allow for the timely and efficient movement of goods and services through the central Pennsylvania region. 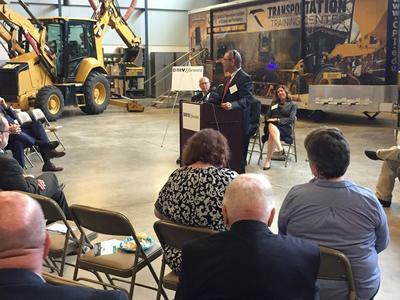 The local access will be constructed first, beginning in 2020, and should take two years to complete. 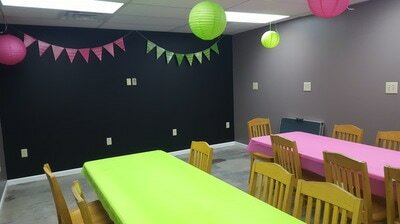 The long sought-after project Read more. 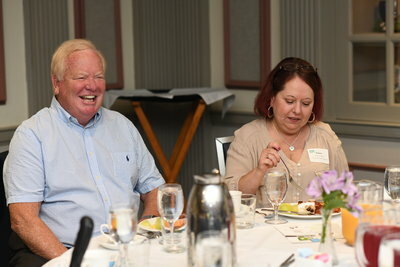 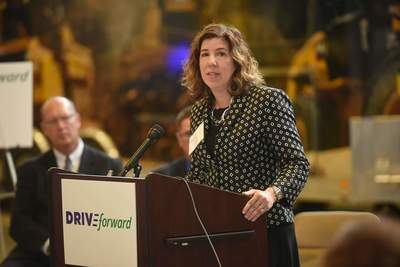 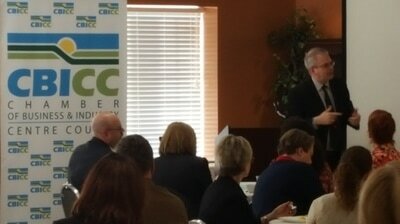 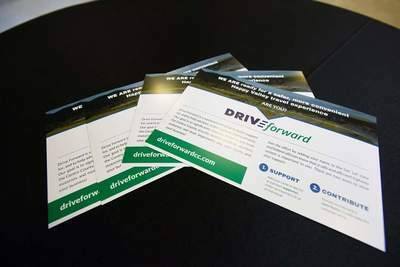 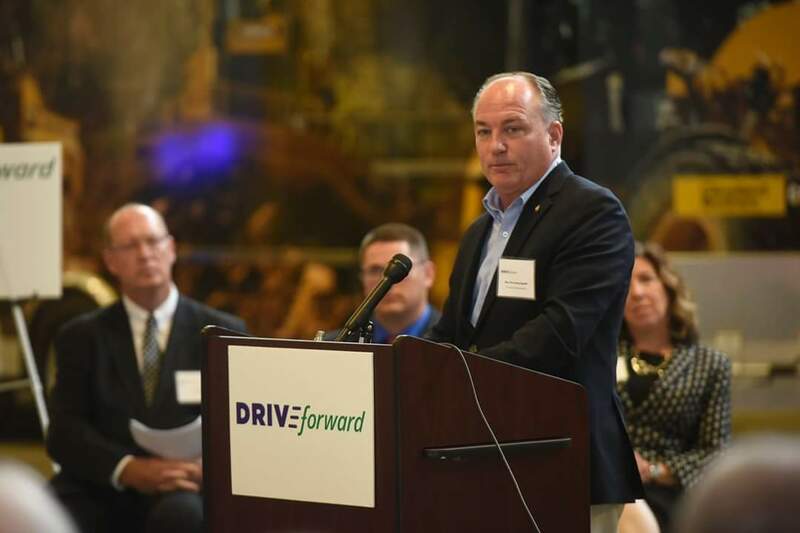 To stay up to date on the project, and to sign on as a supporter of major transportation improvements in Centre County, visit www.driveforwardcc.com.